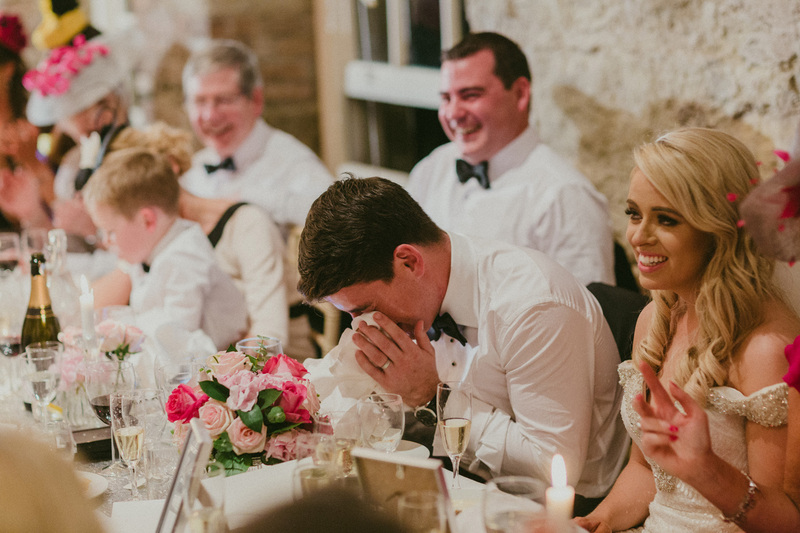 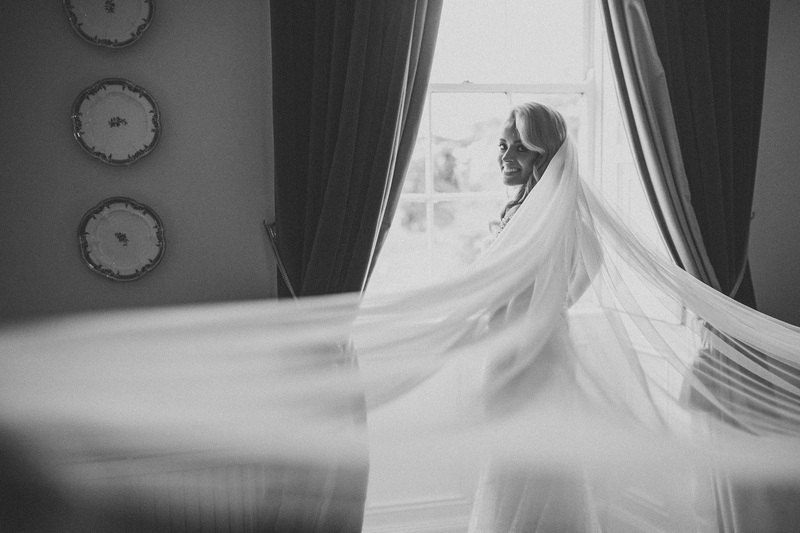 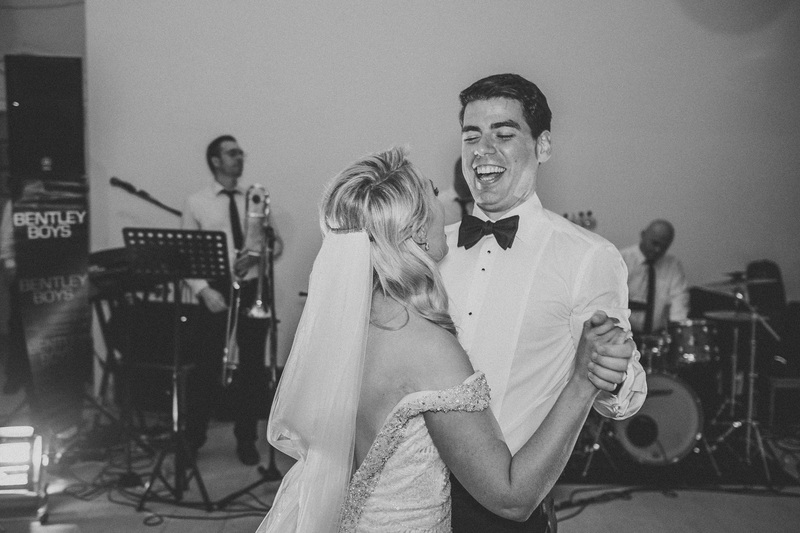 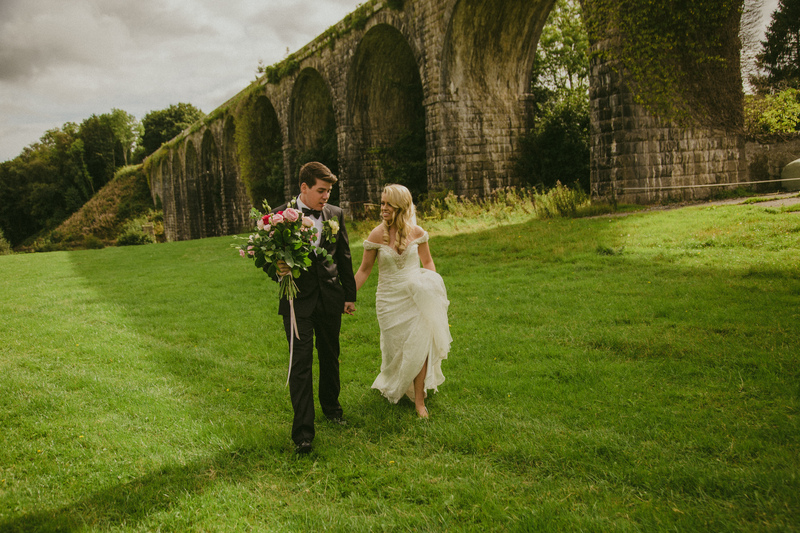 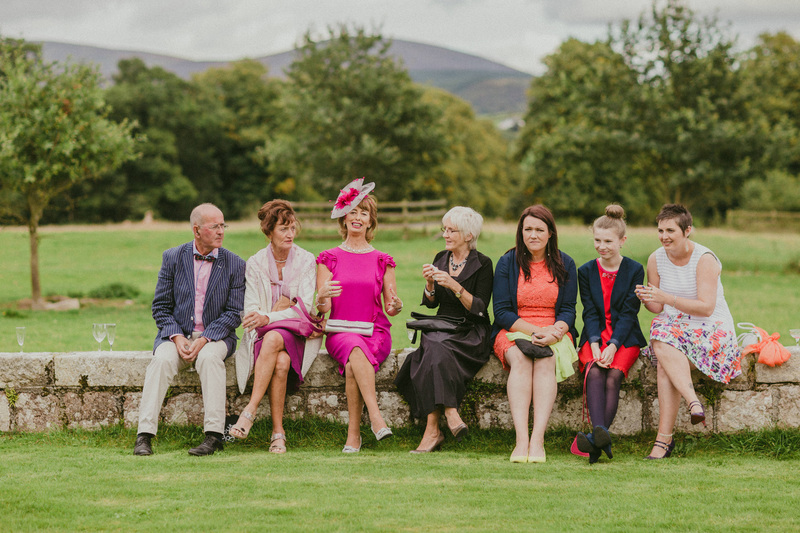 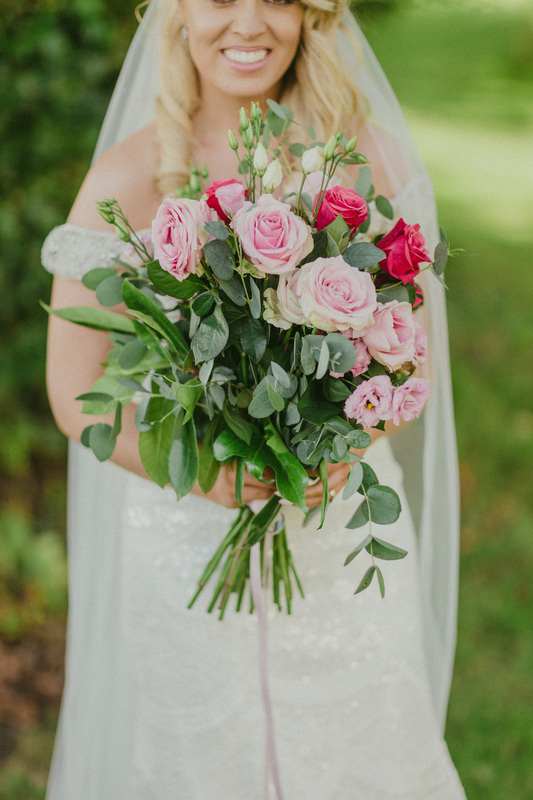 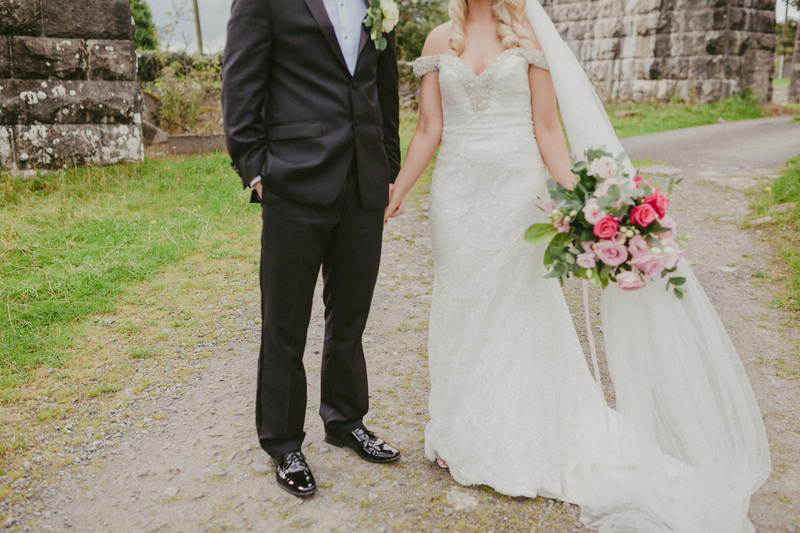 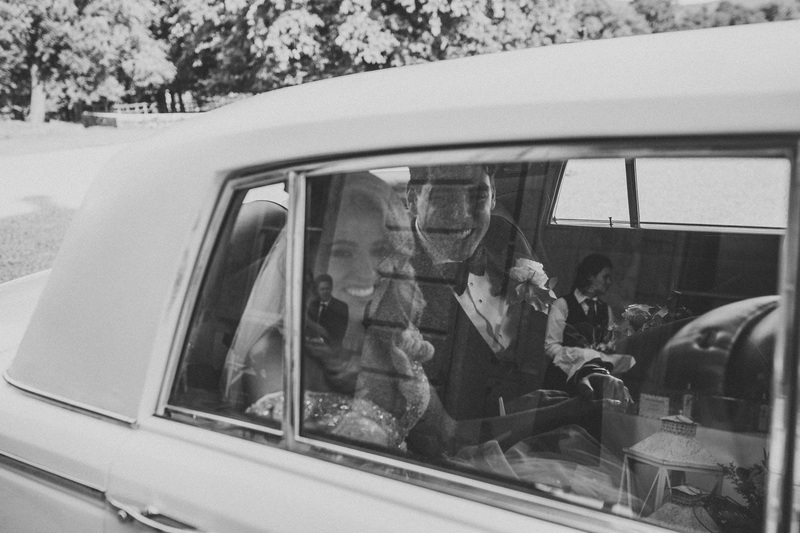 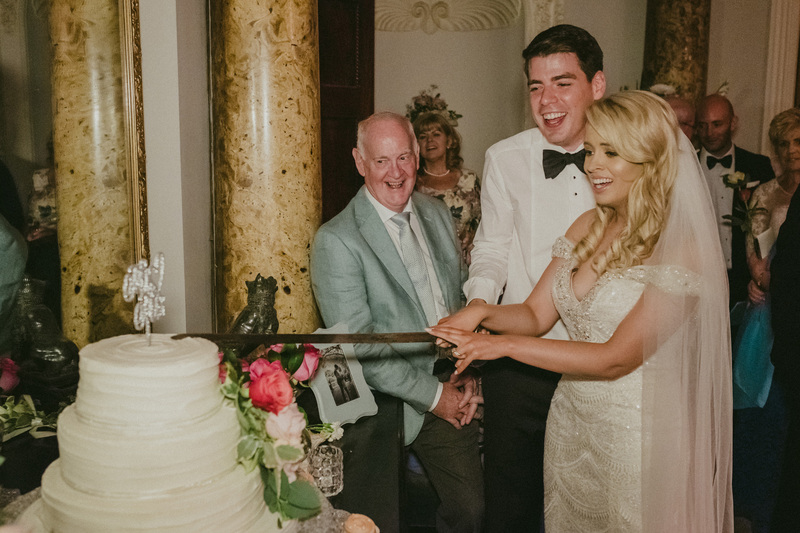 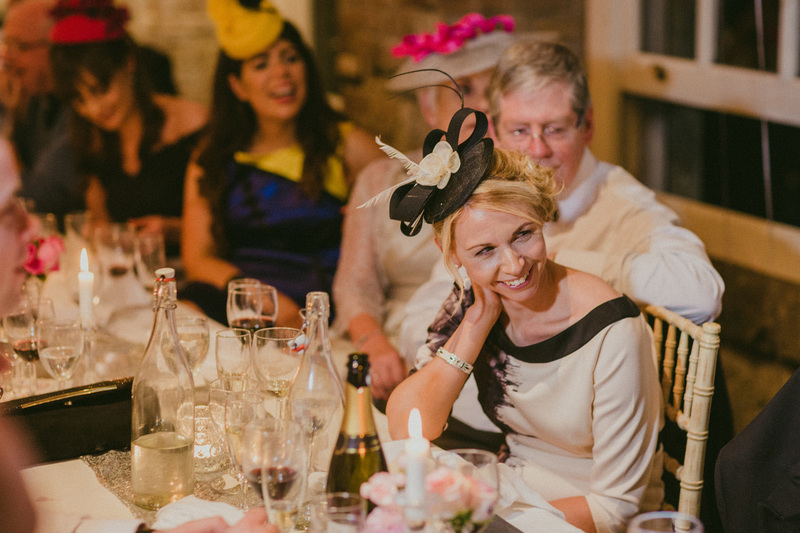 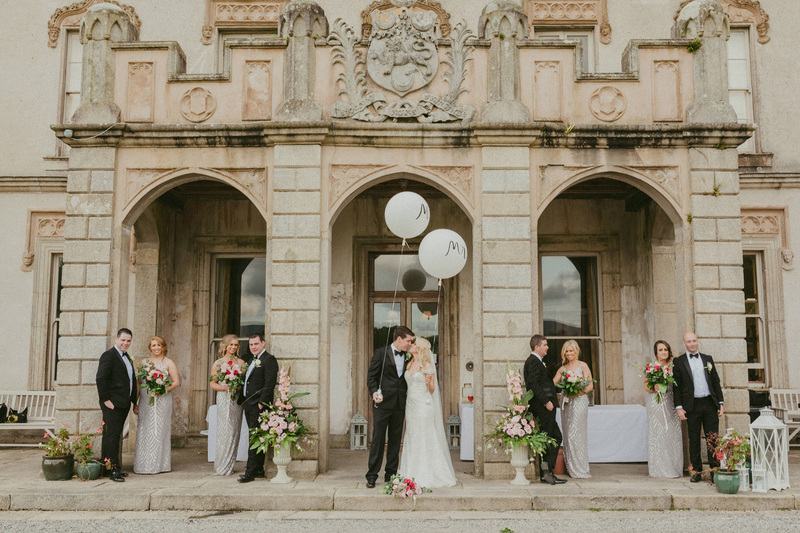 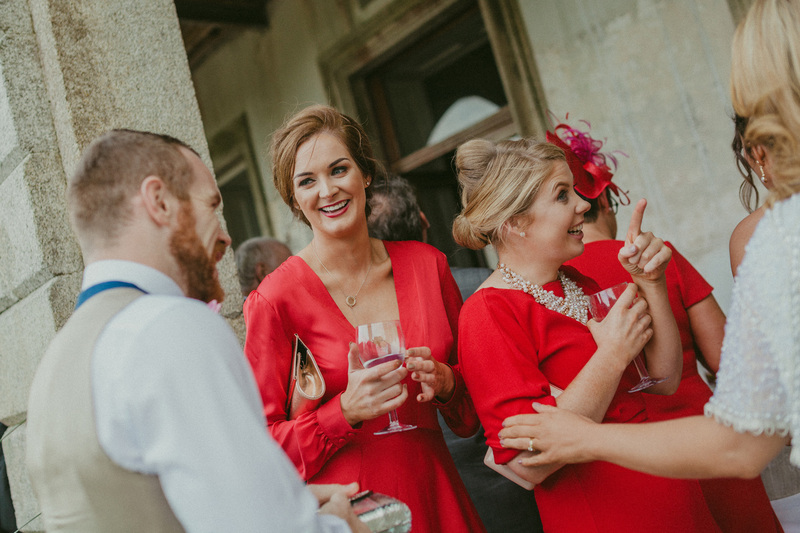 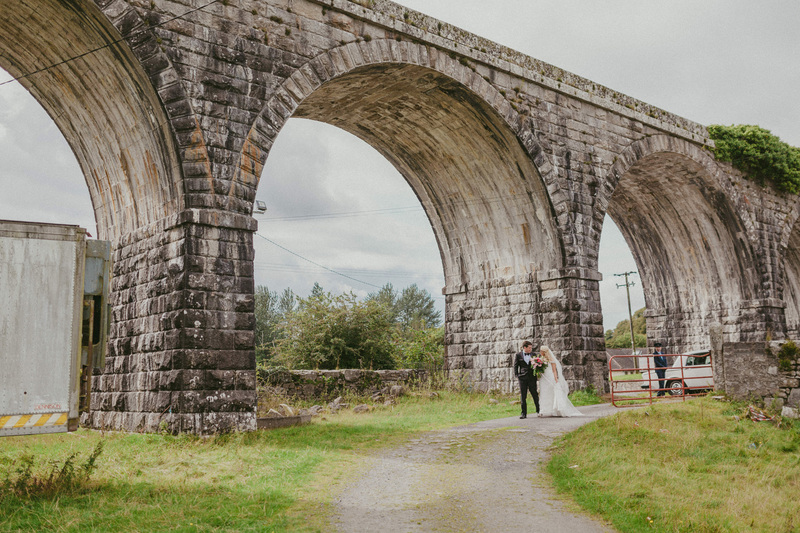 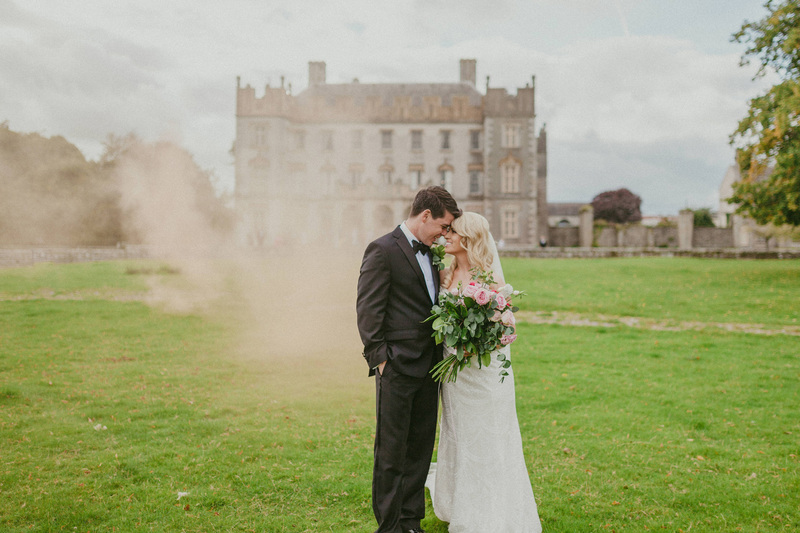 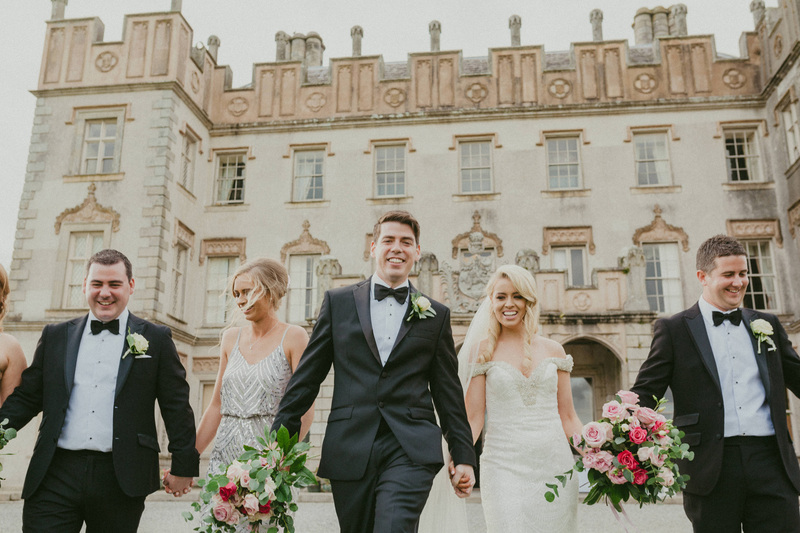 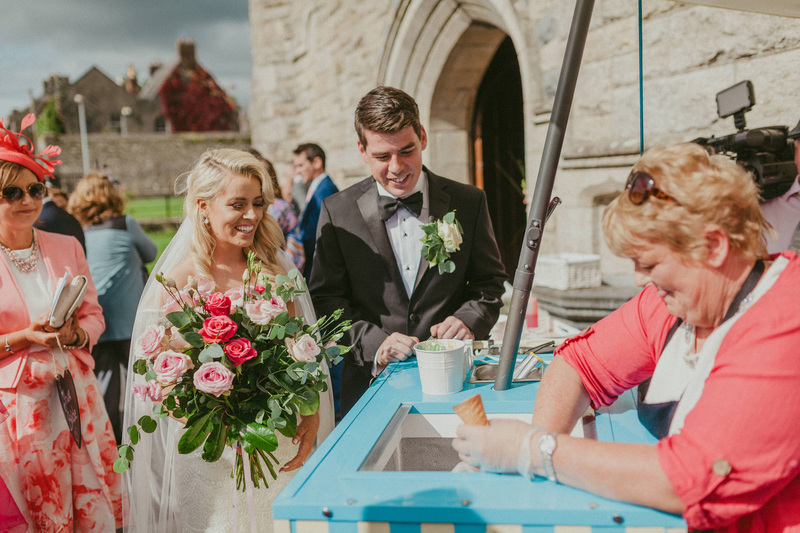 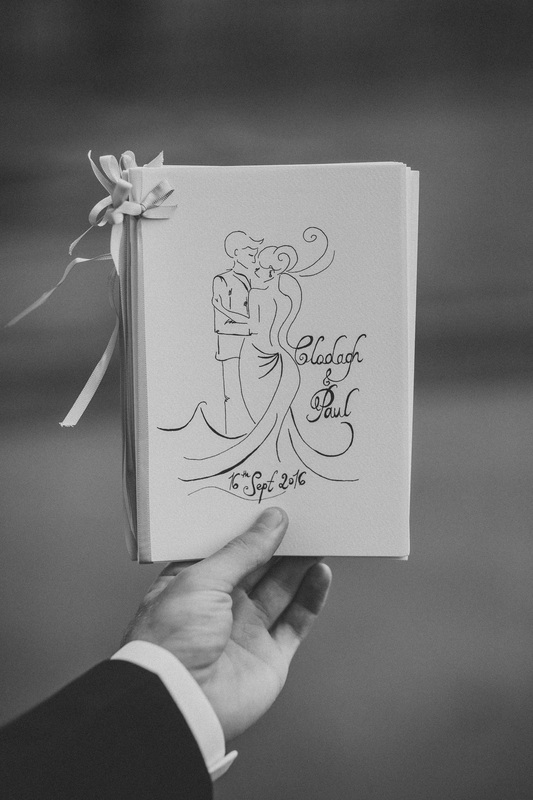 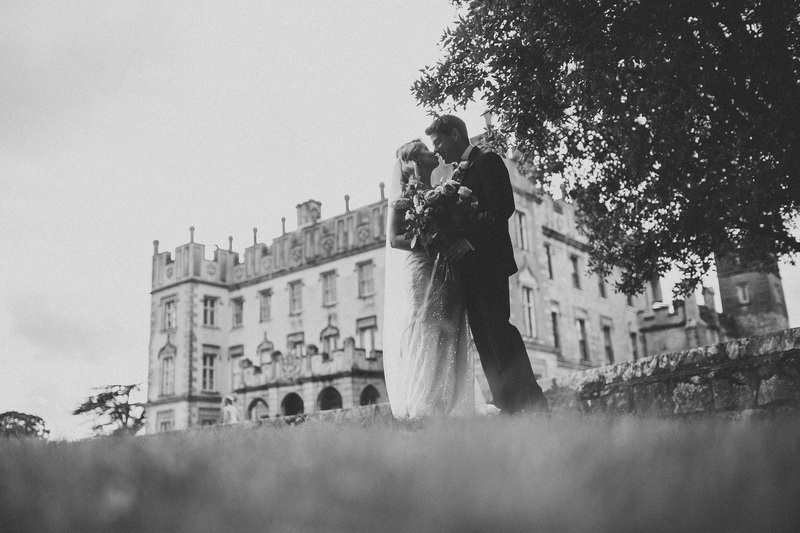 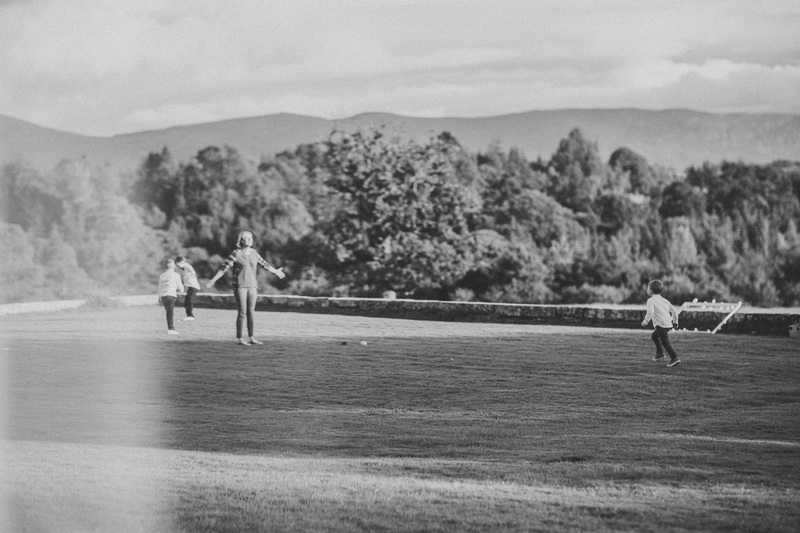 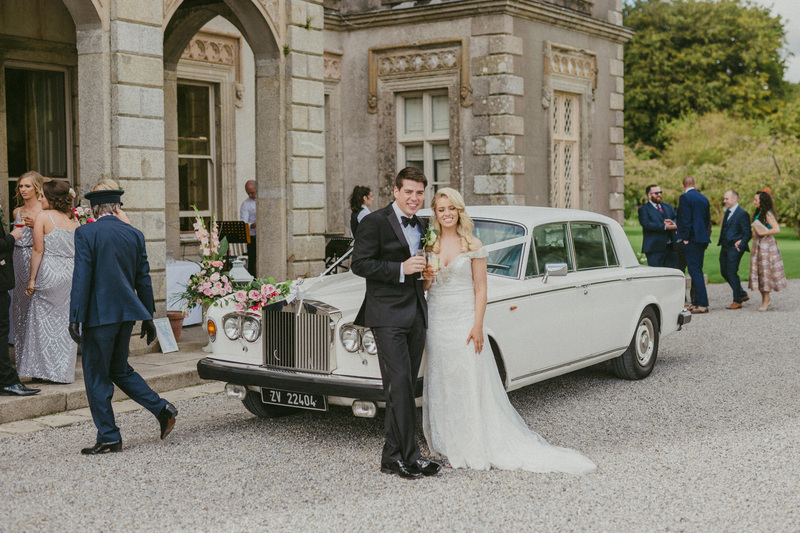 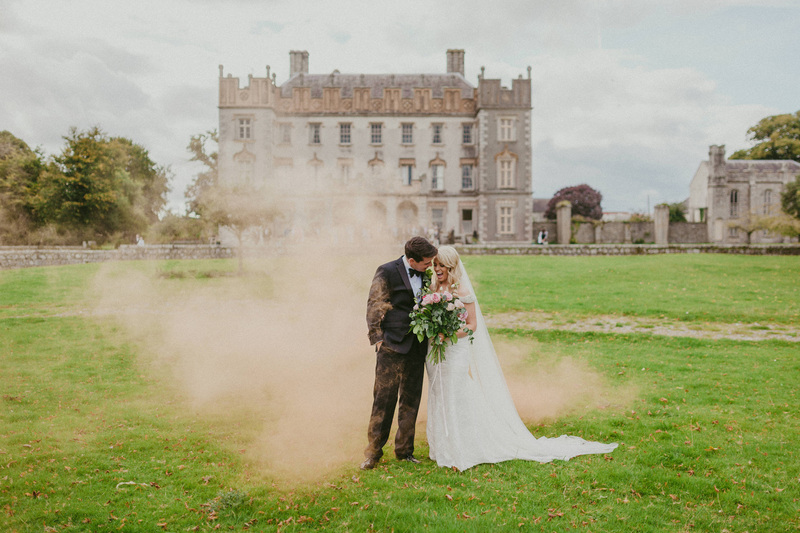 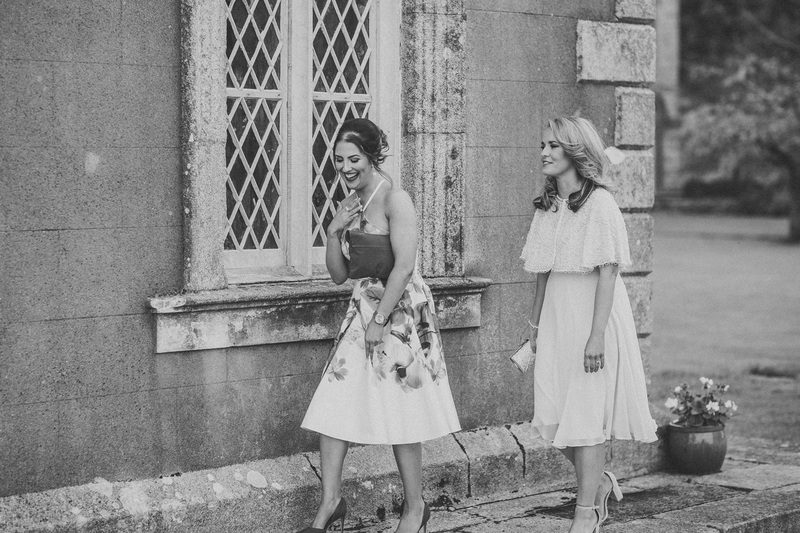 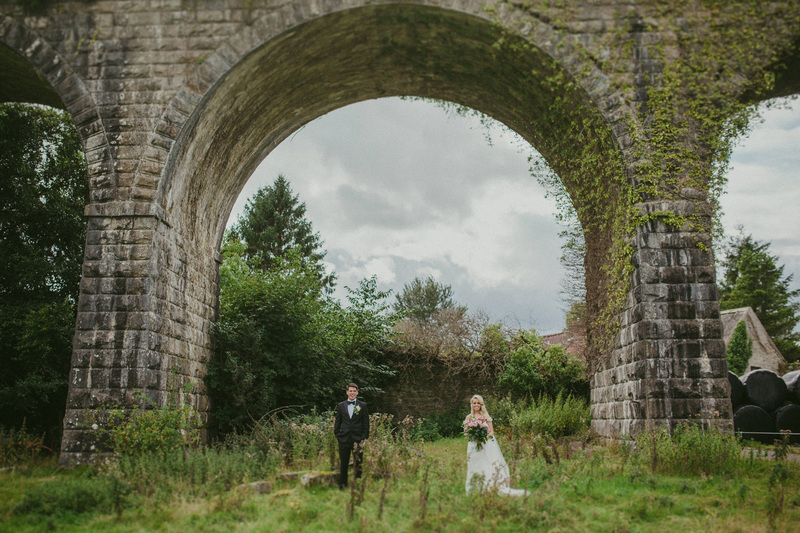 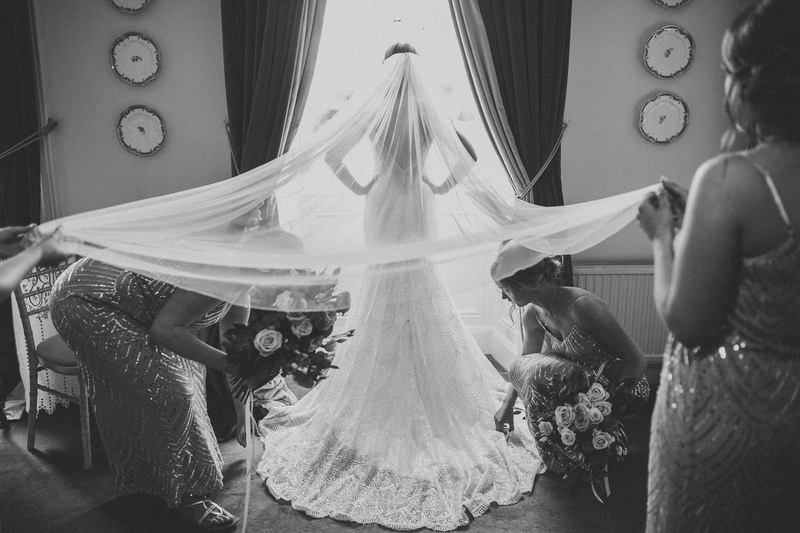 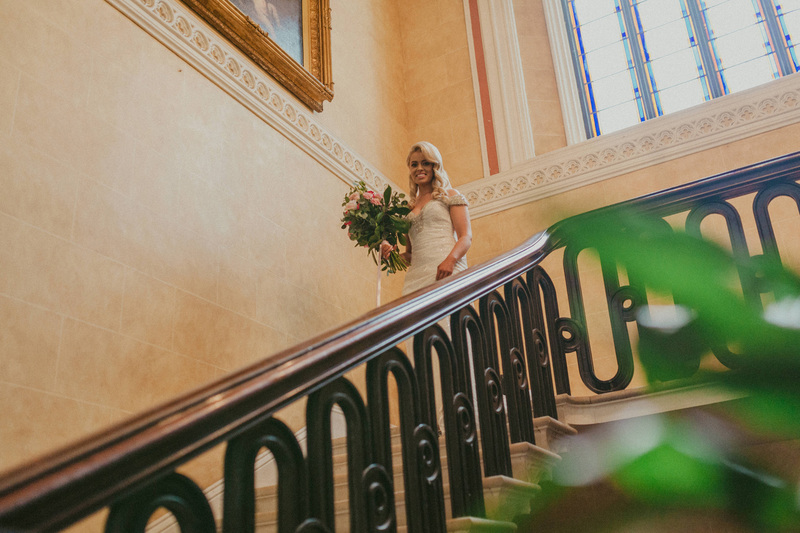 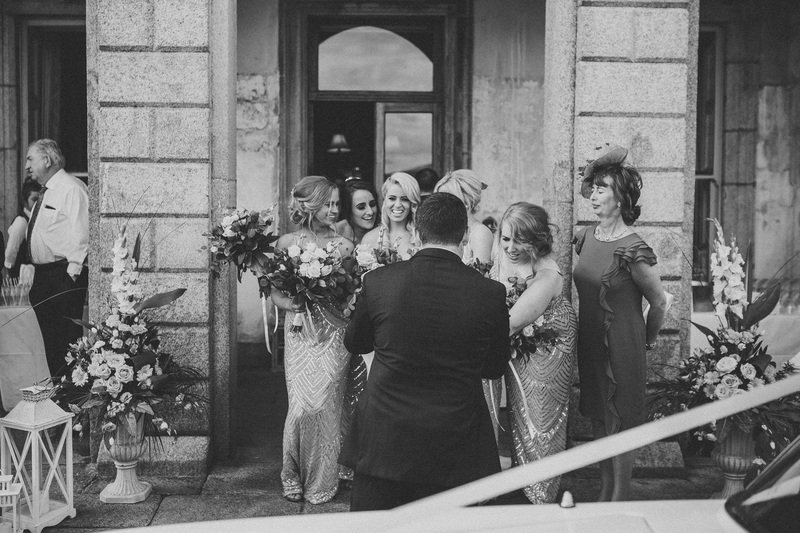 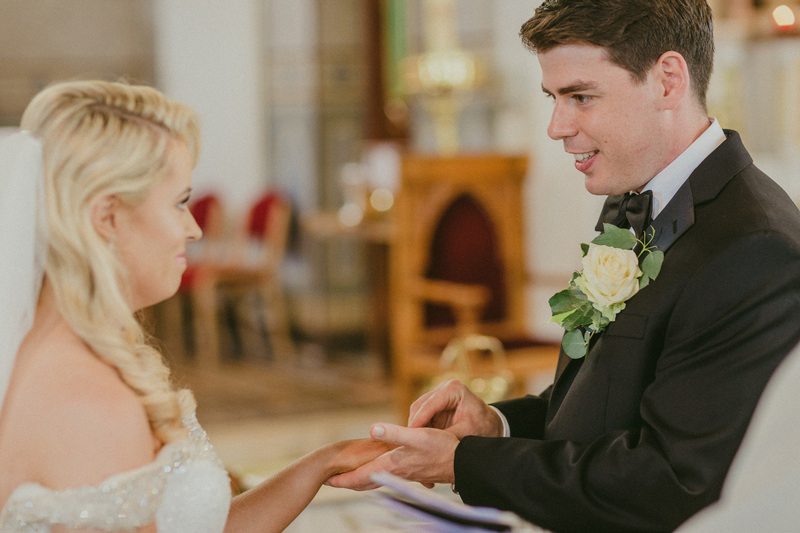 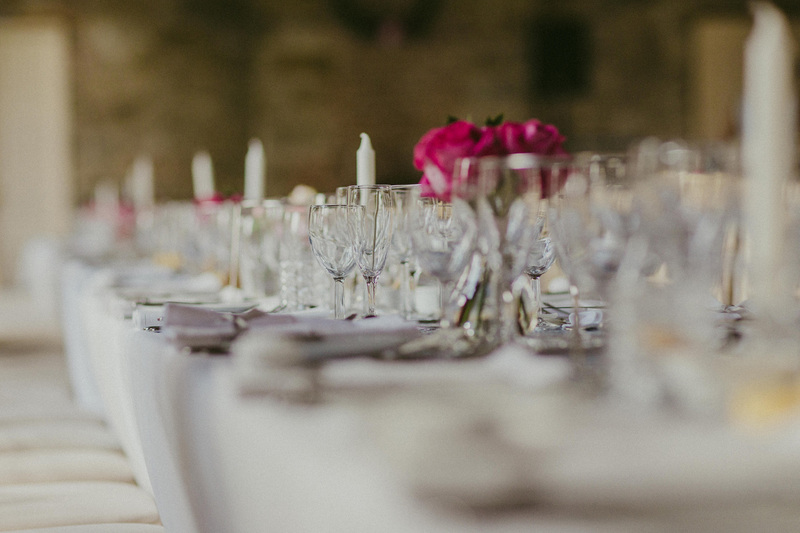 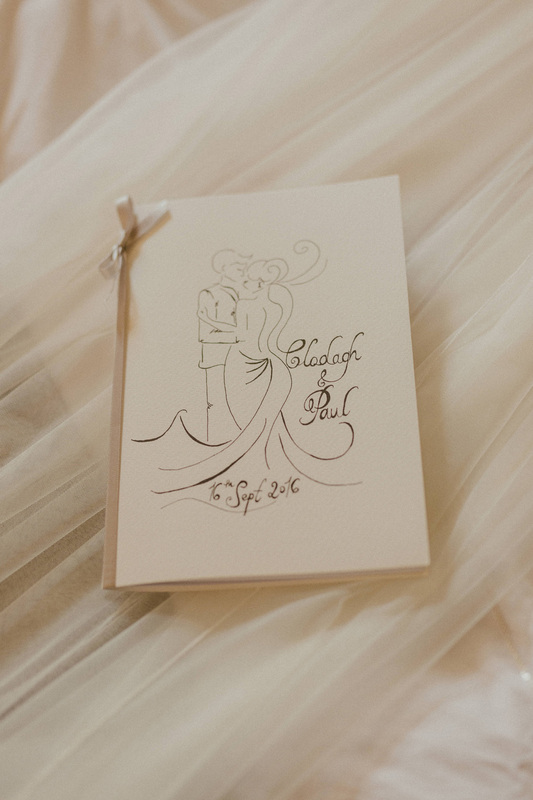 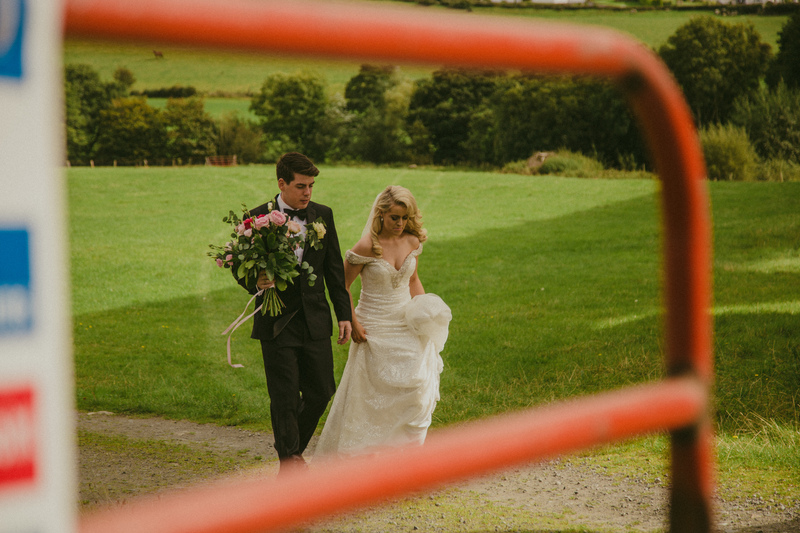 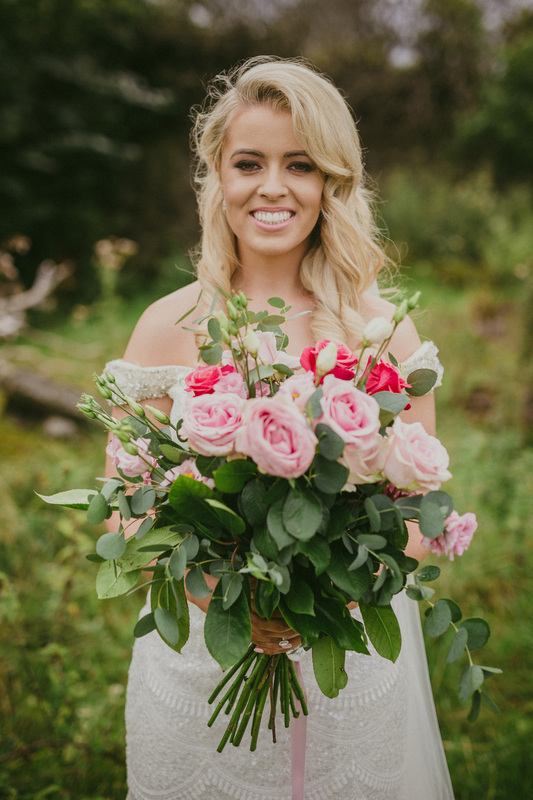 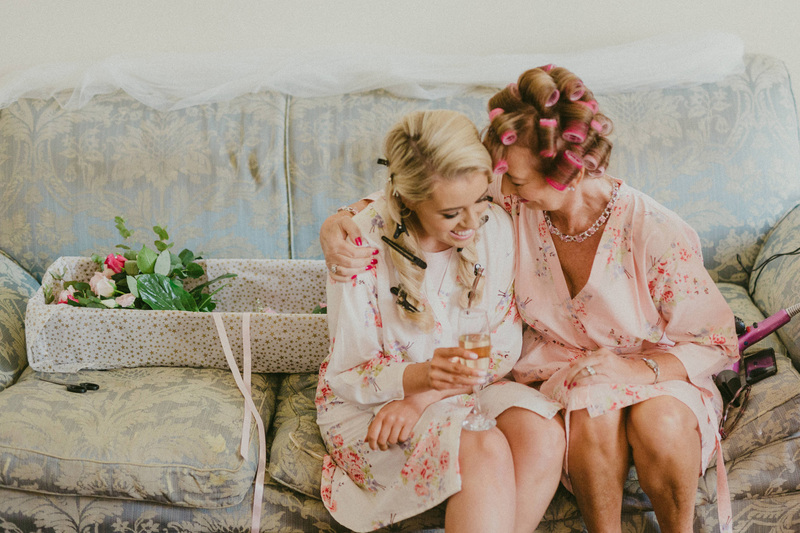 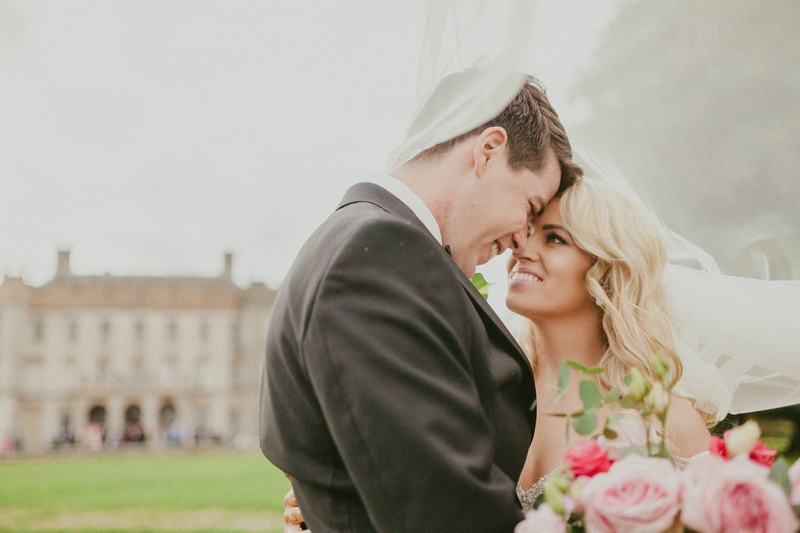 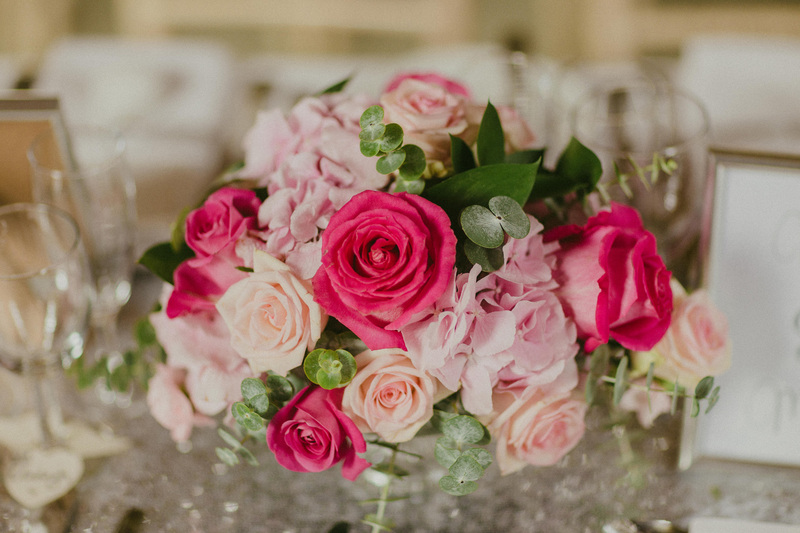 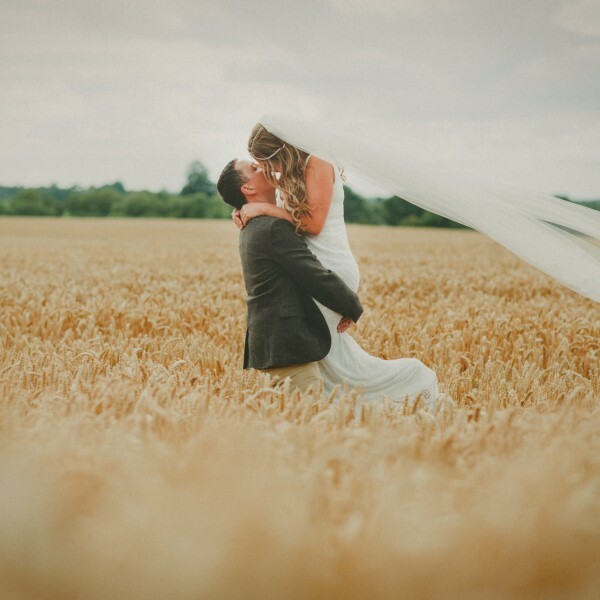 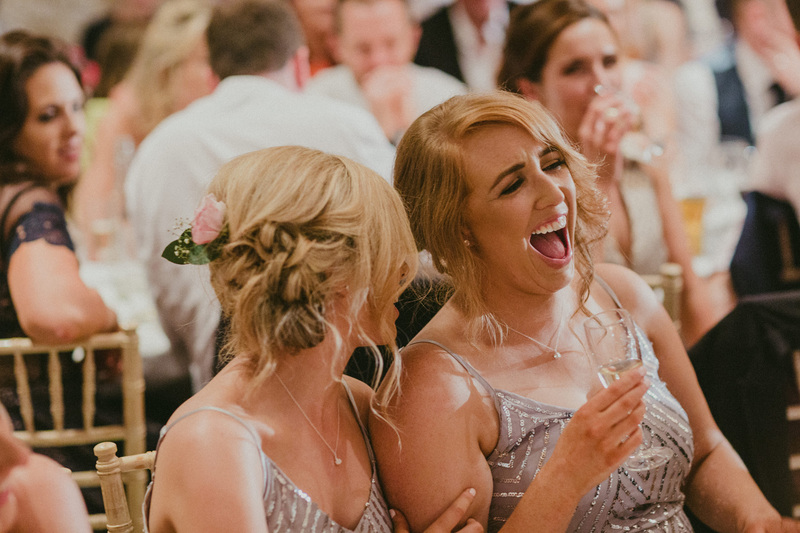 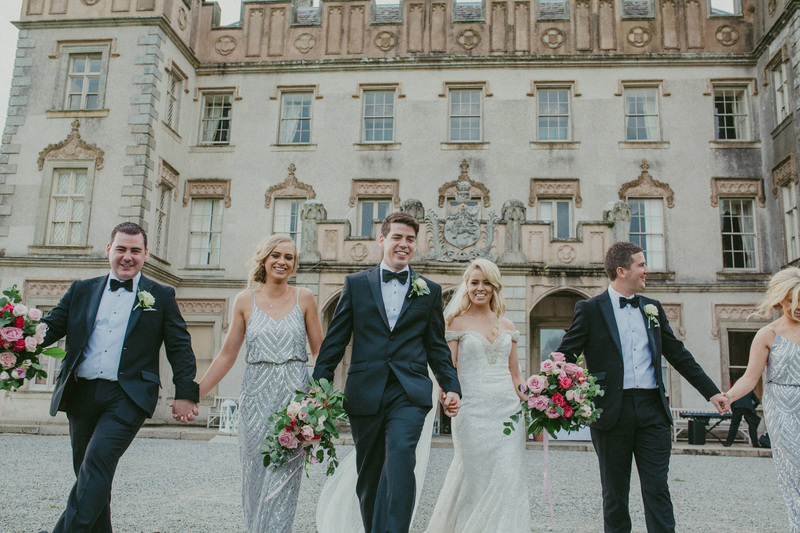 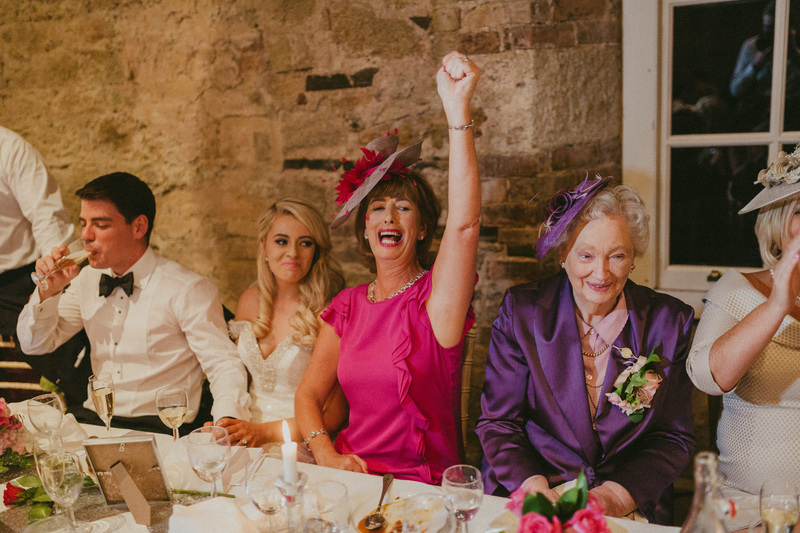 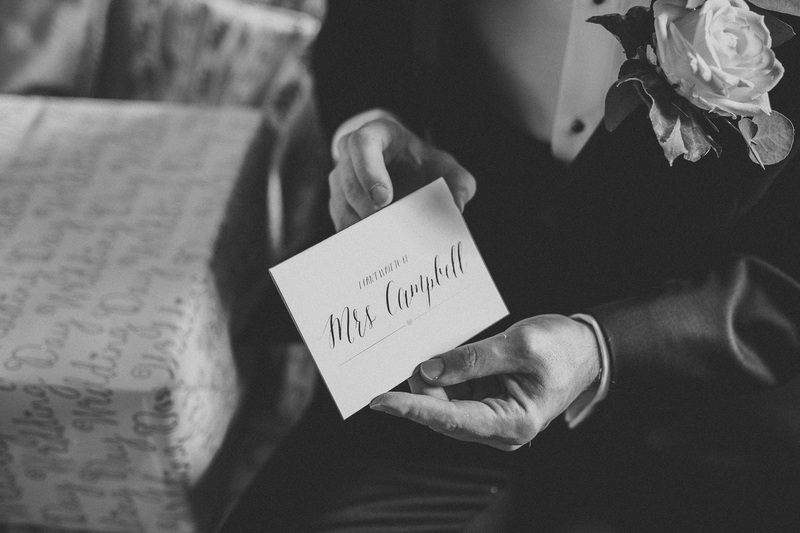 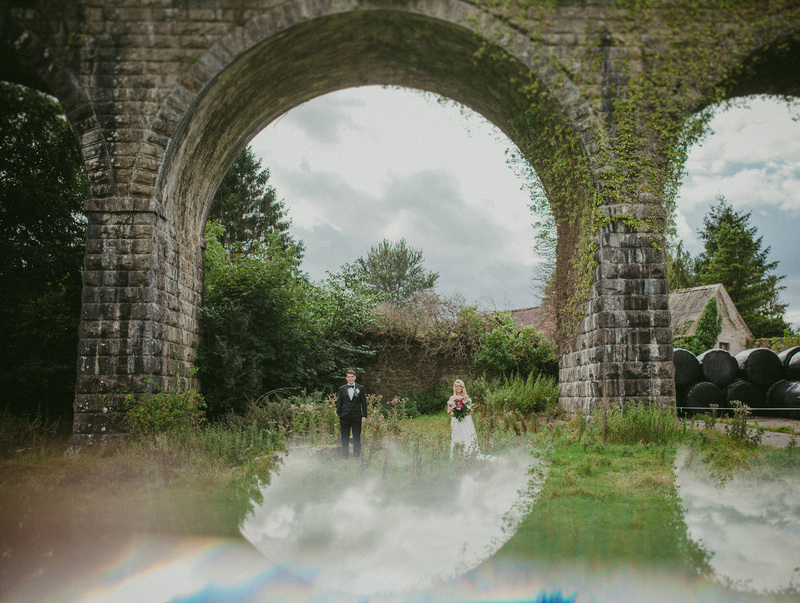 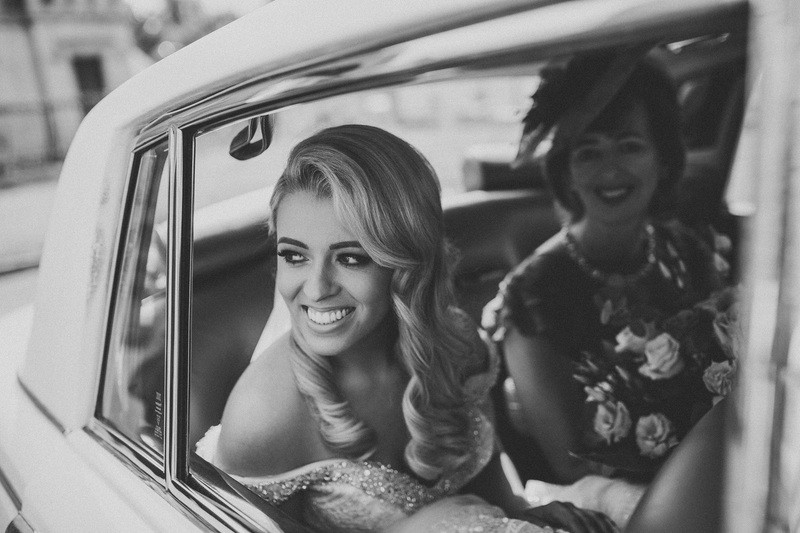 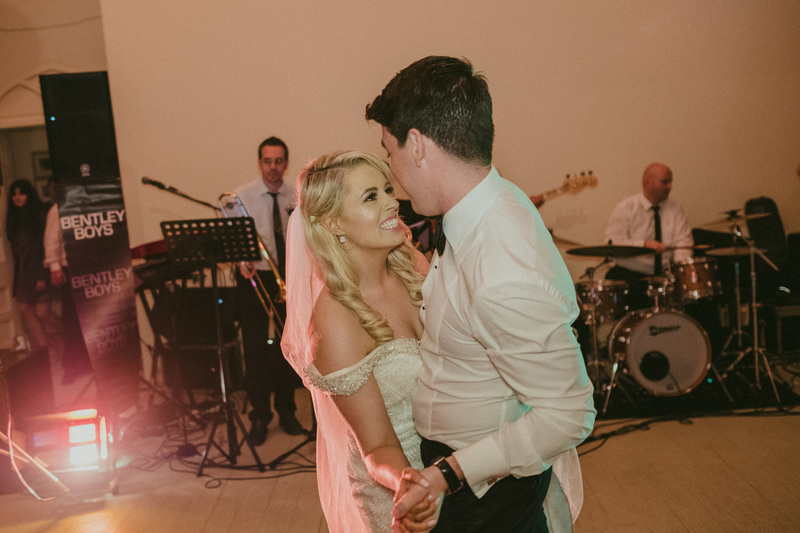 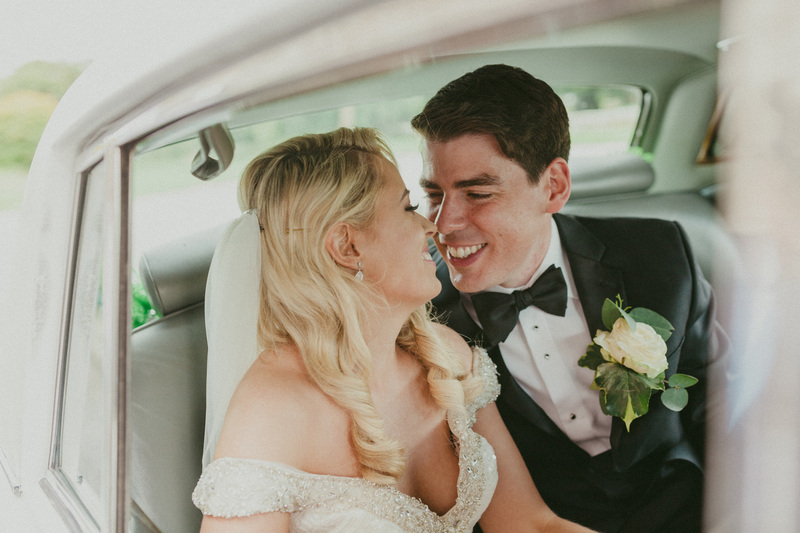 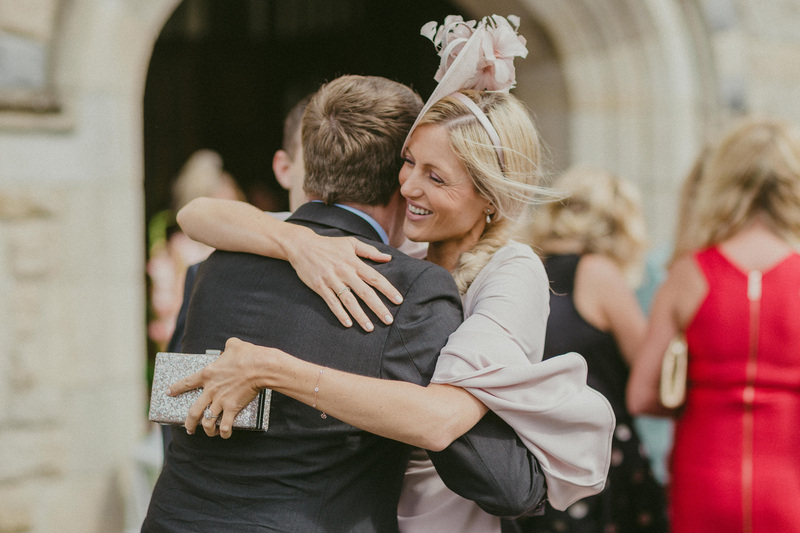 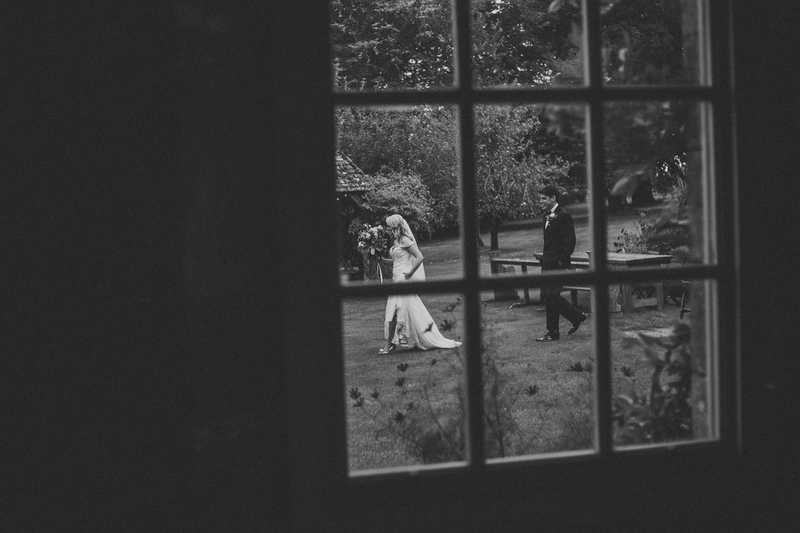 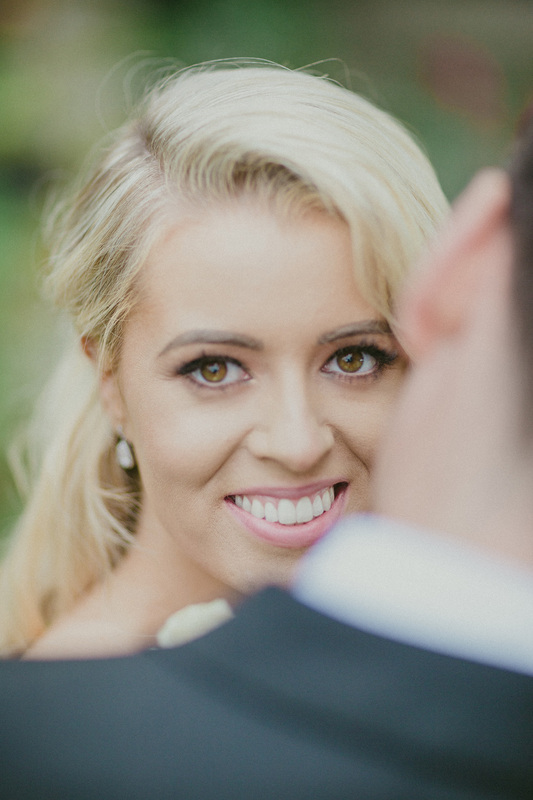 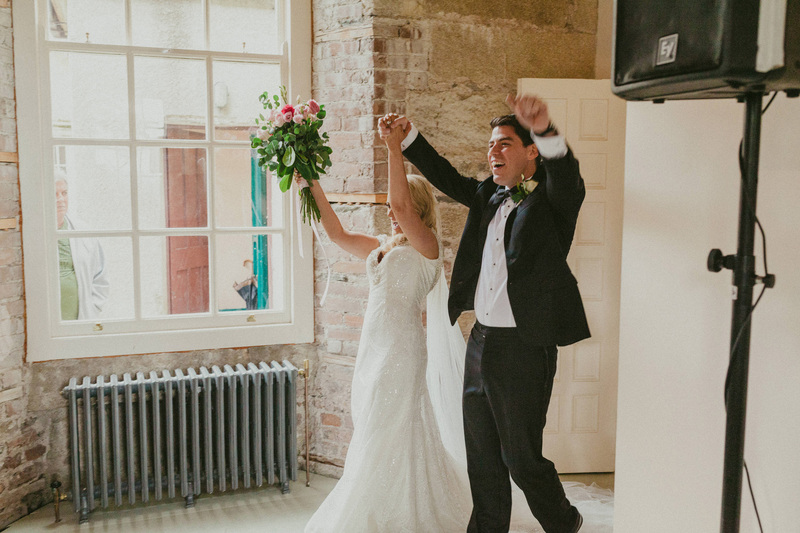 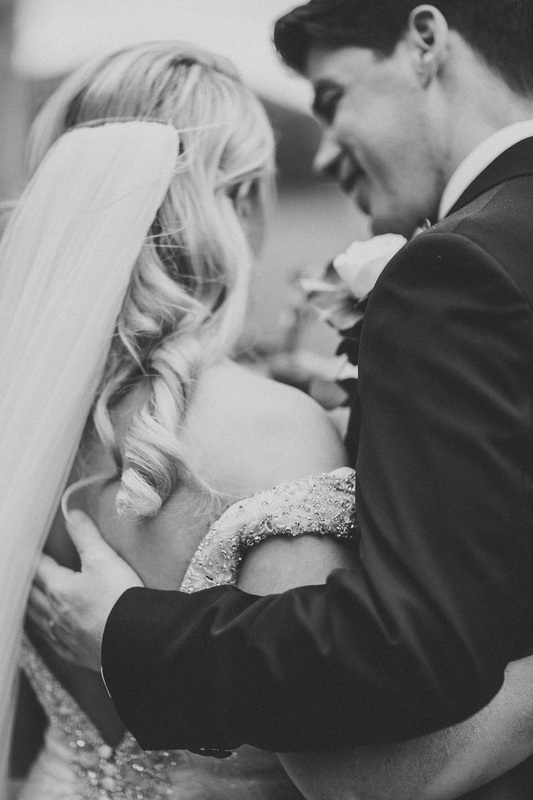 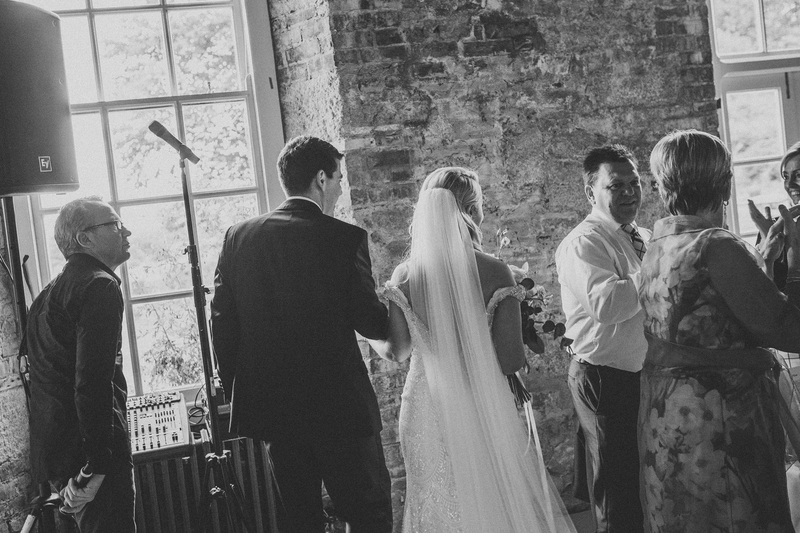 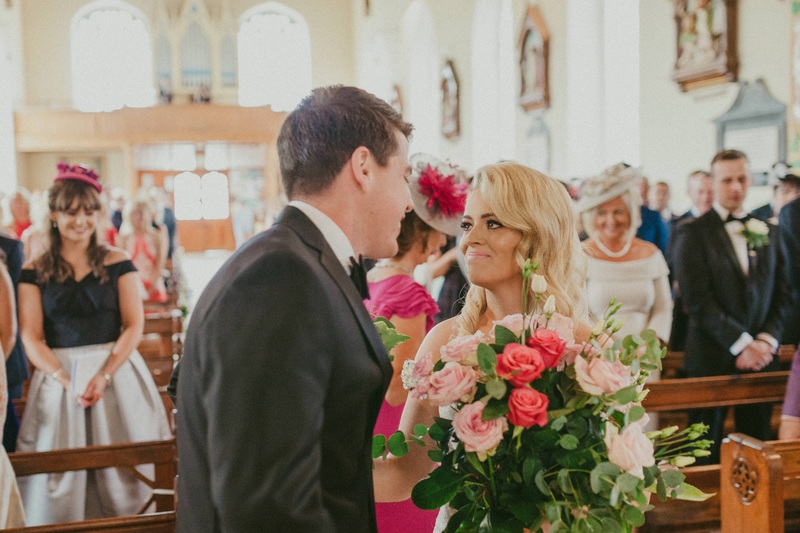 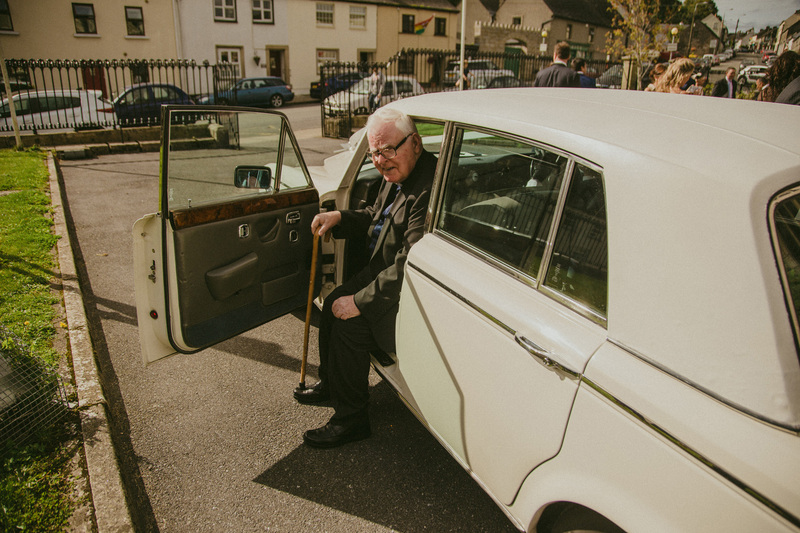 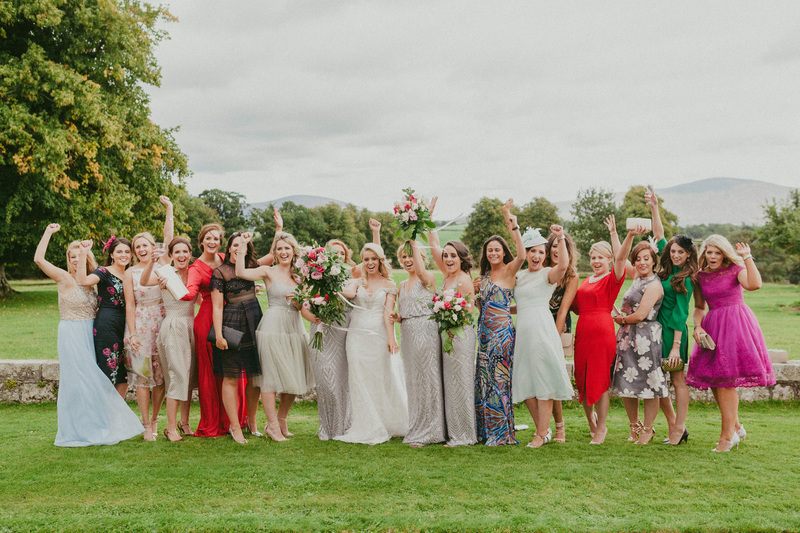 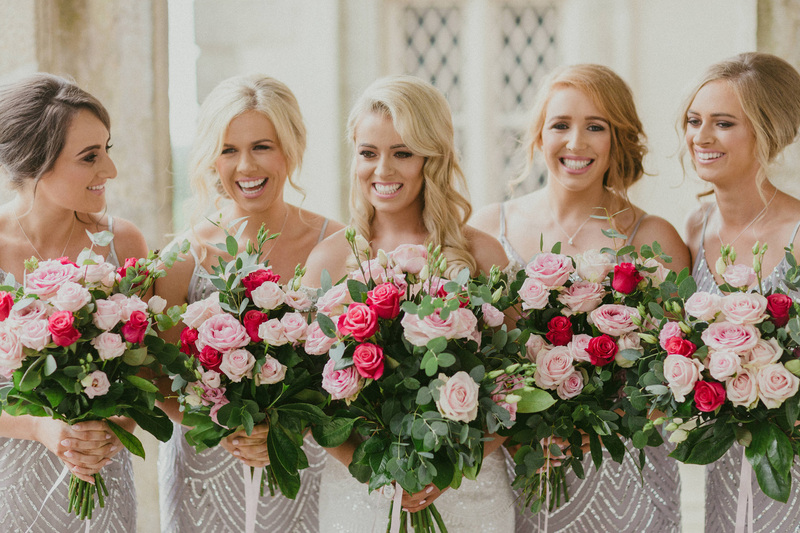 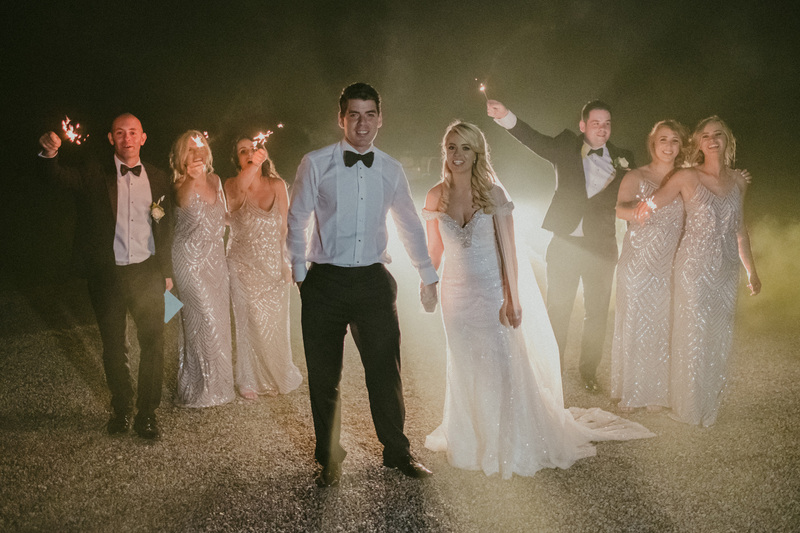 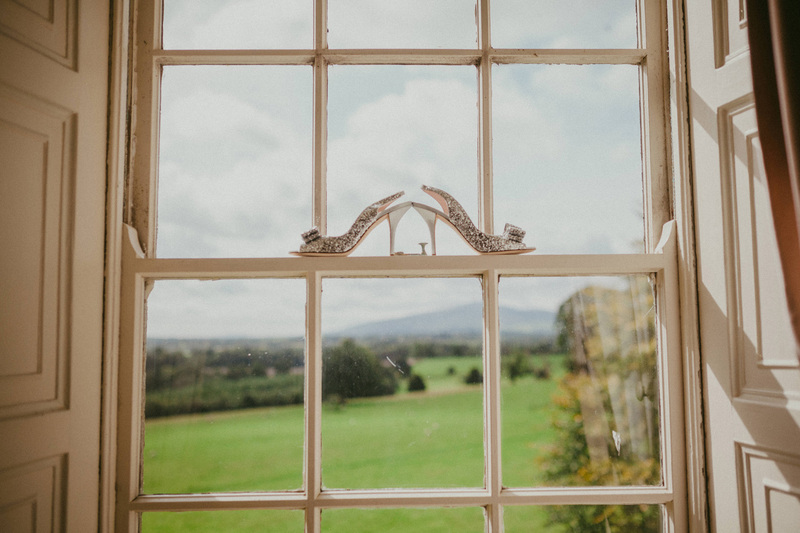 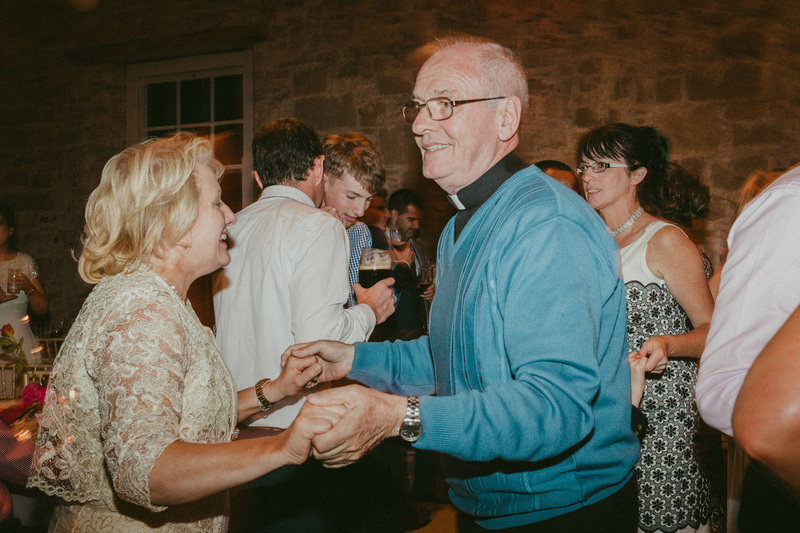 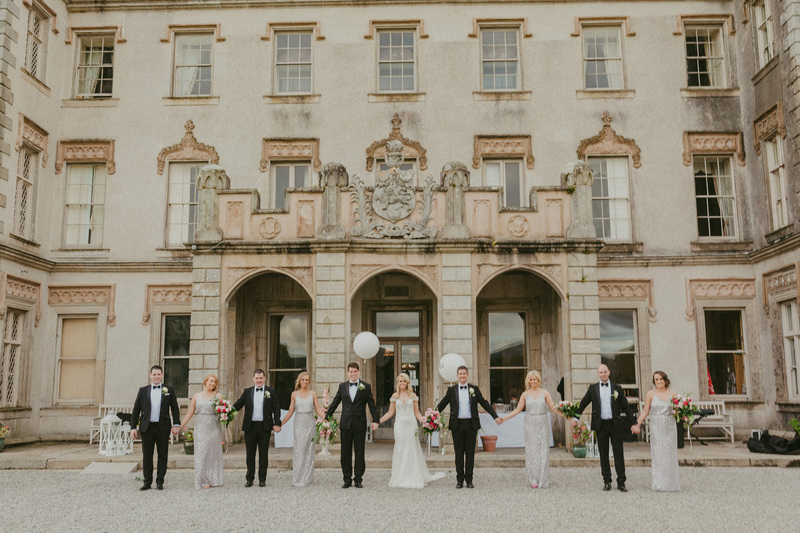 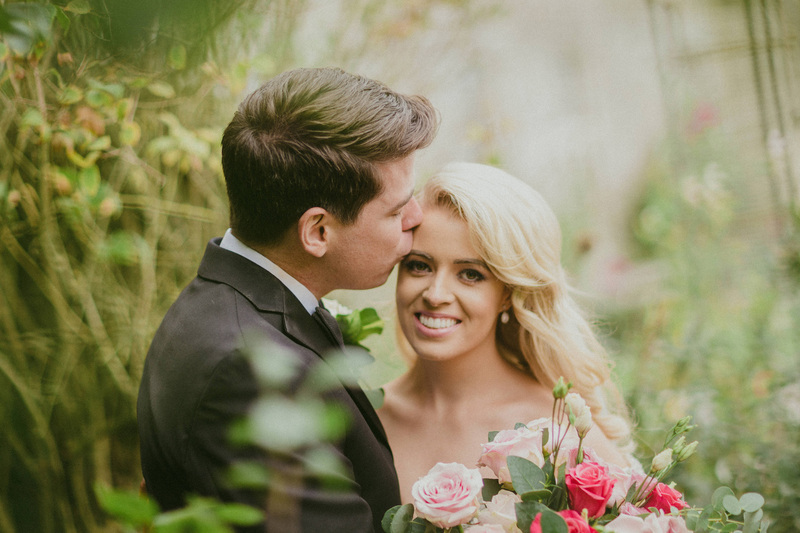 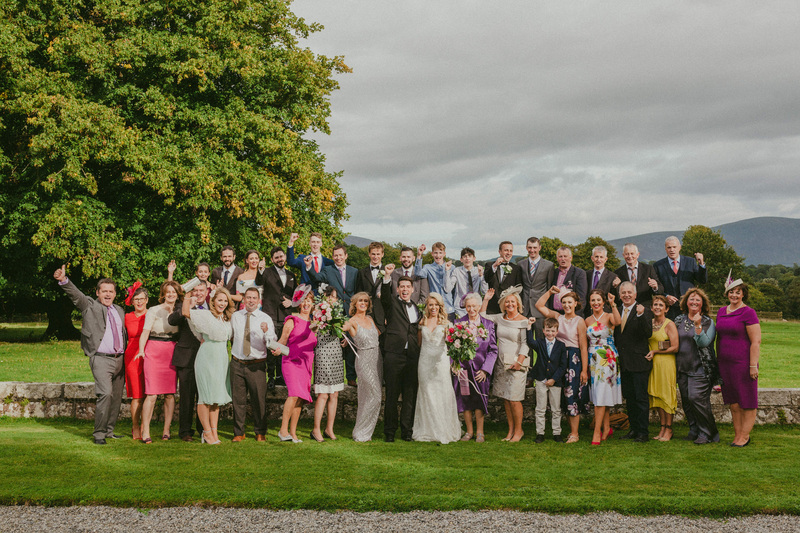 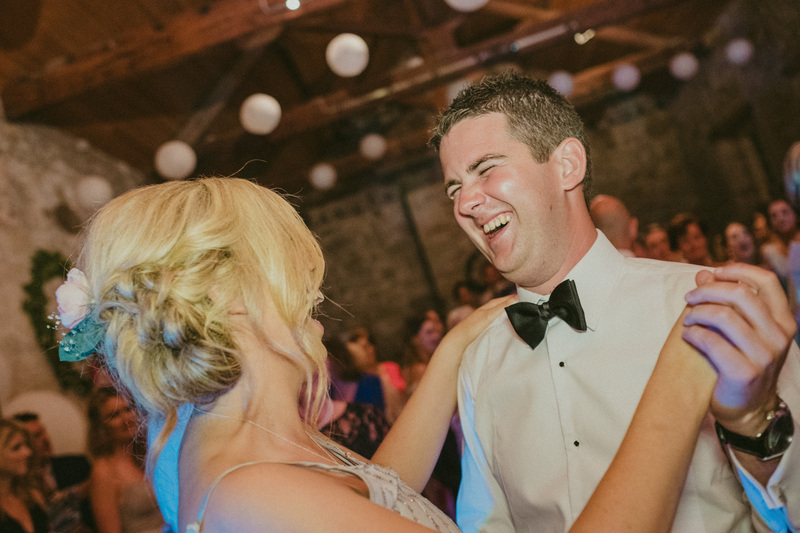 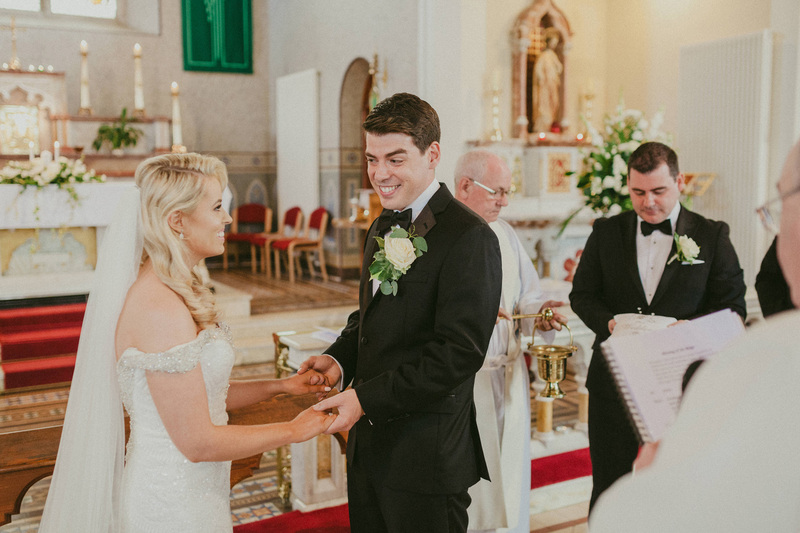 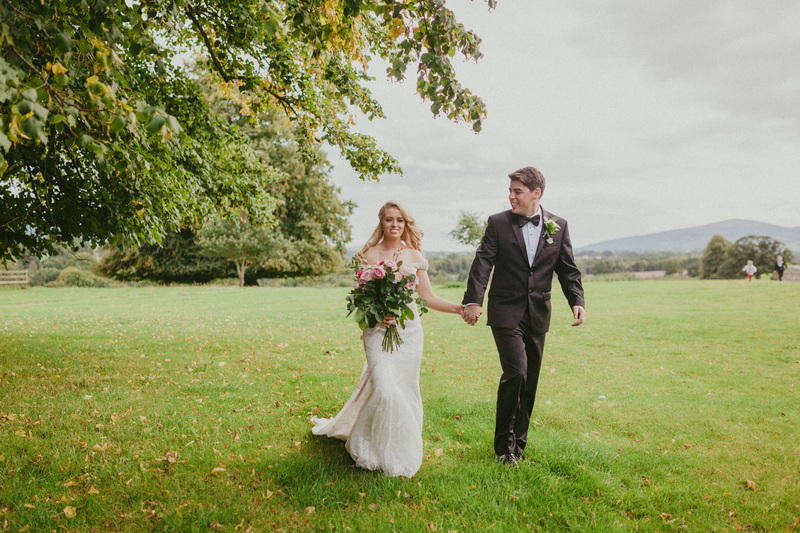 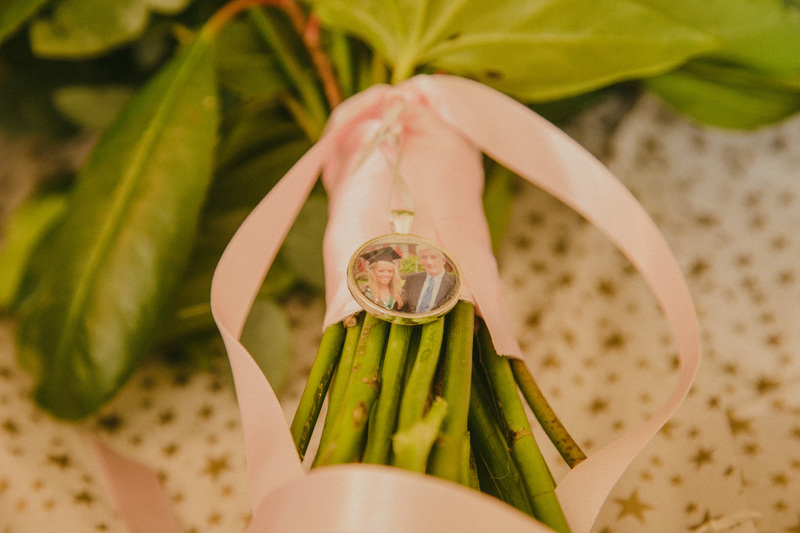 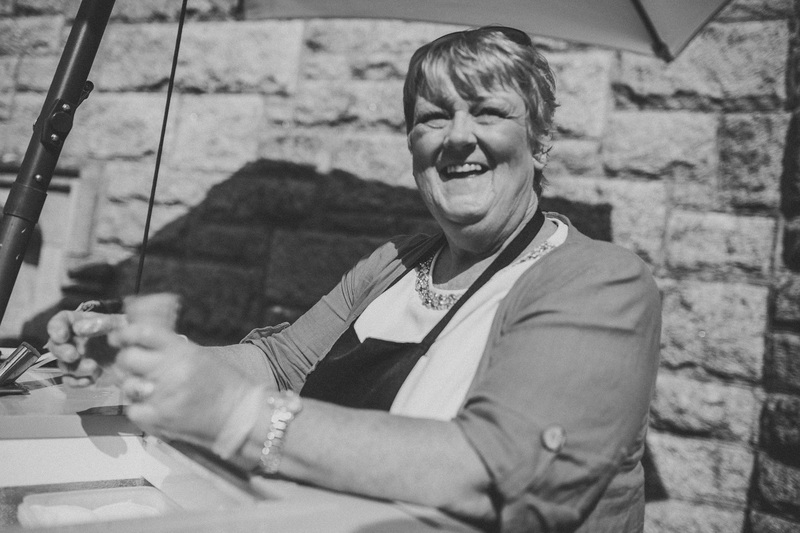 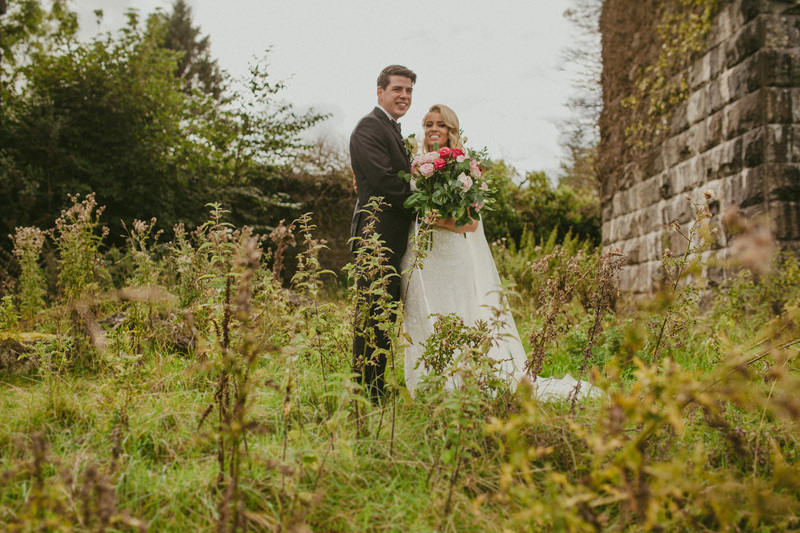 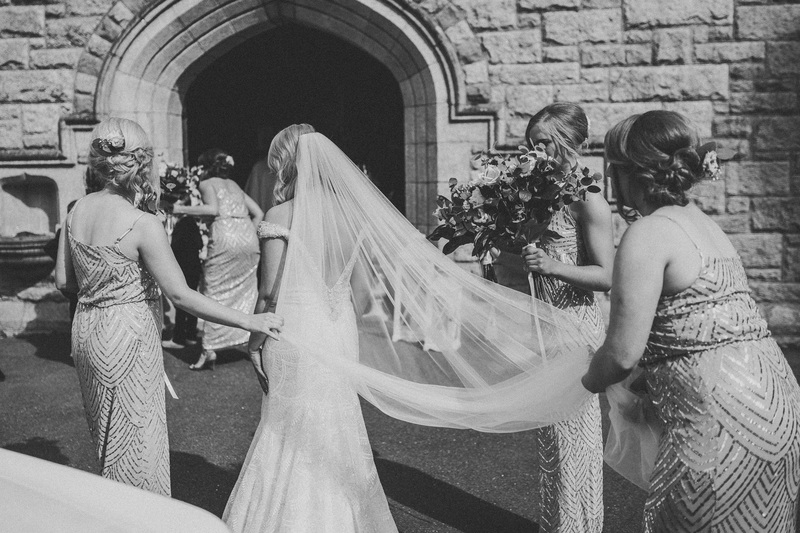 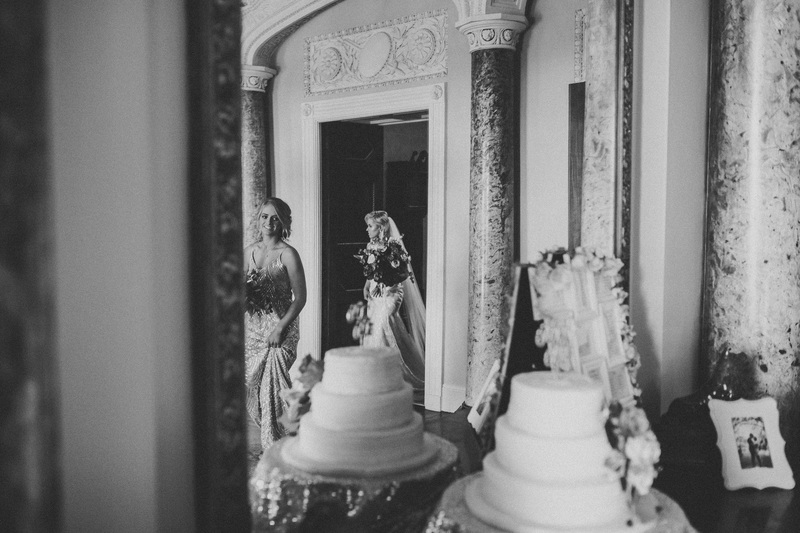 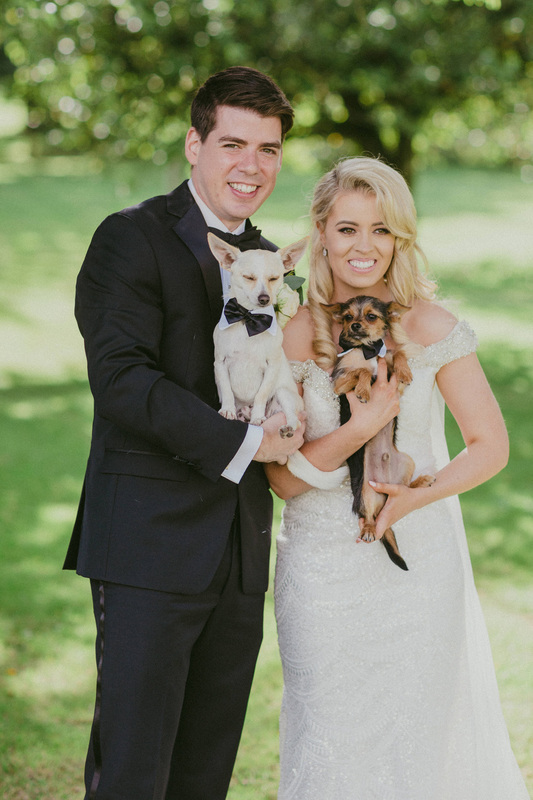 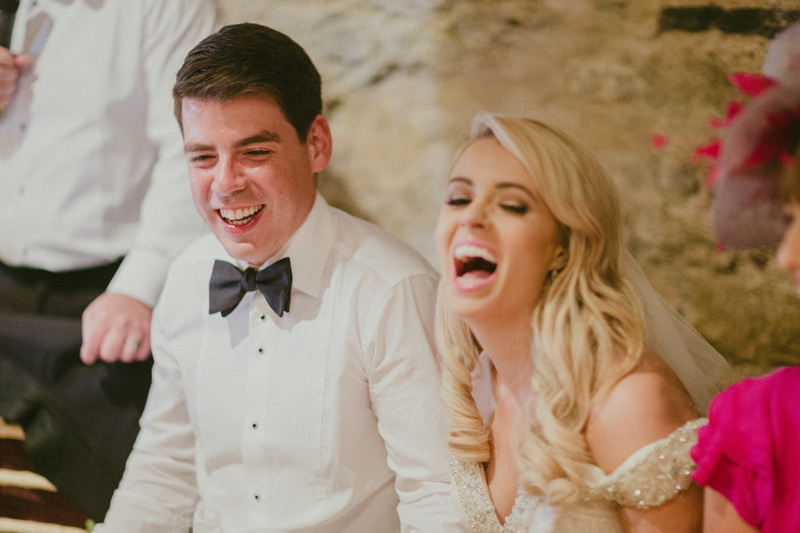 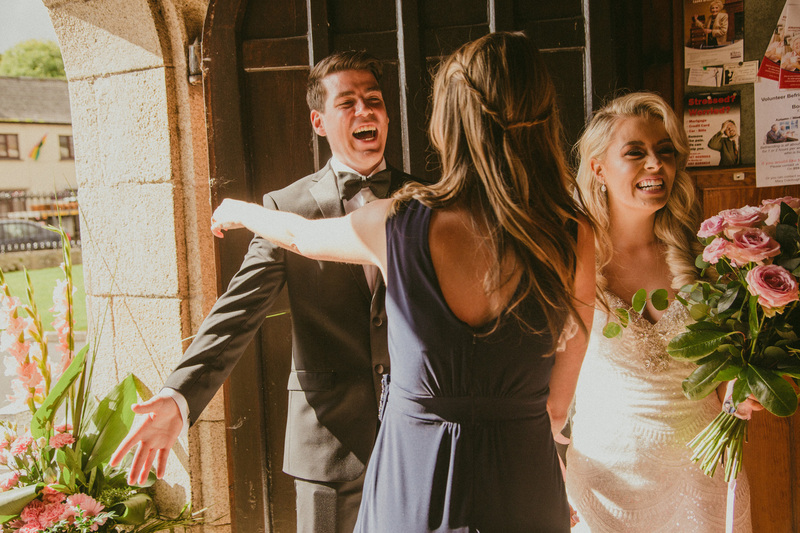 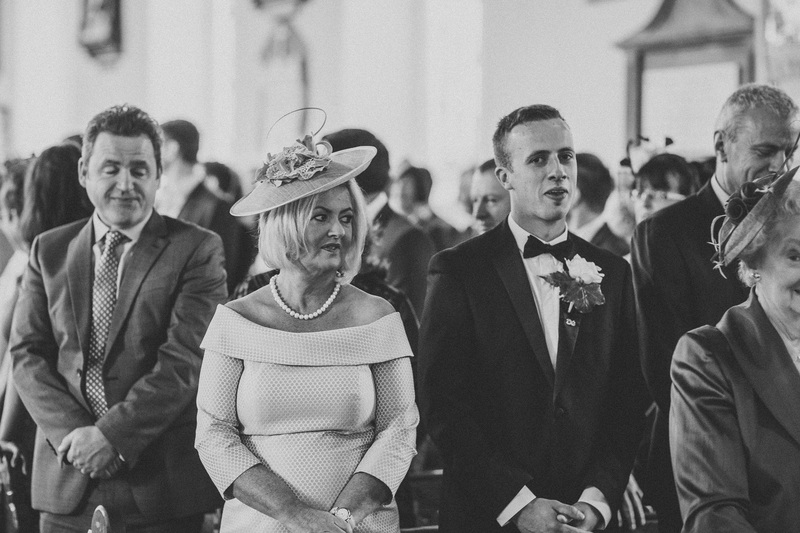 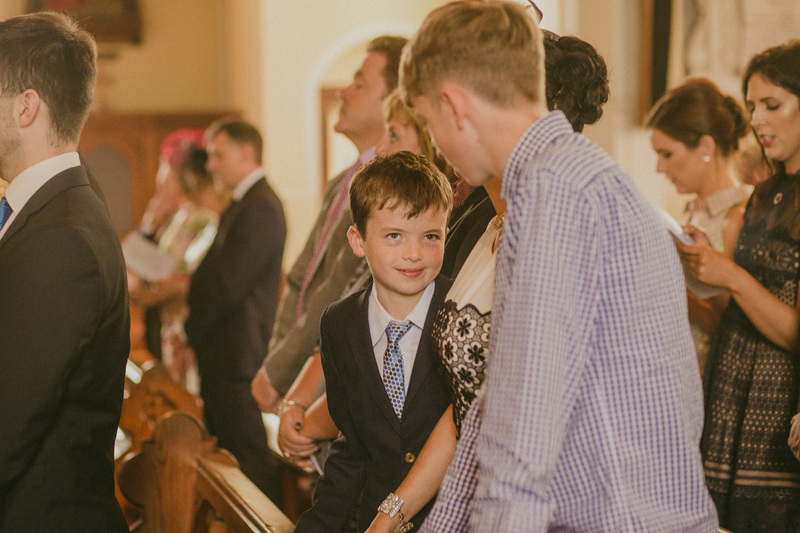 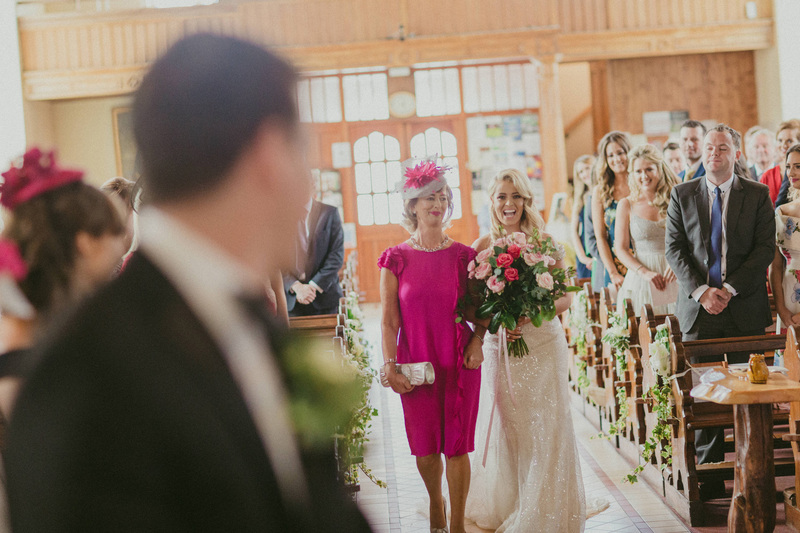 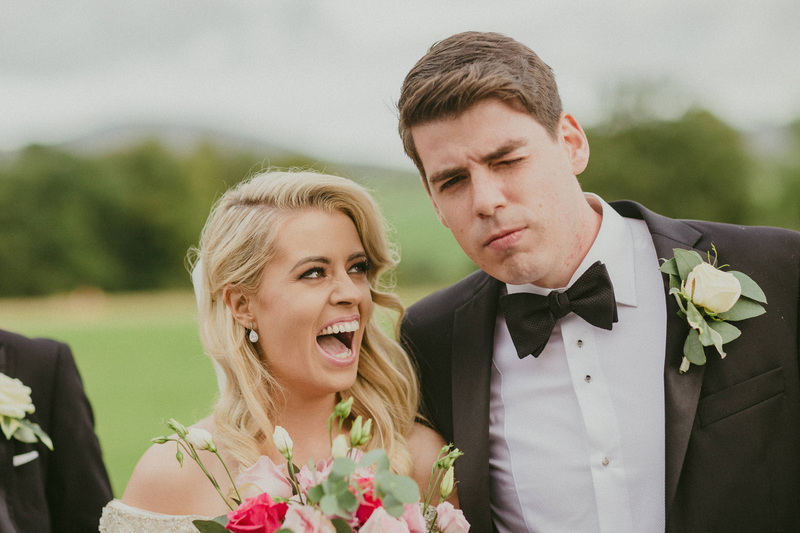 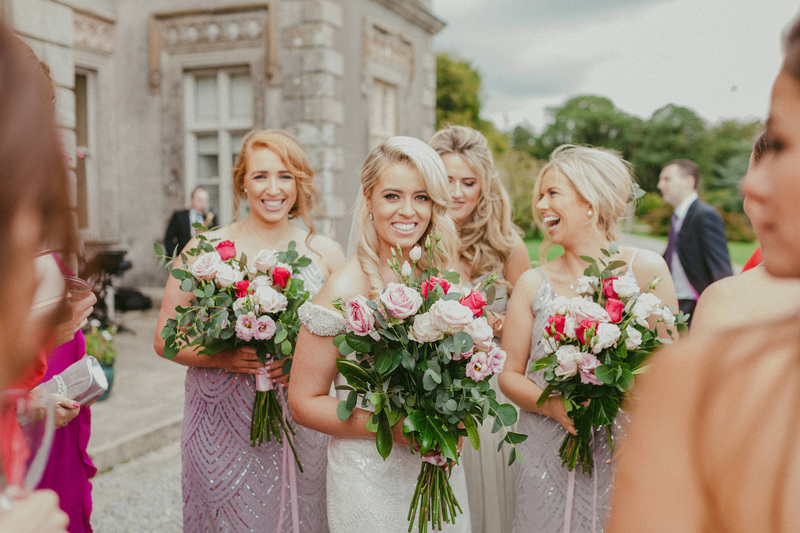 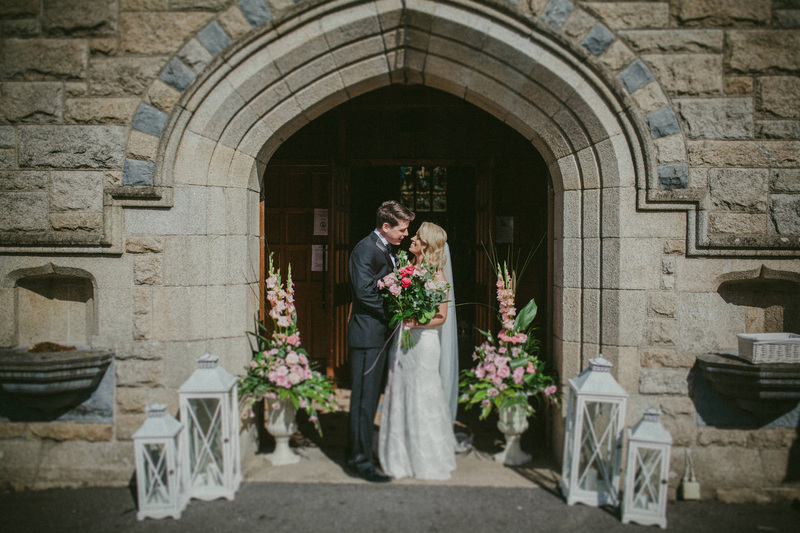 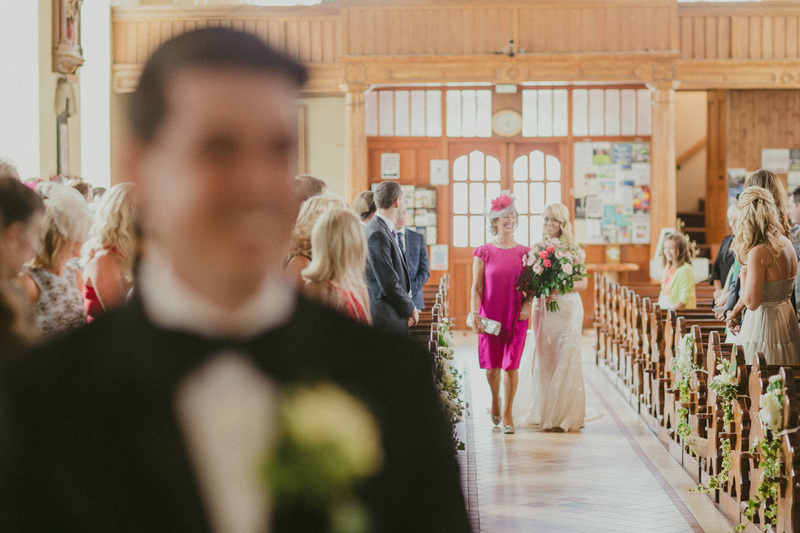 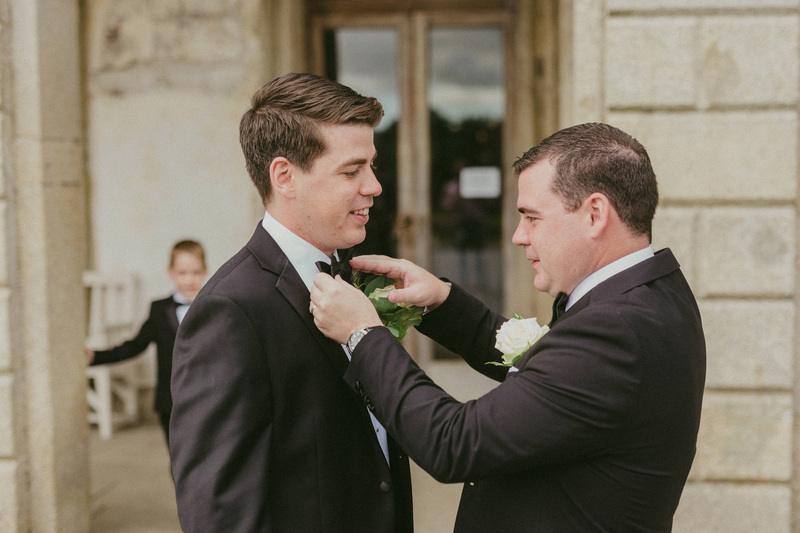 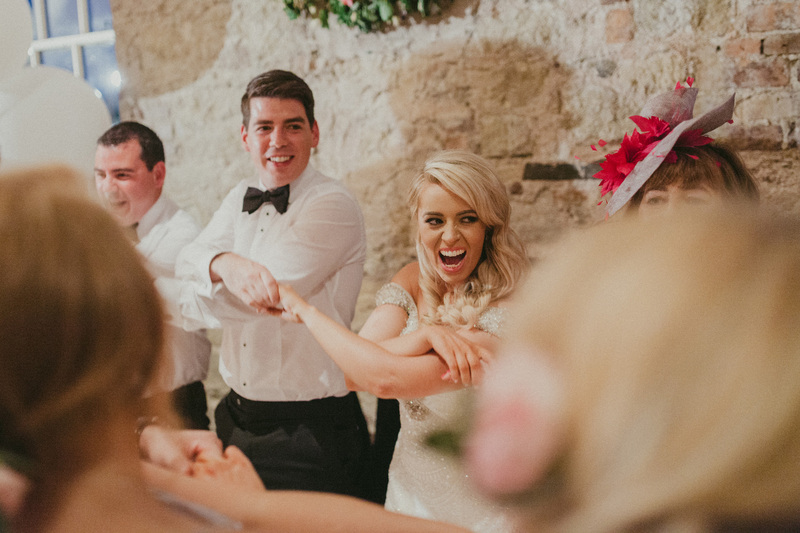 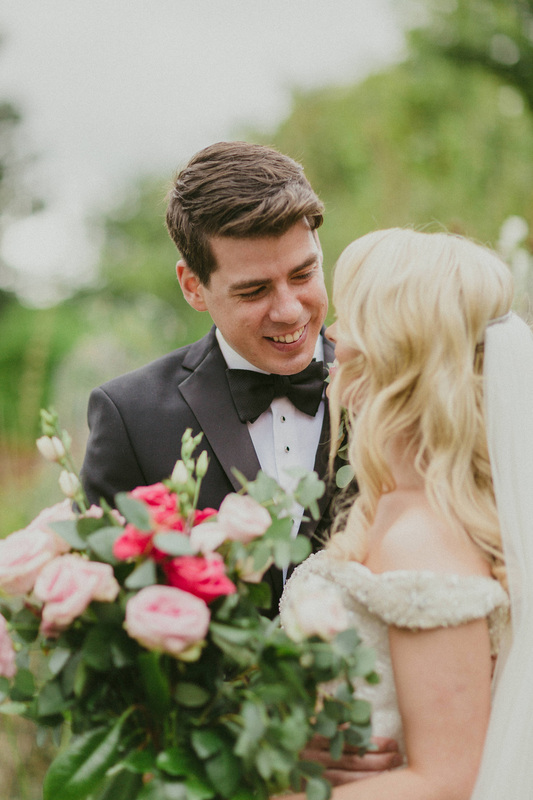 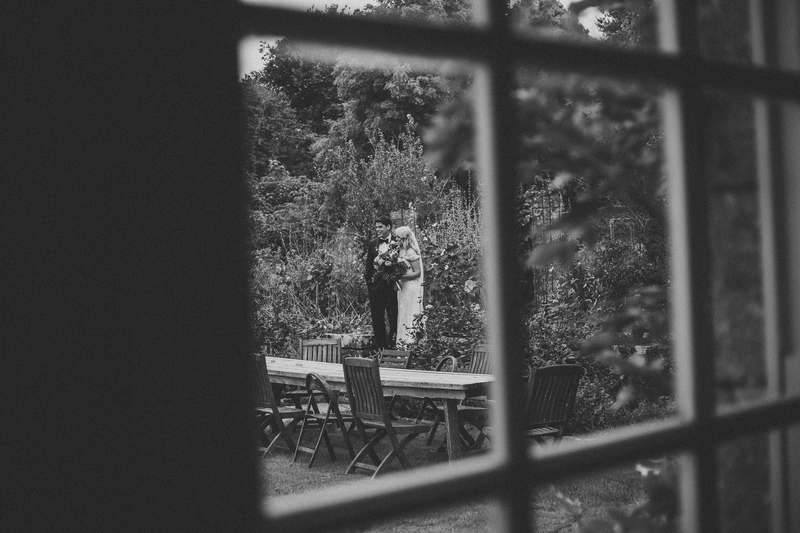 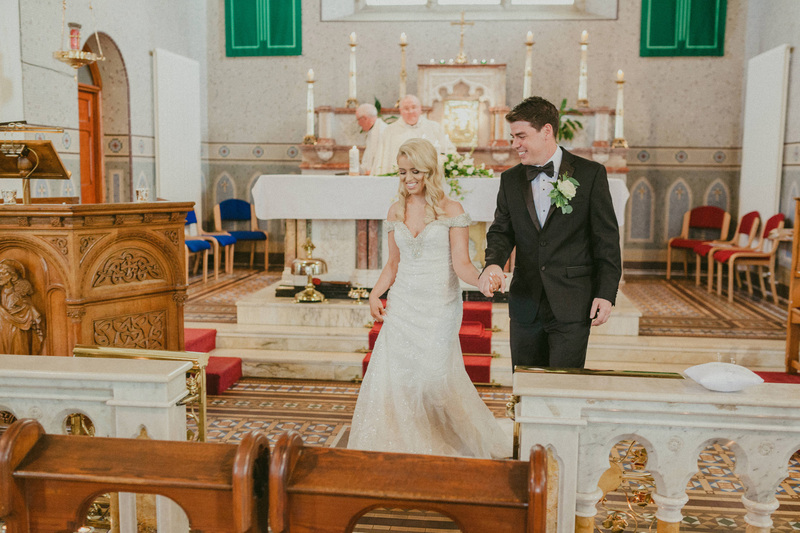 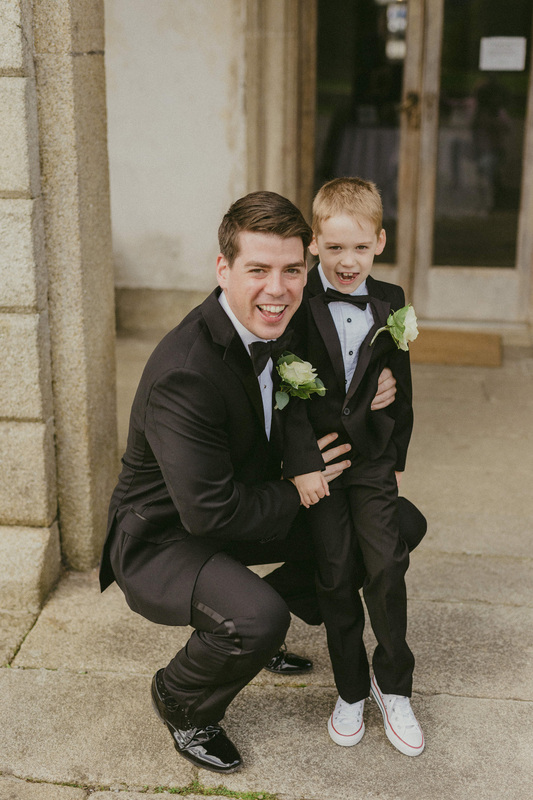 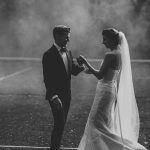 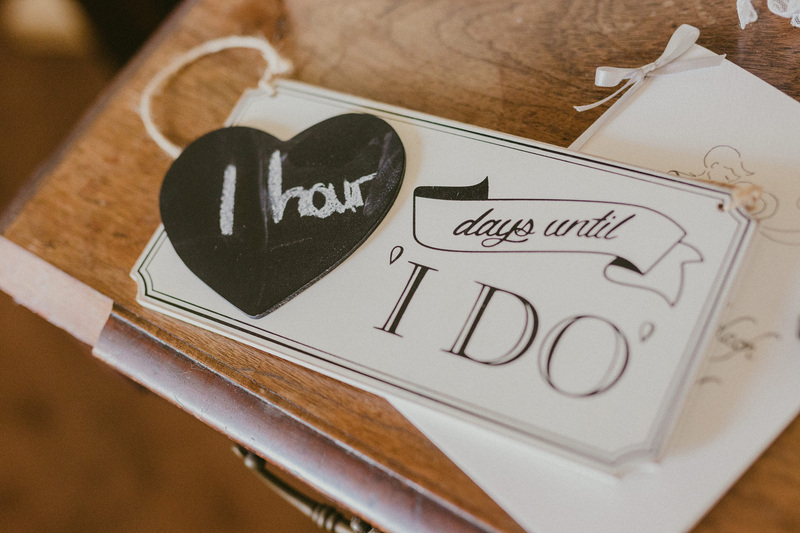 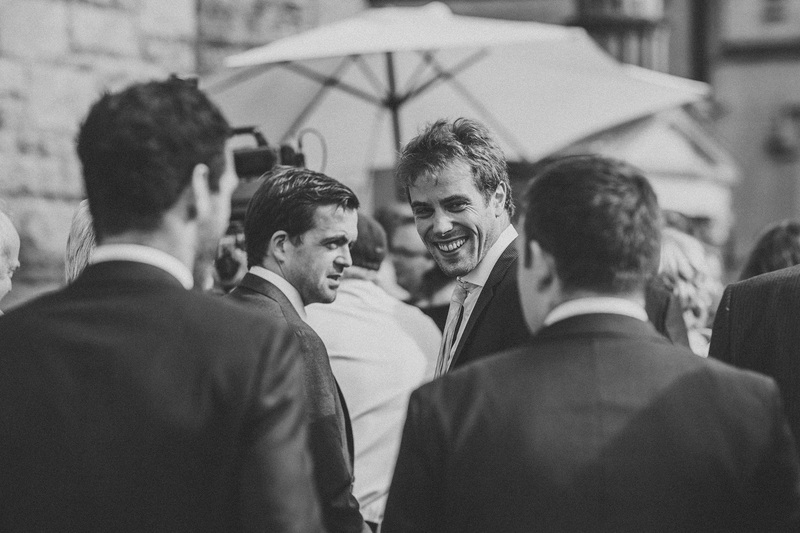 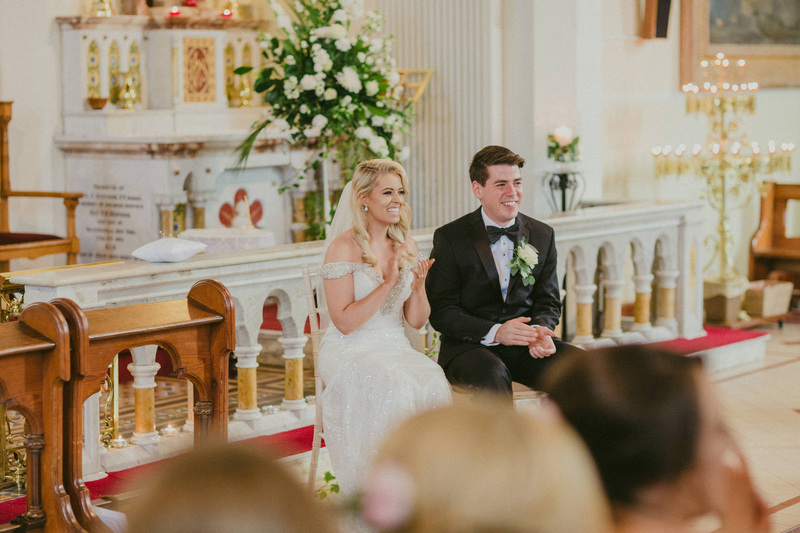 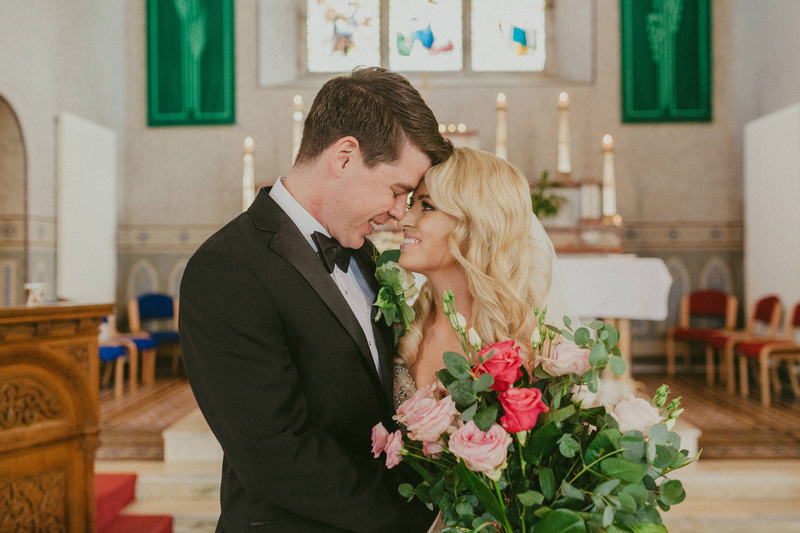 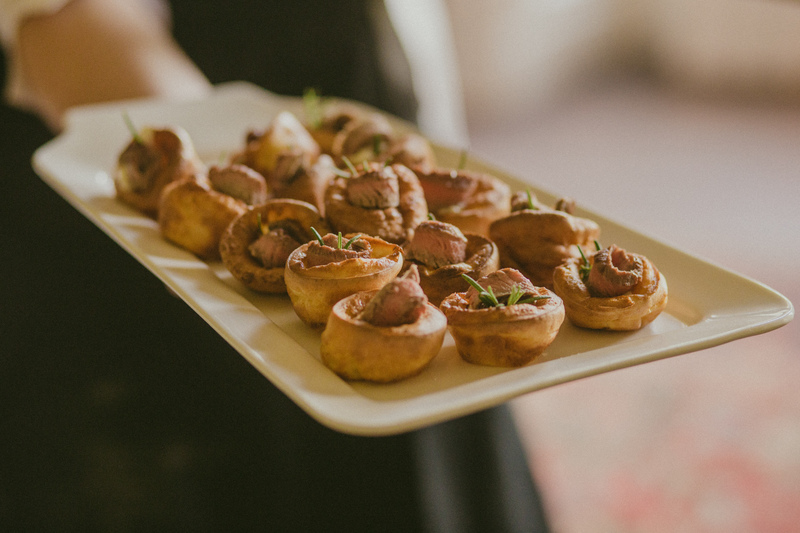 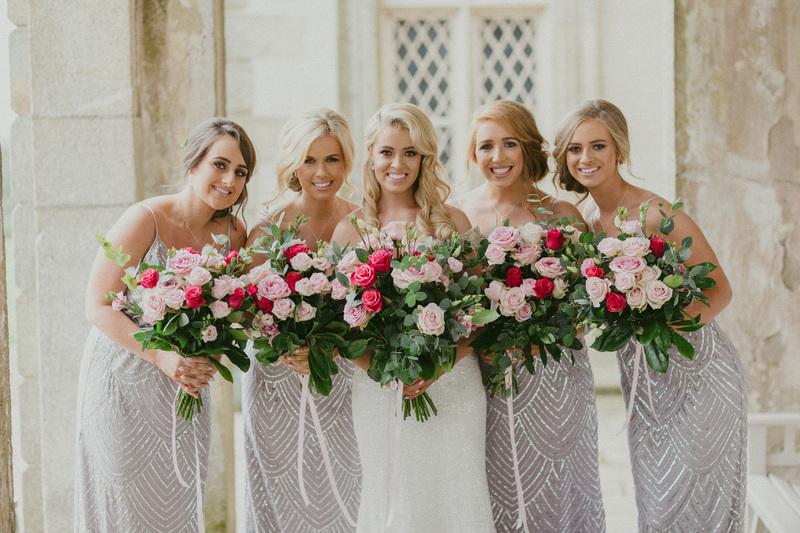 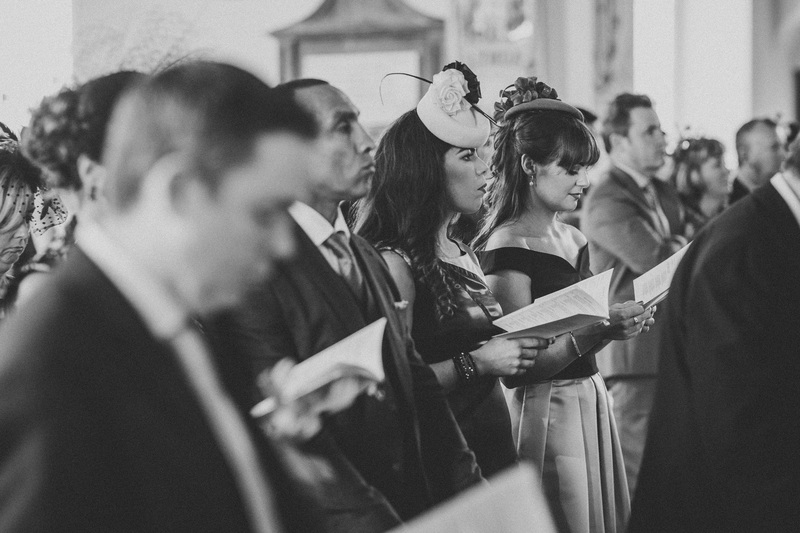 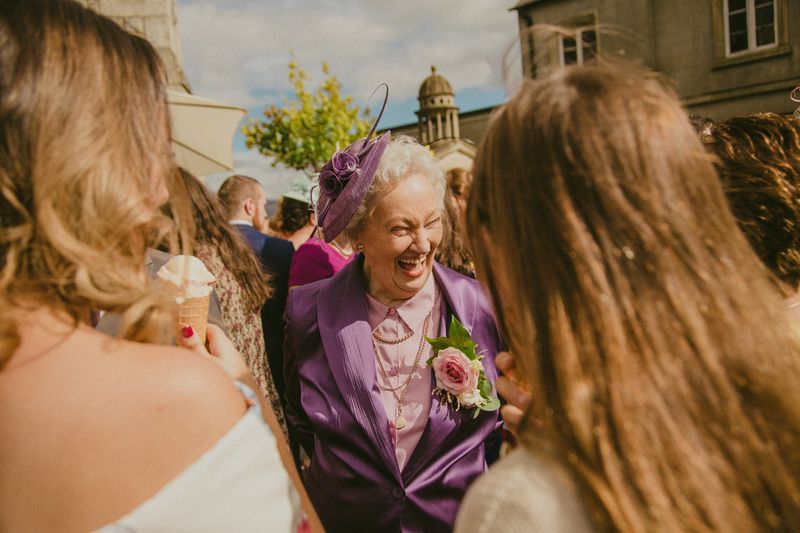 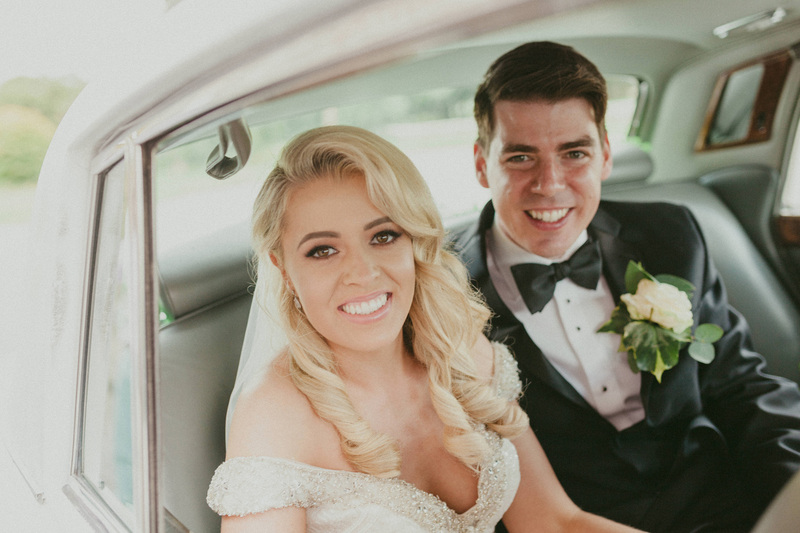 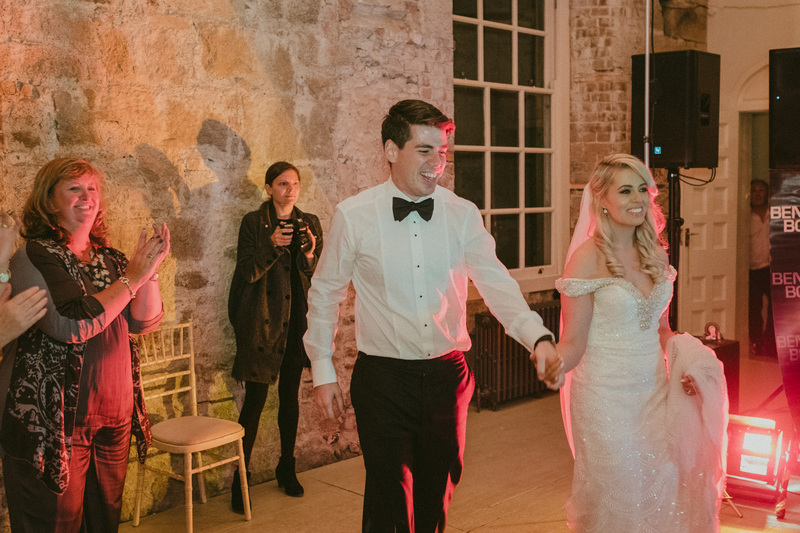 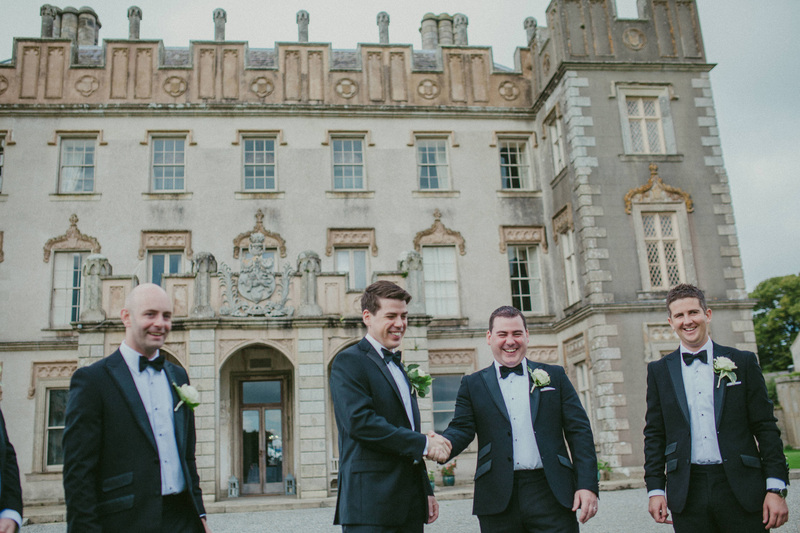 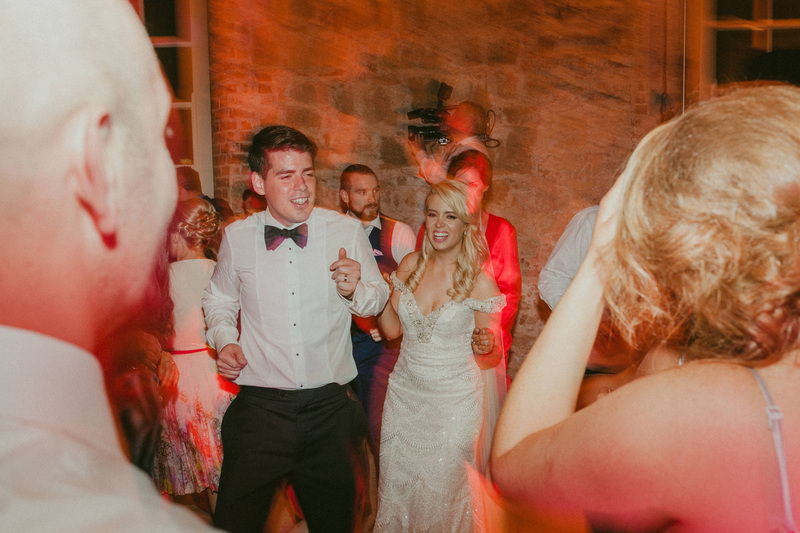 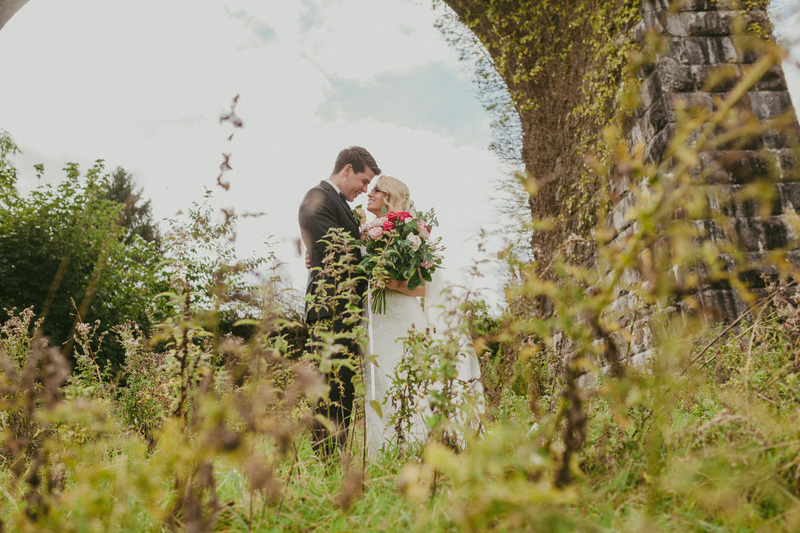 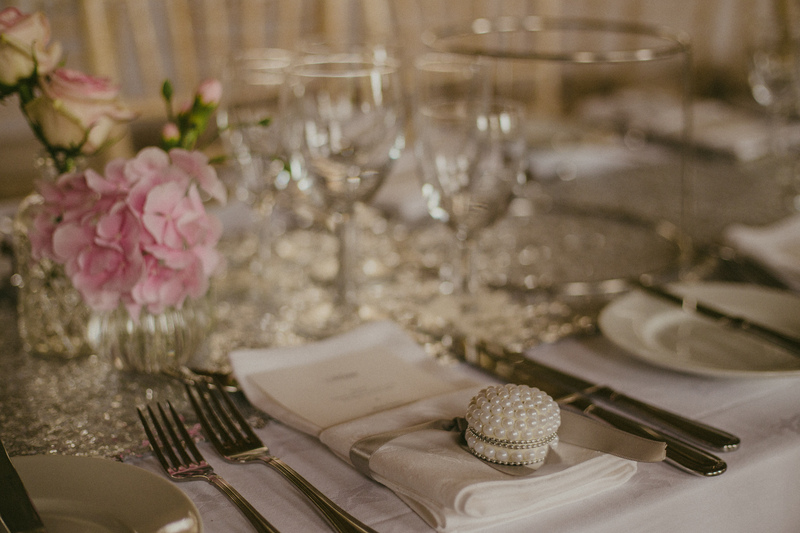 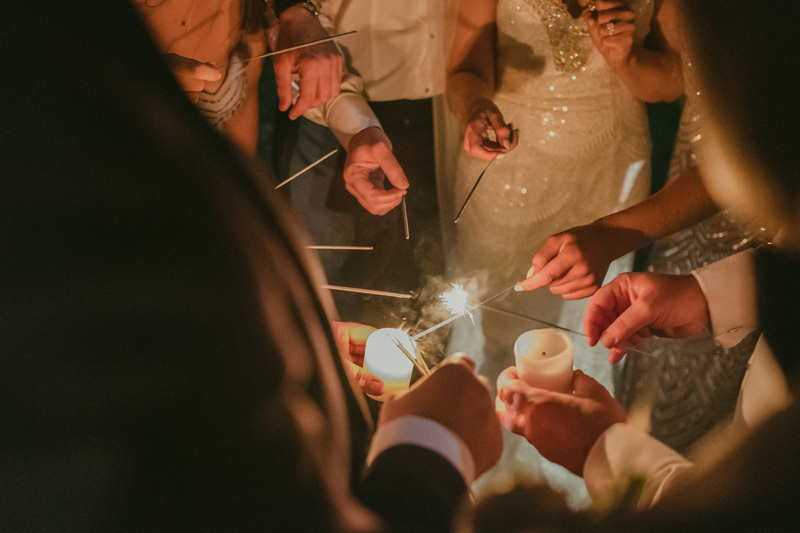 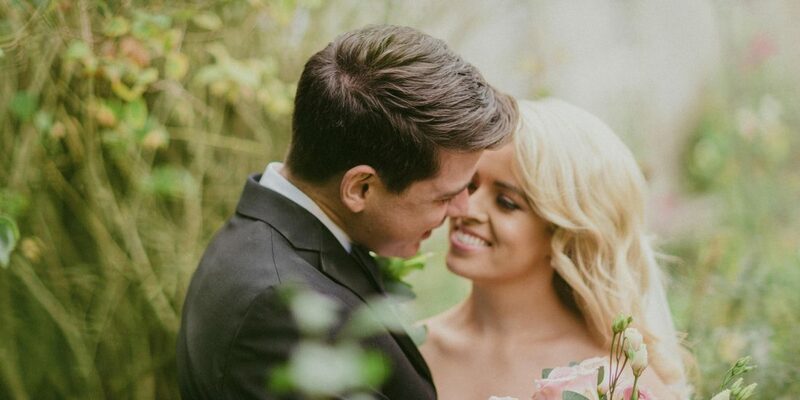 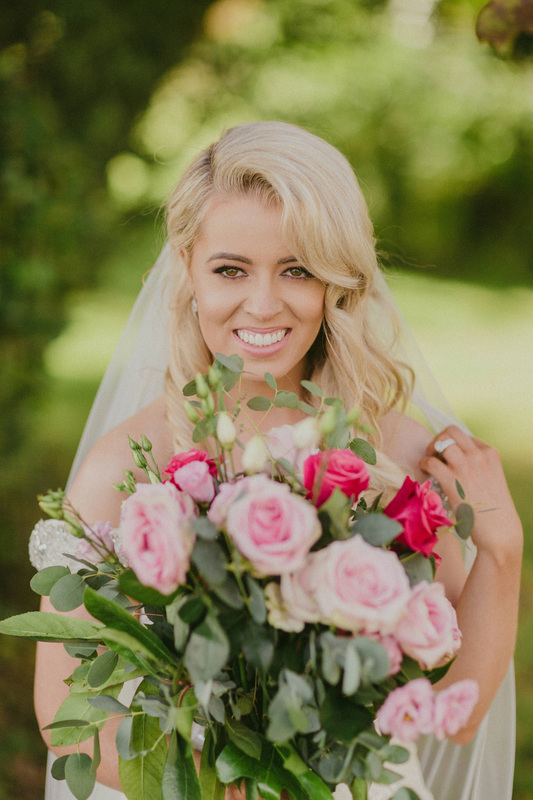 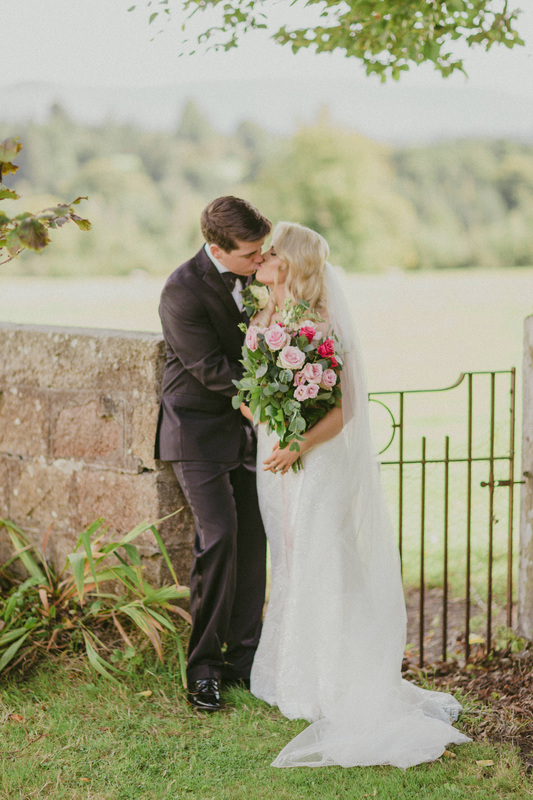 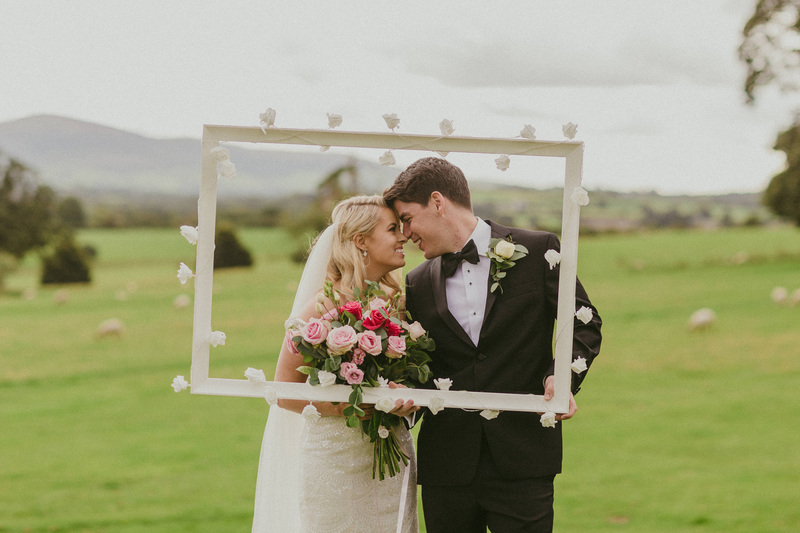 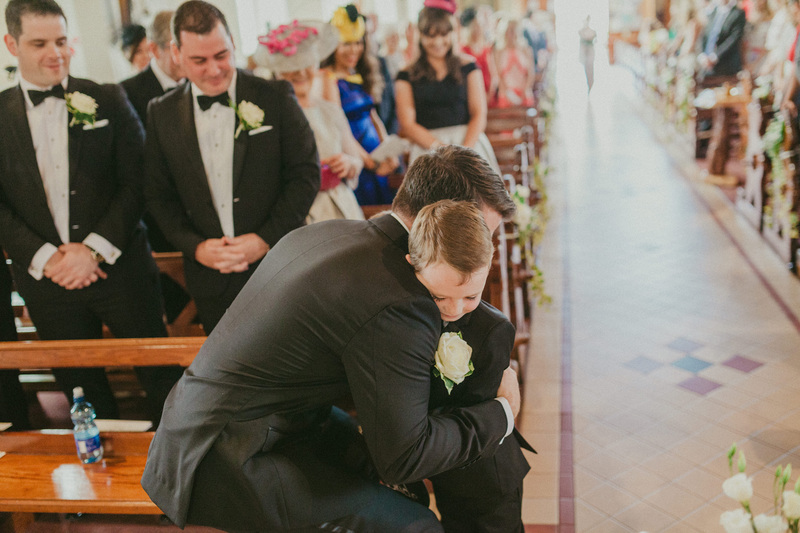 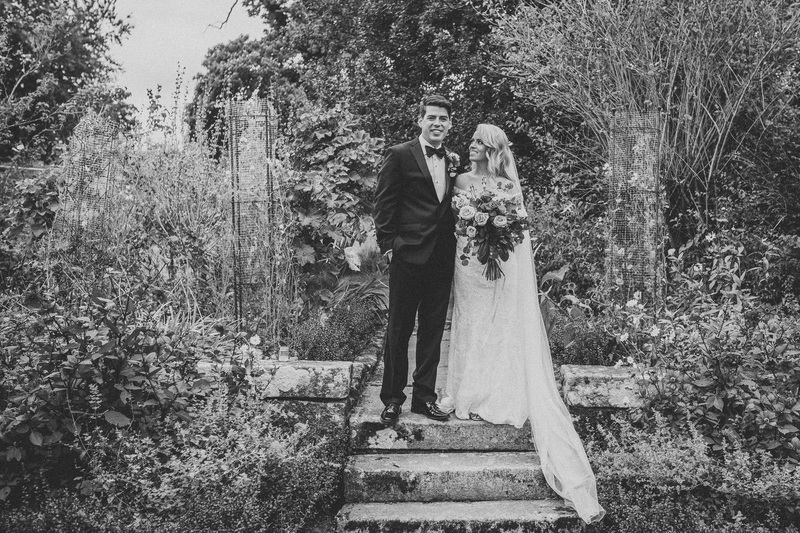 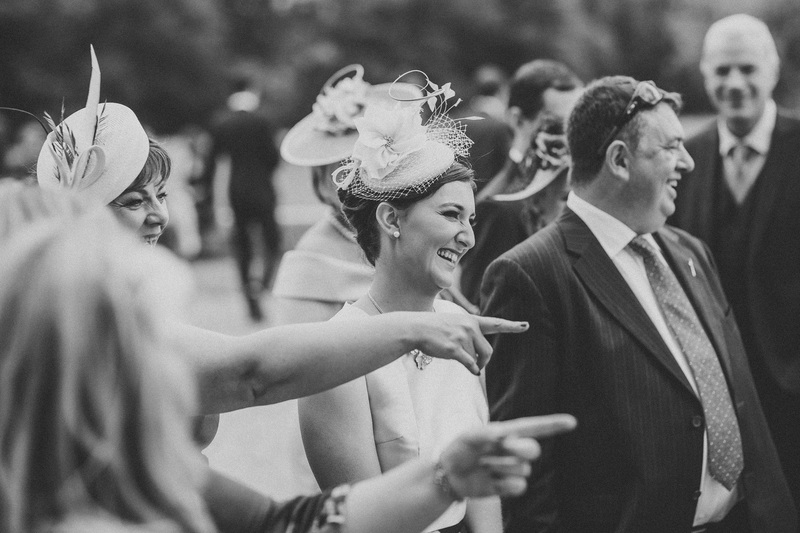 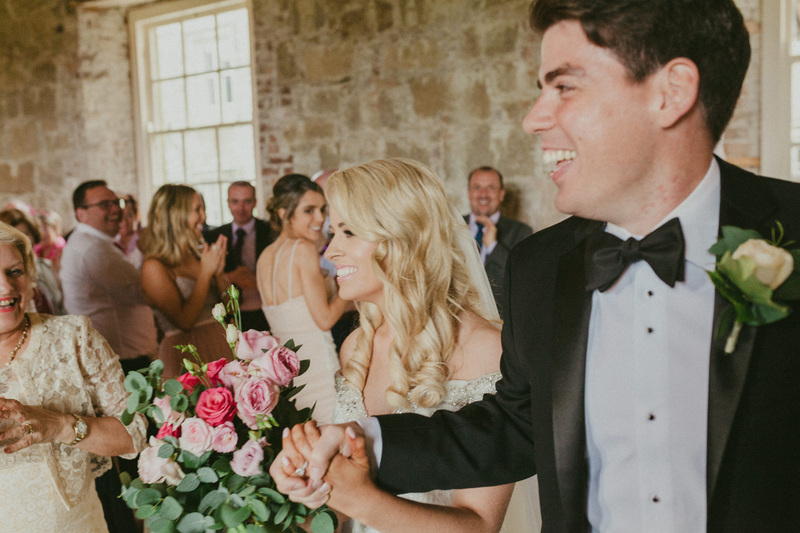 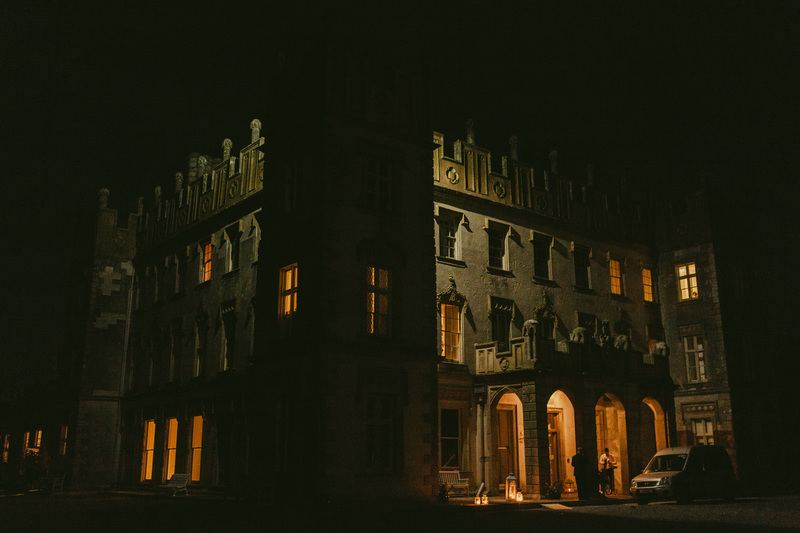 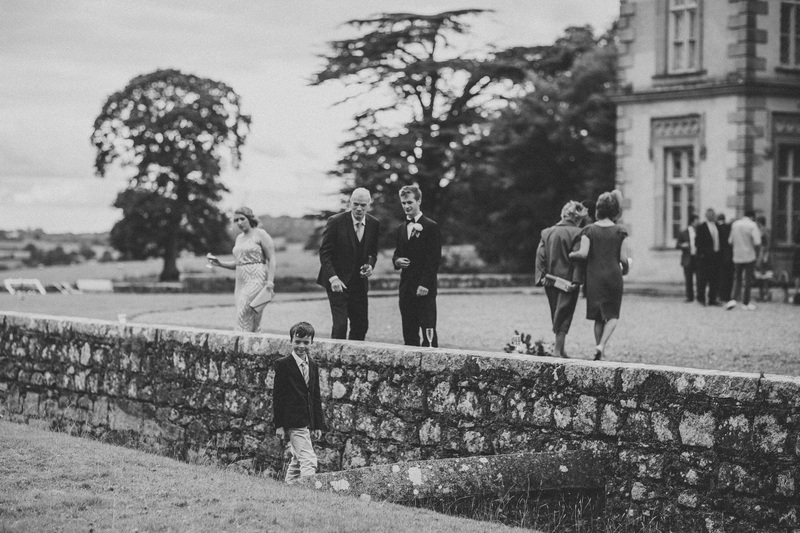 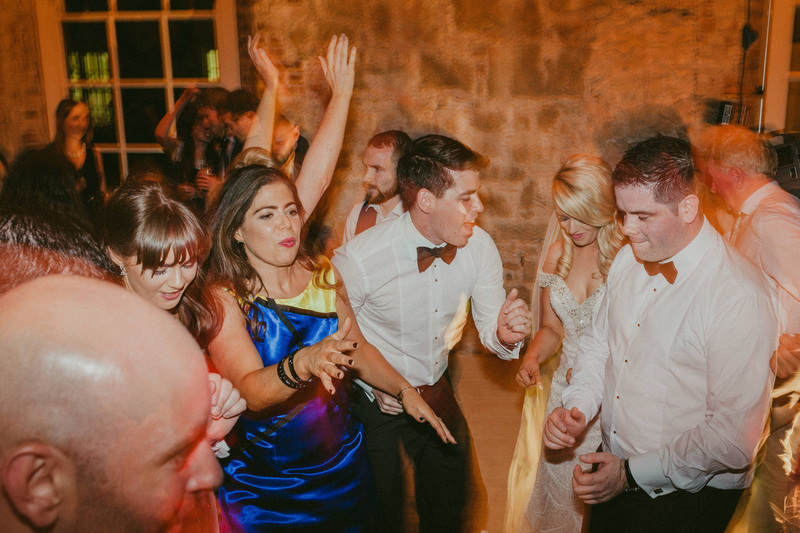 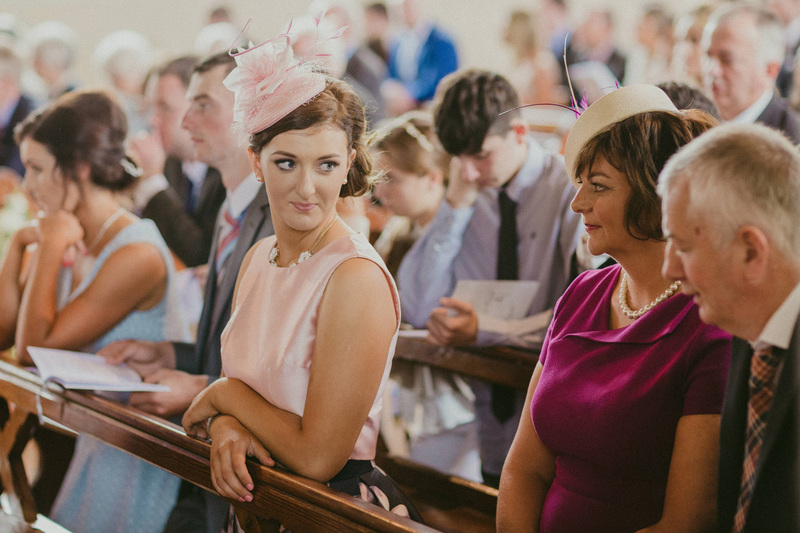 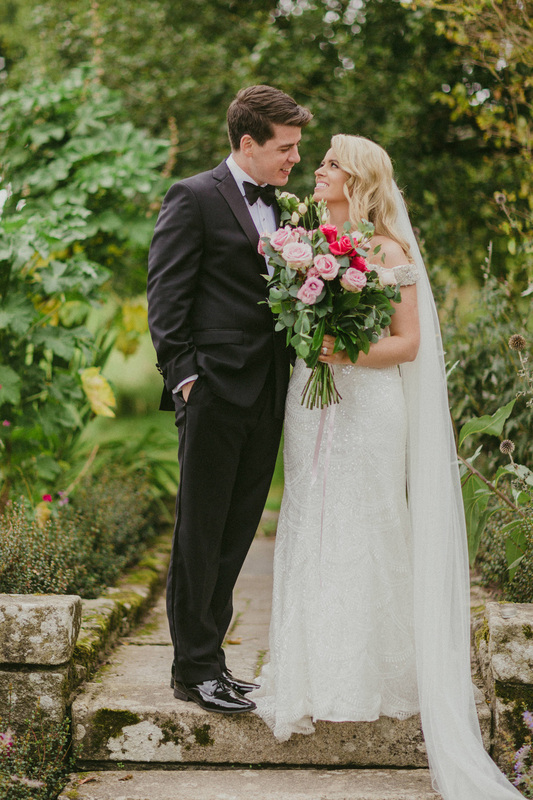 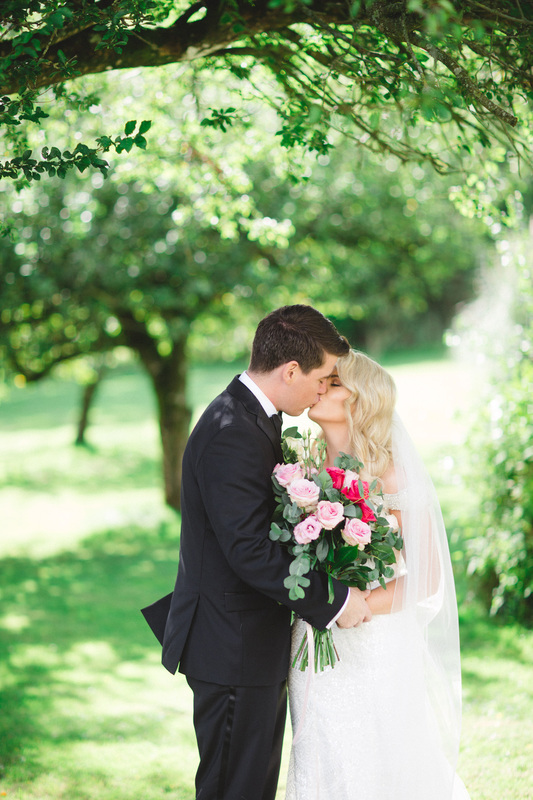 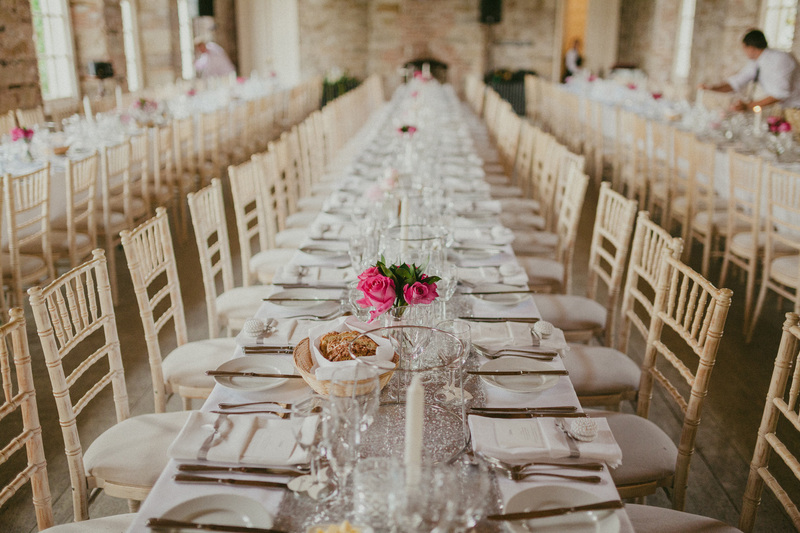 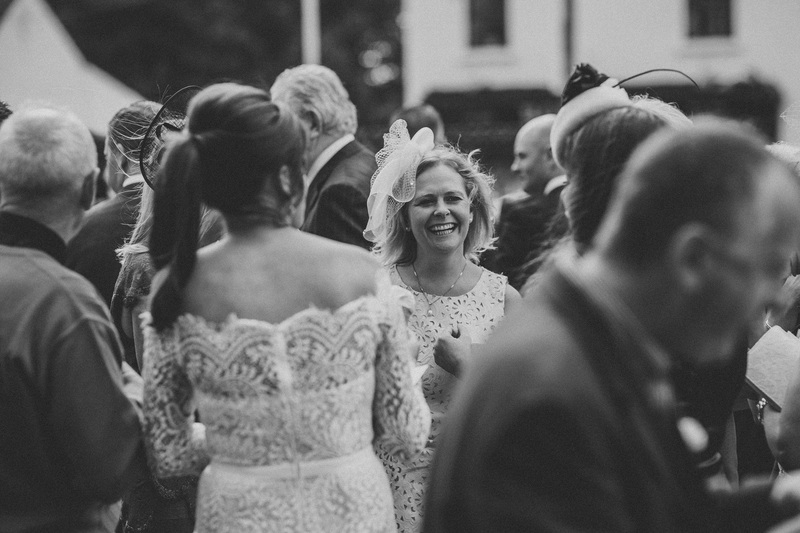 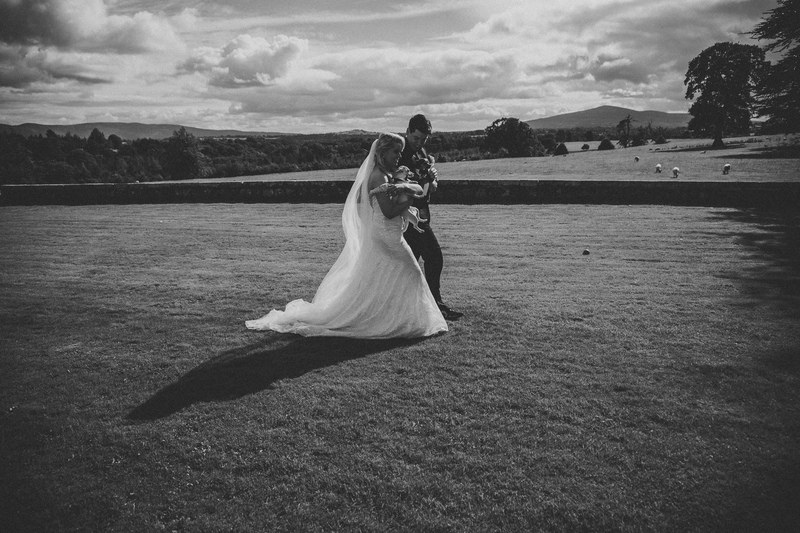 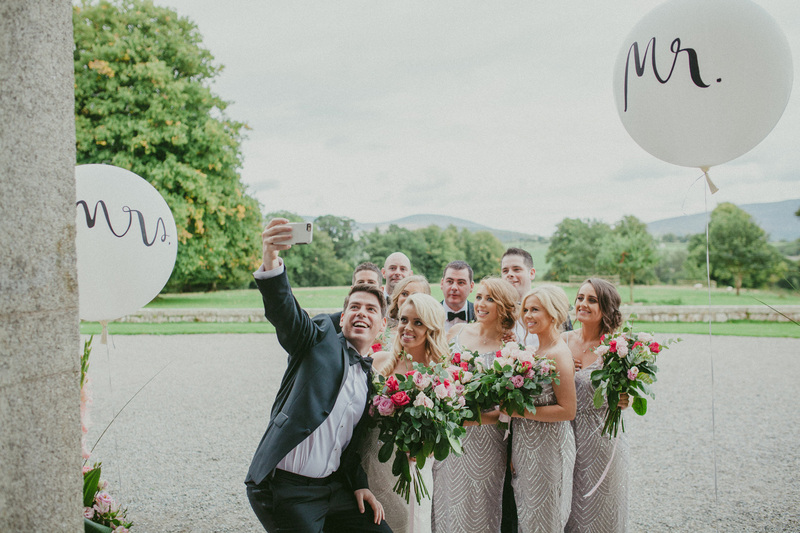 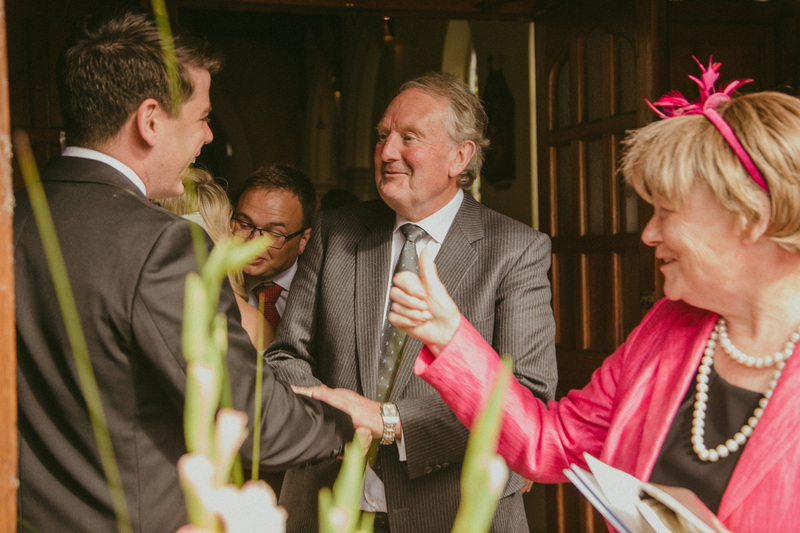 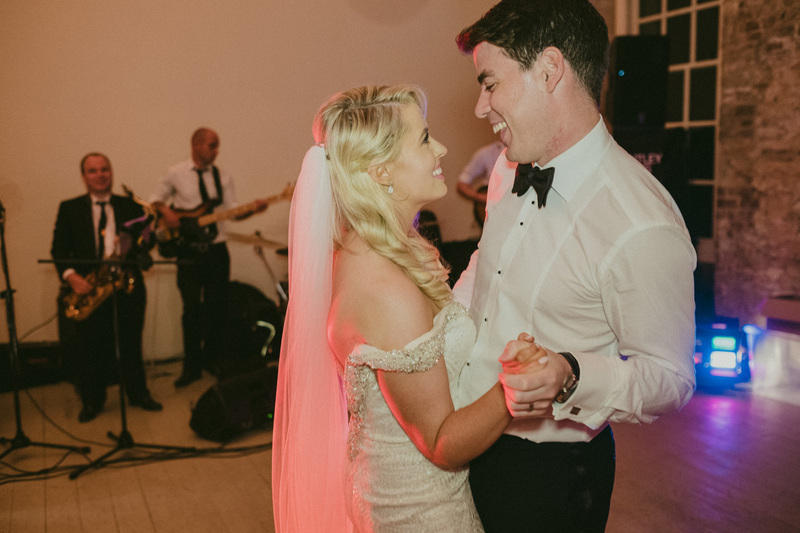 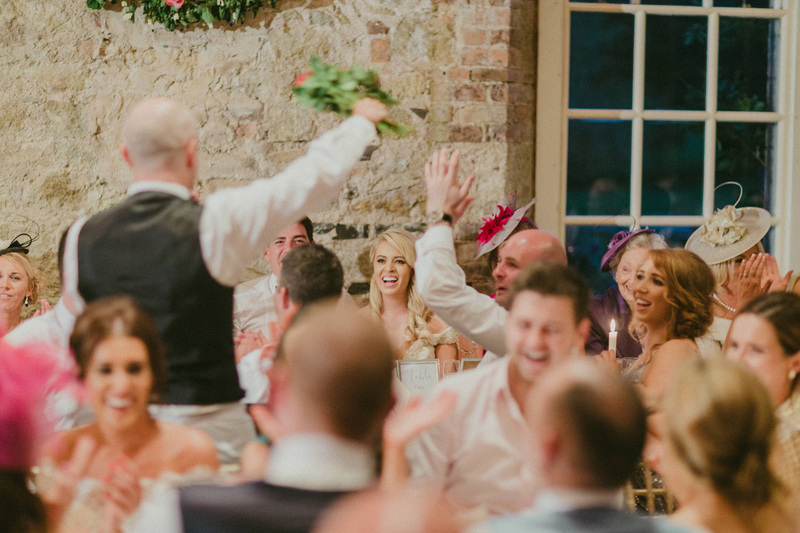 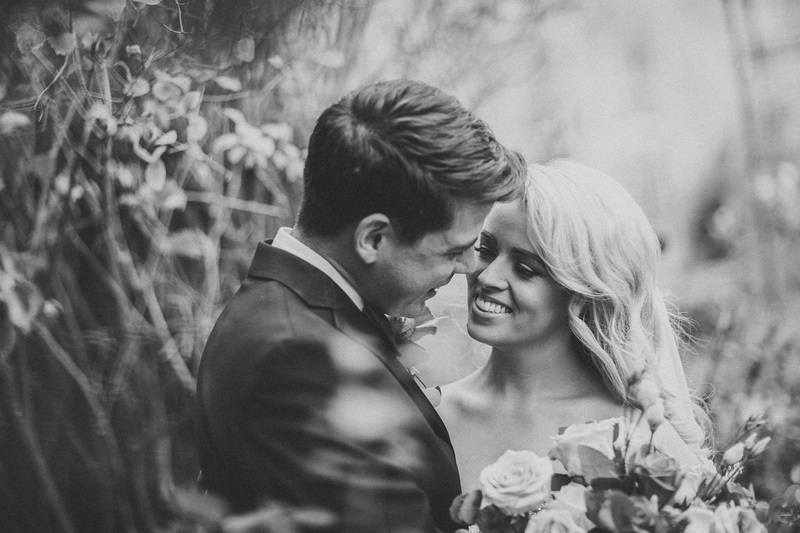 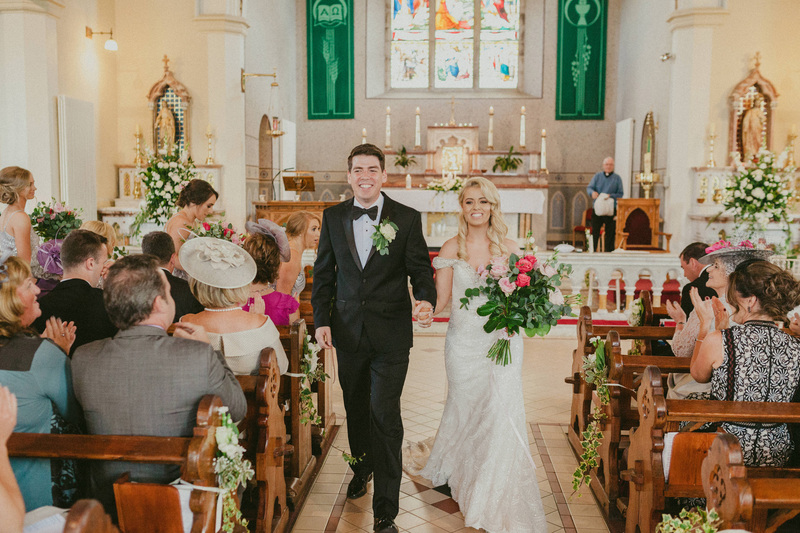 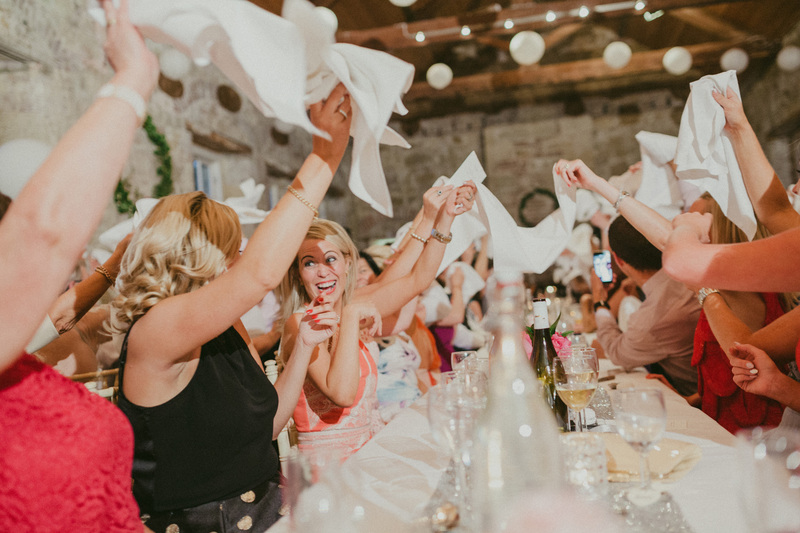 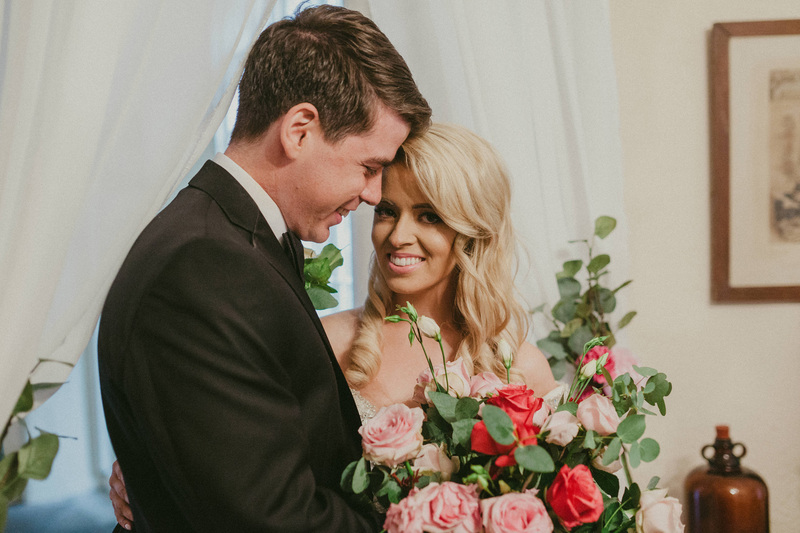 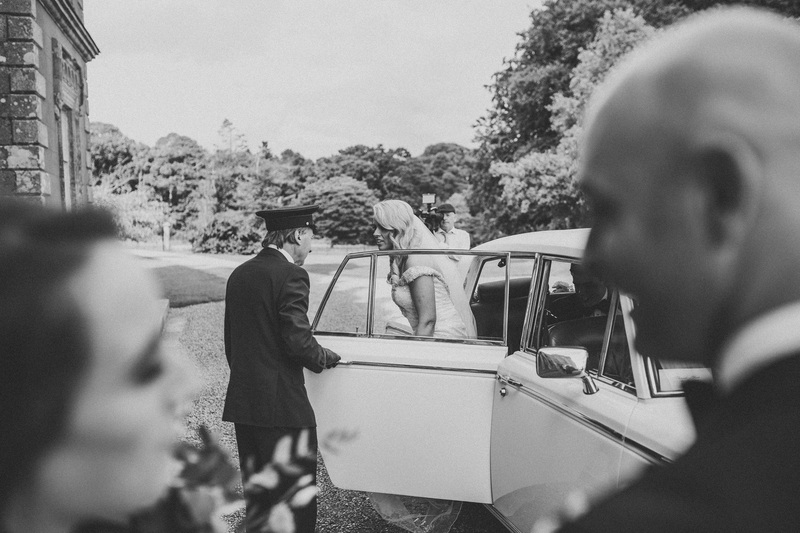 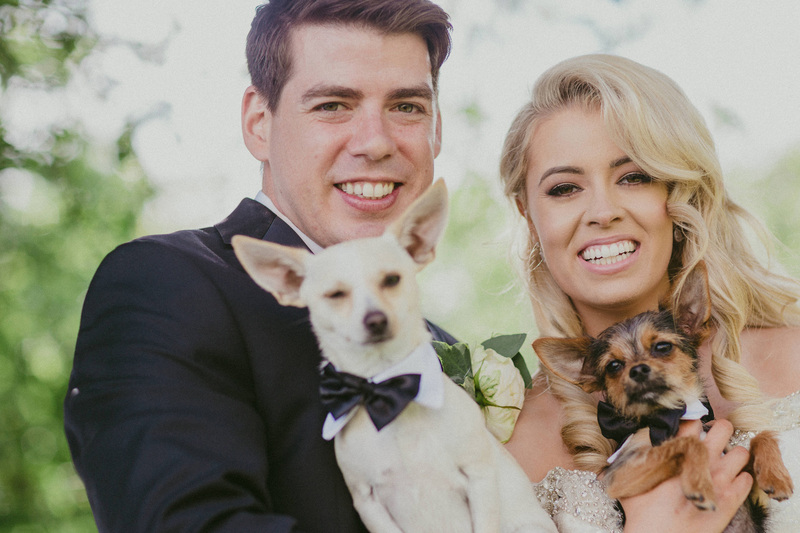 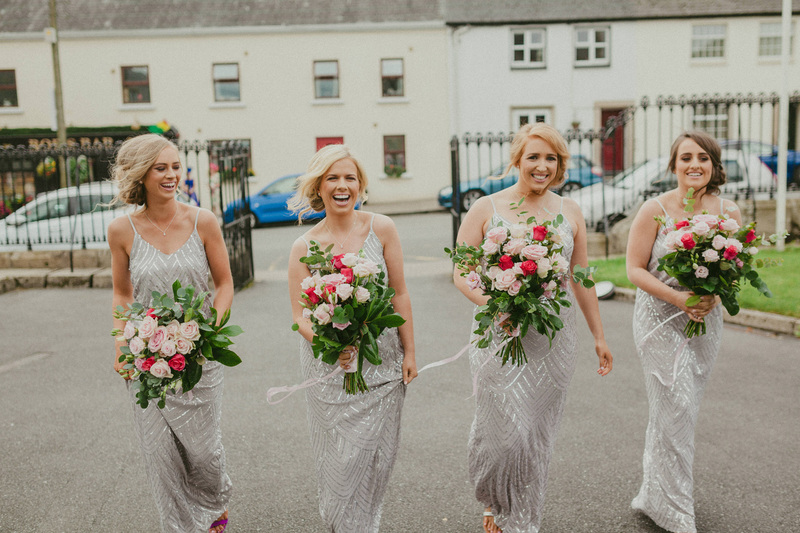 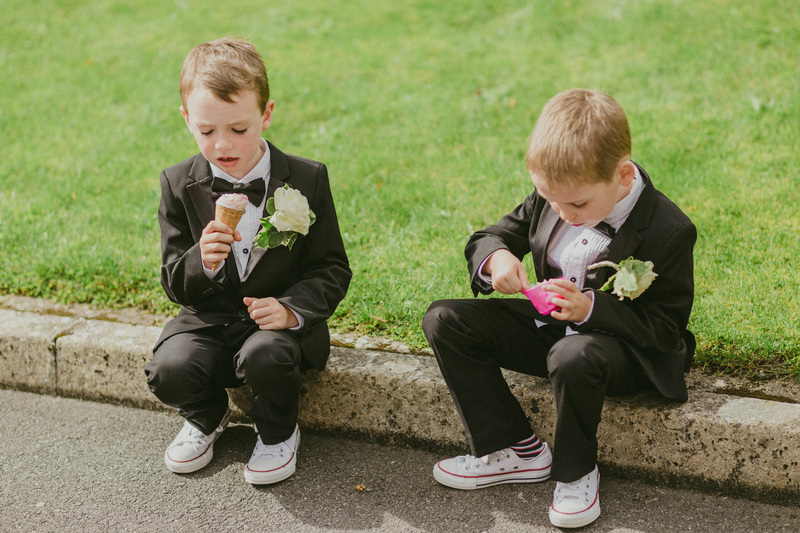 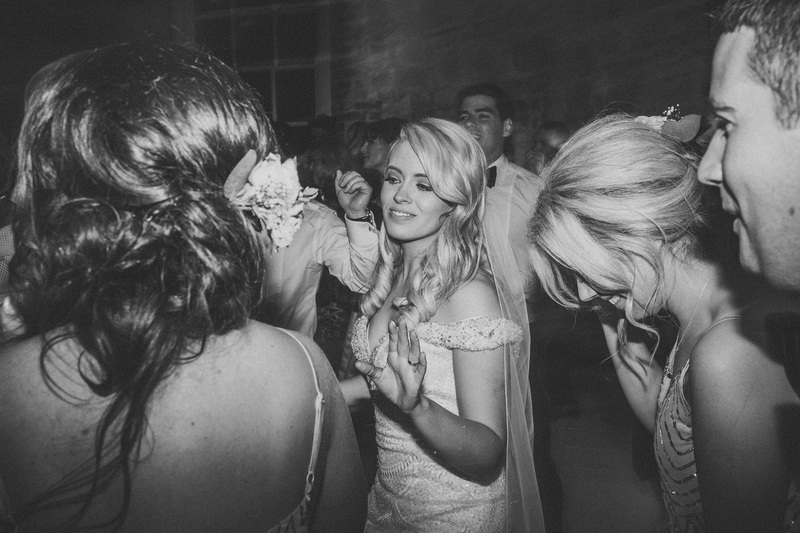 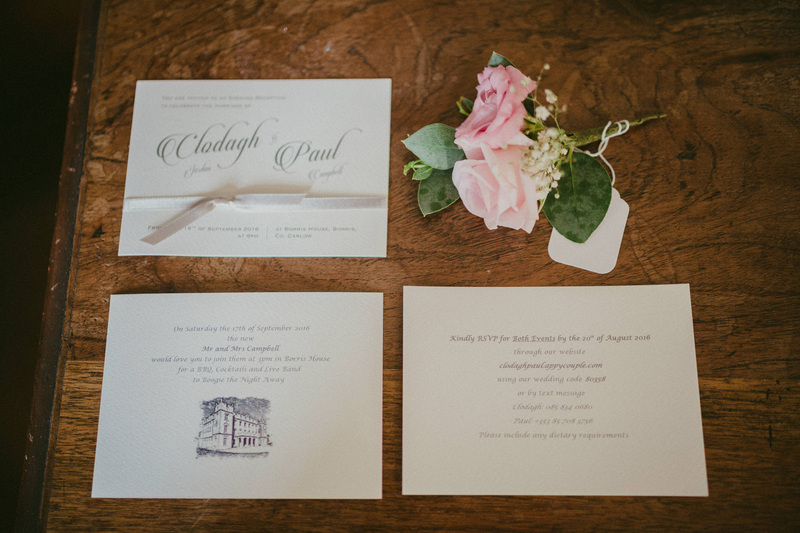 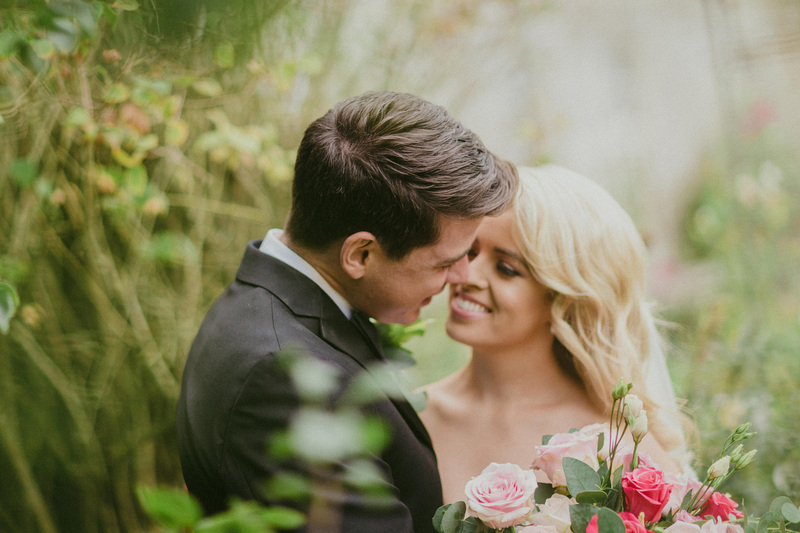 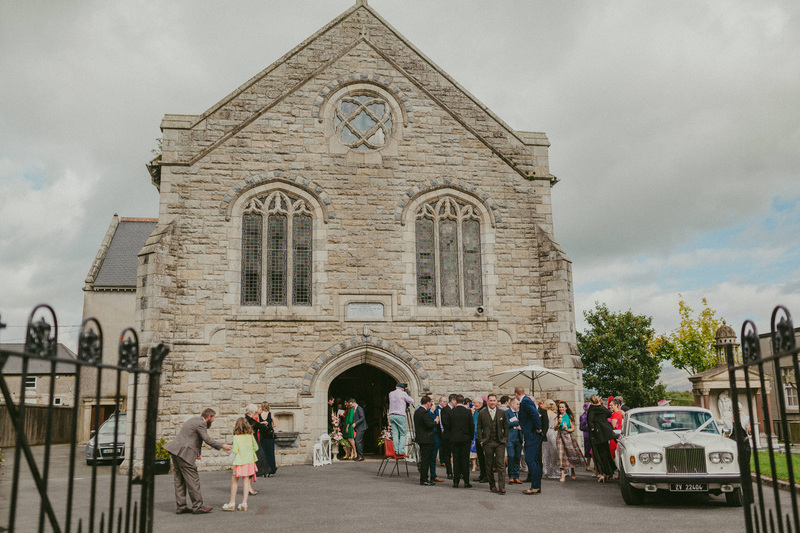 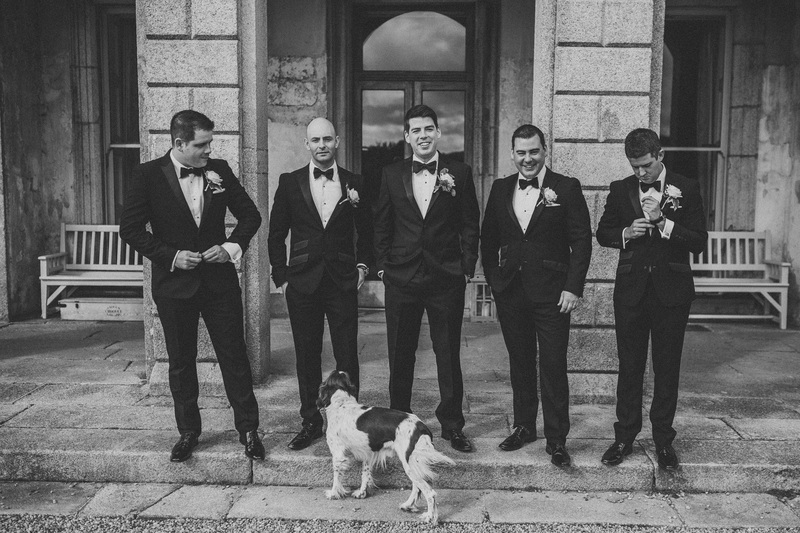 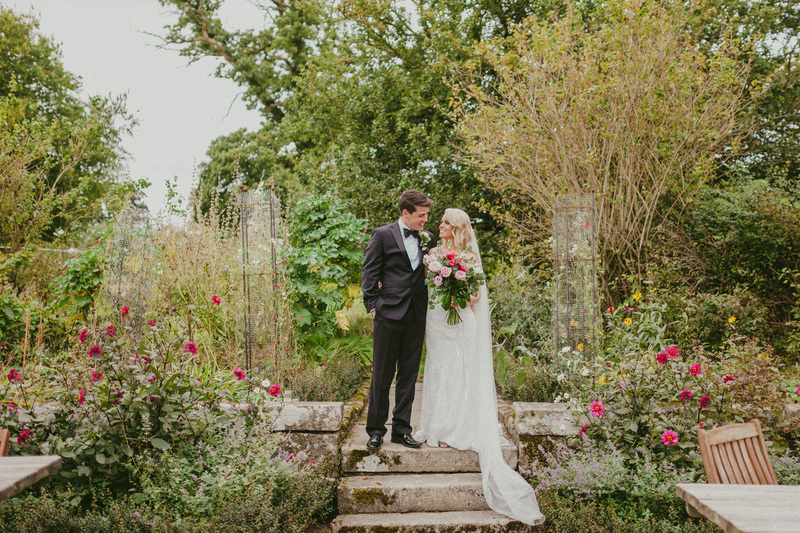 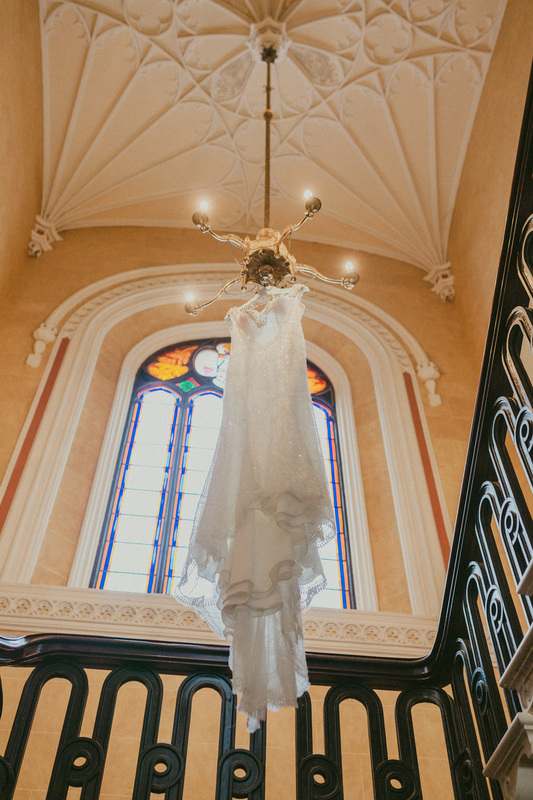 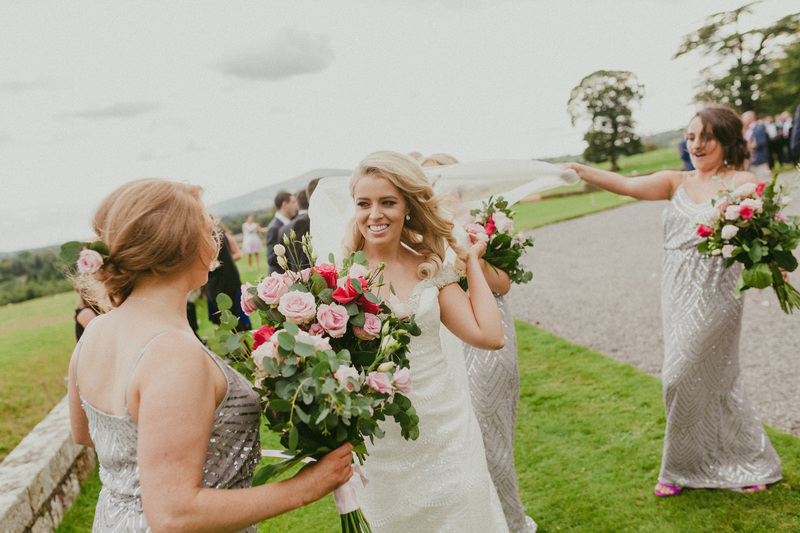 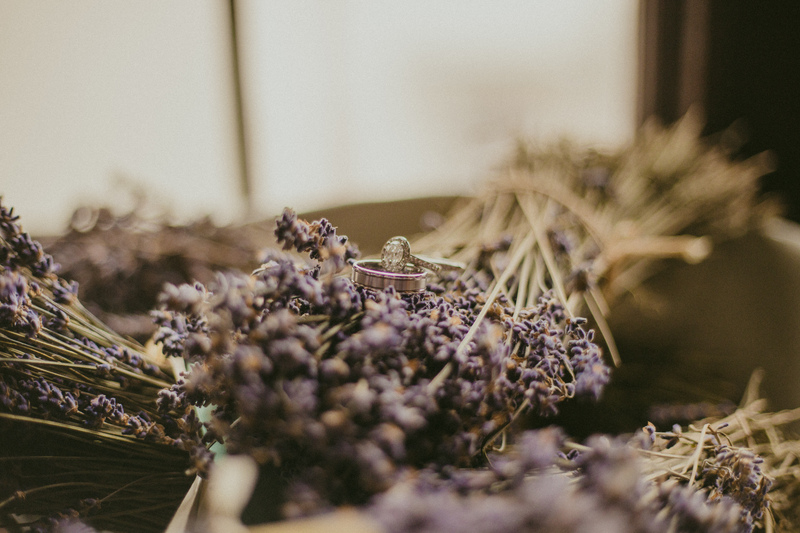 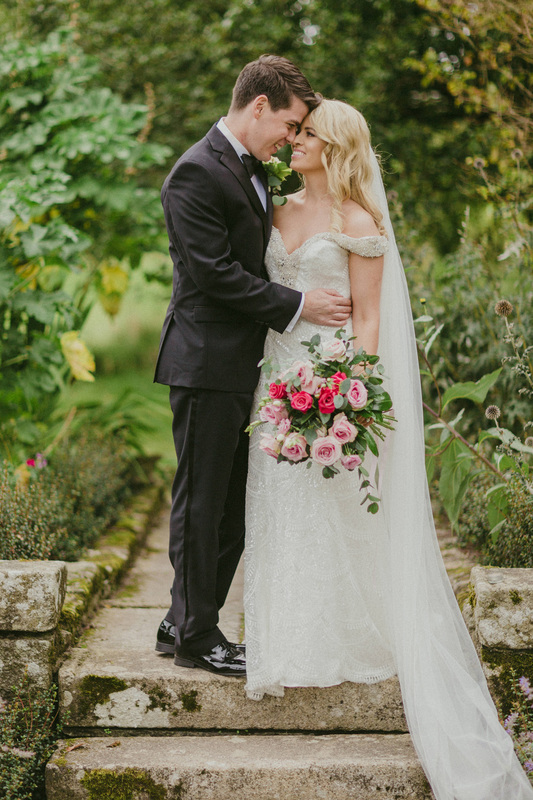 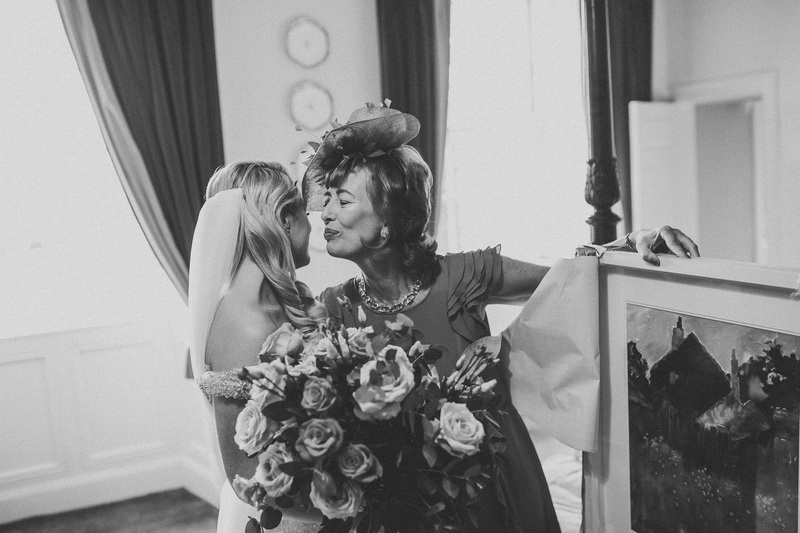 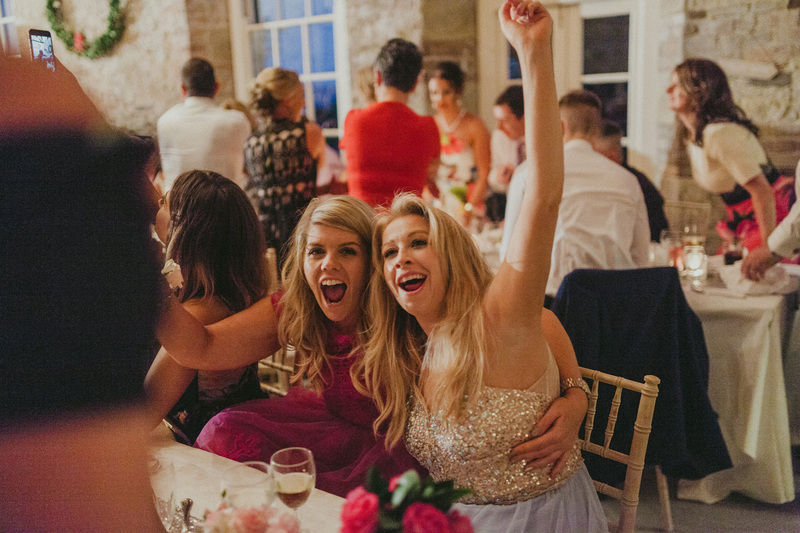 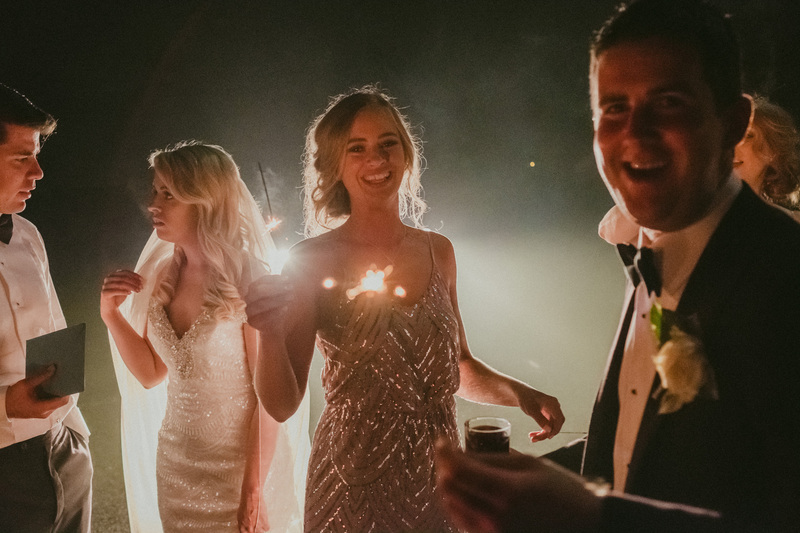 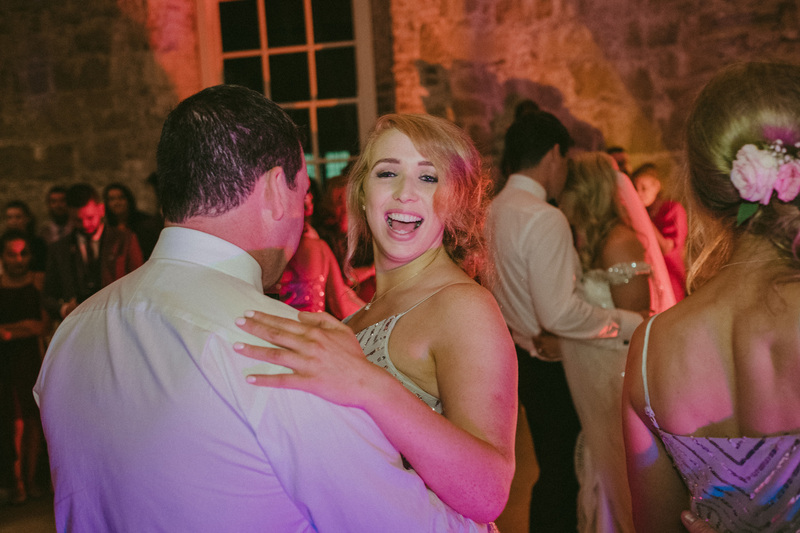 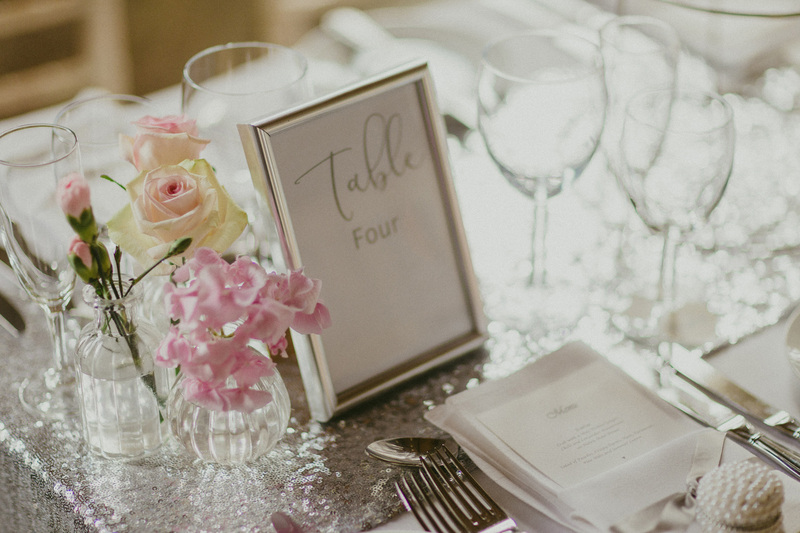 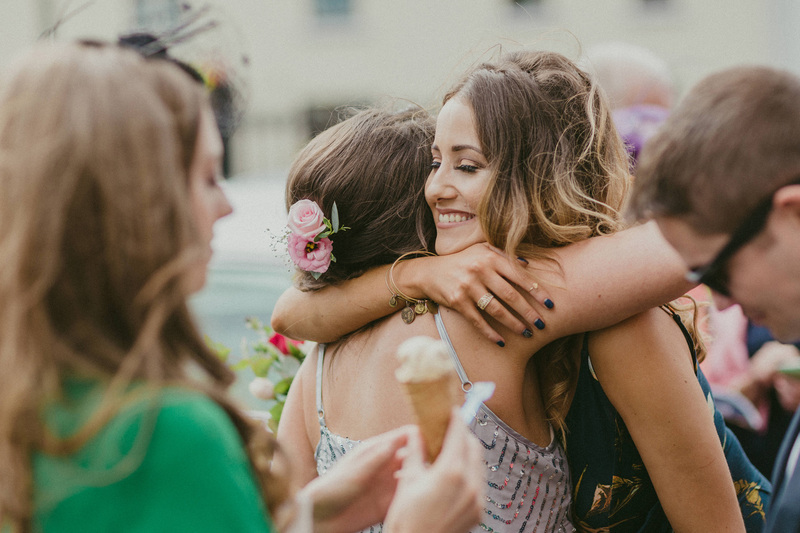 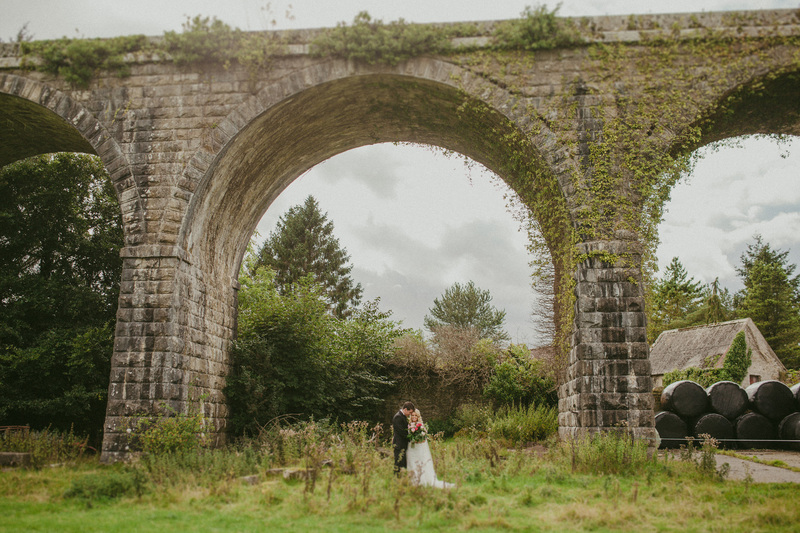 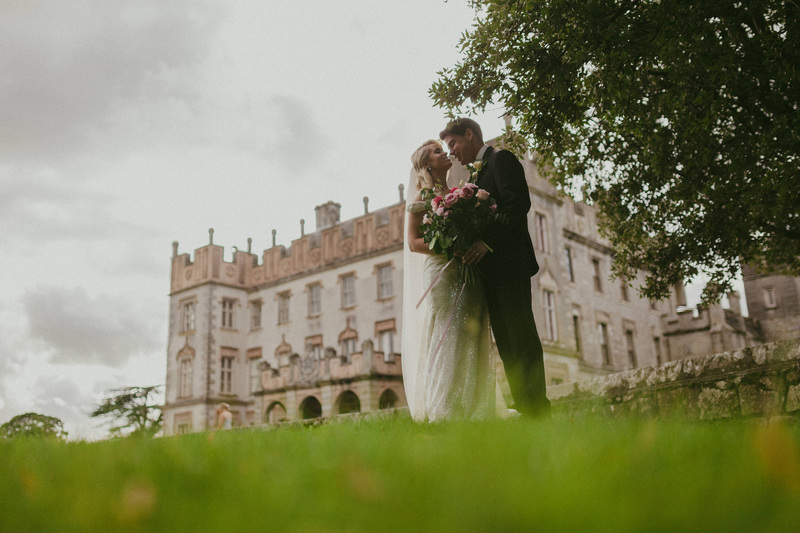 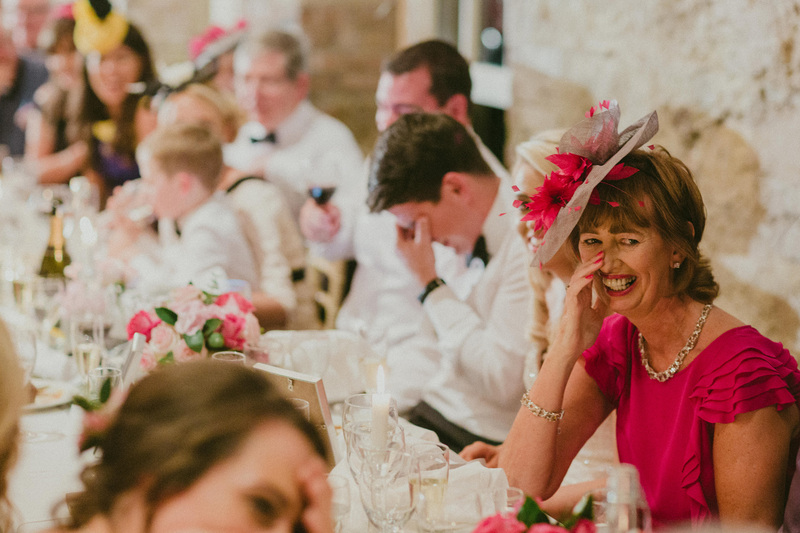 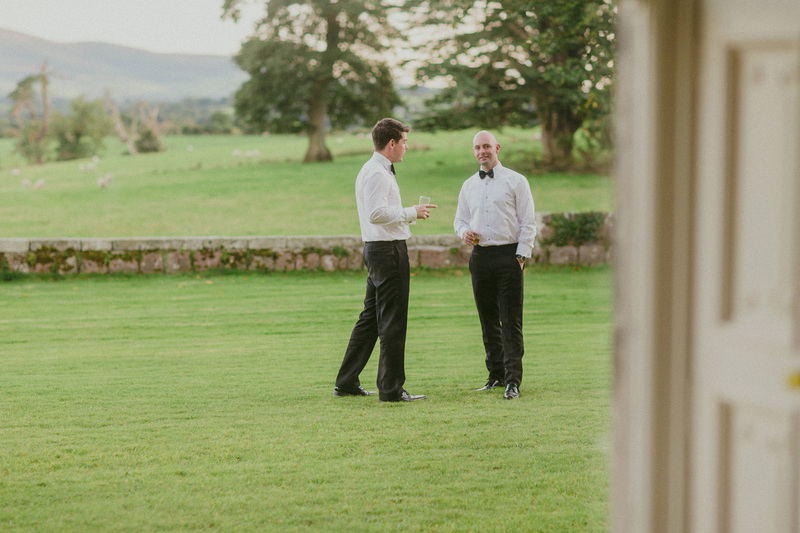 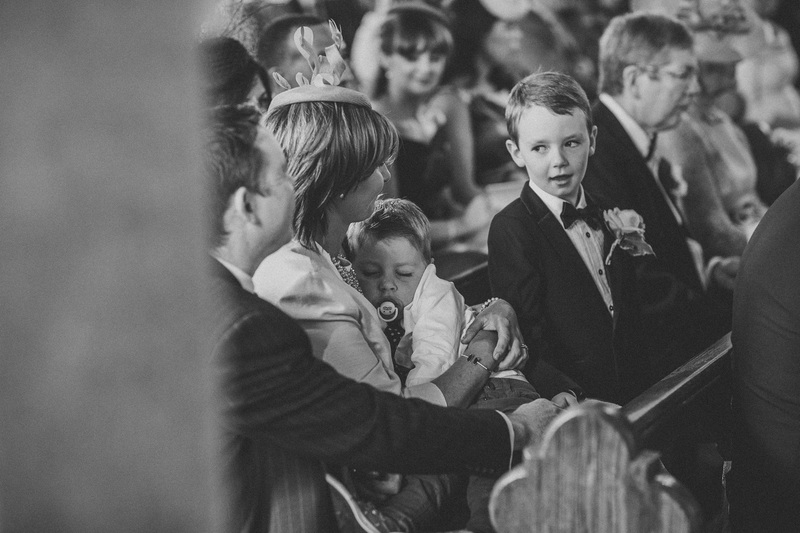 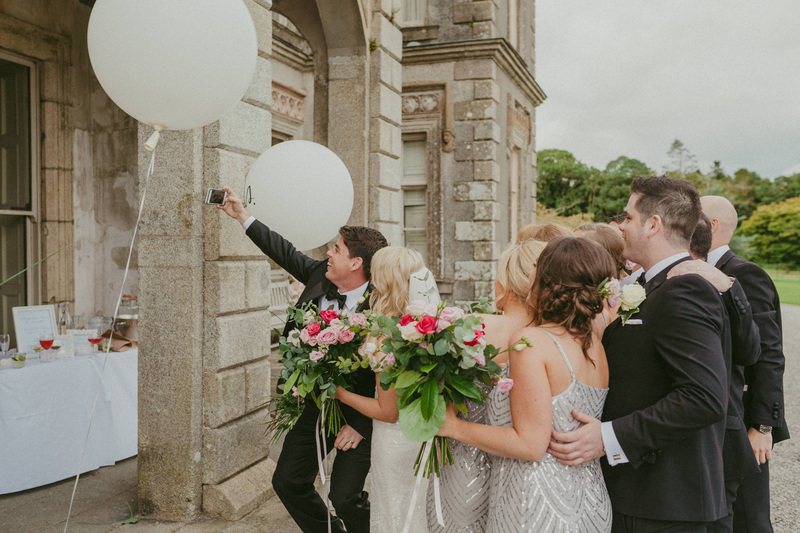 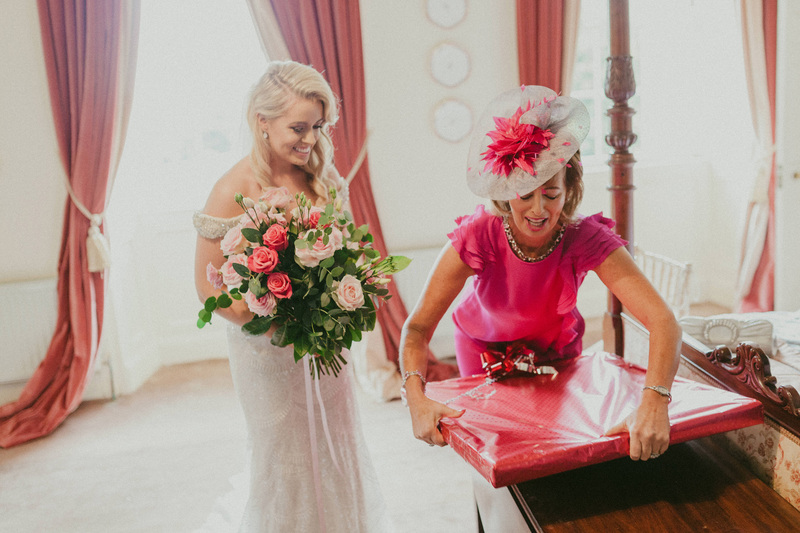 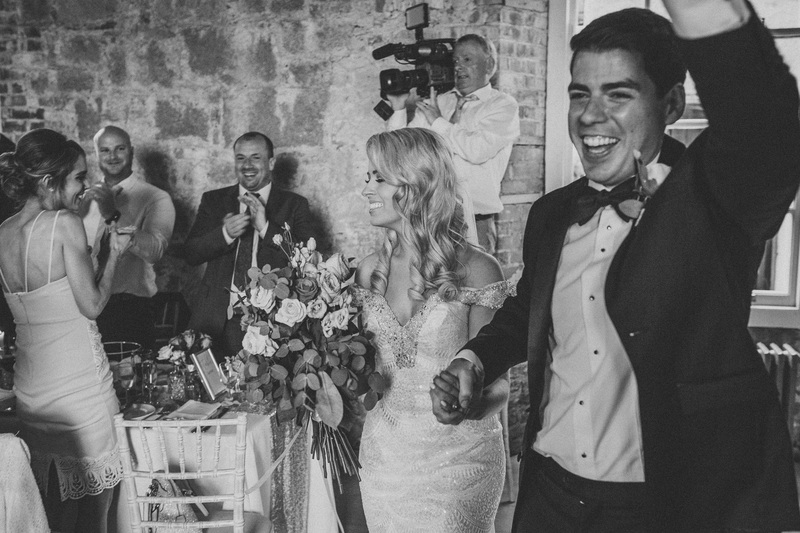 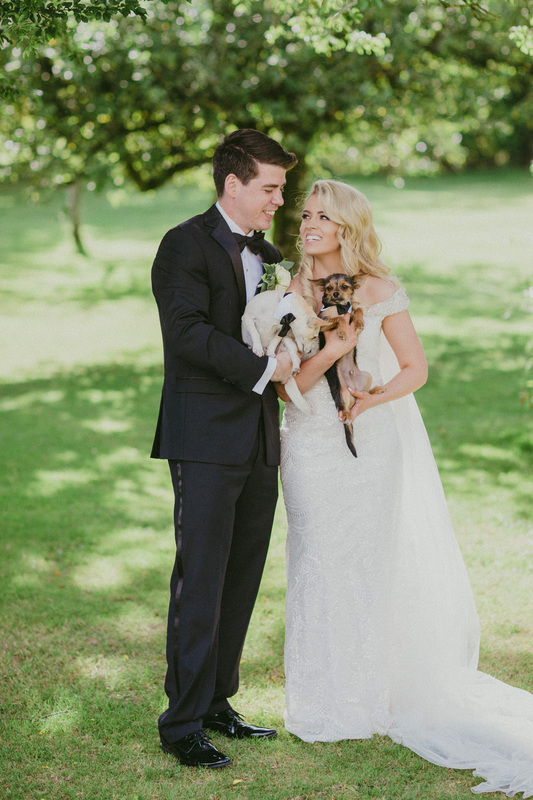 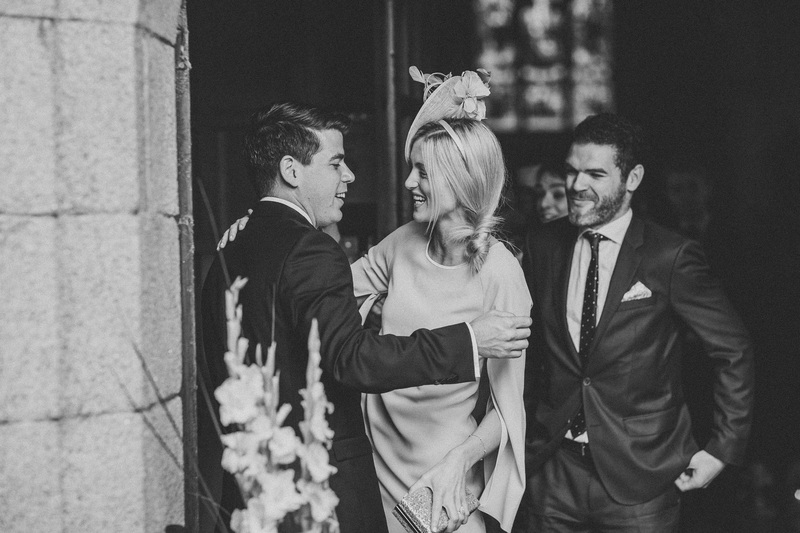 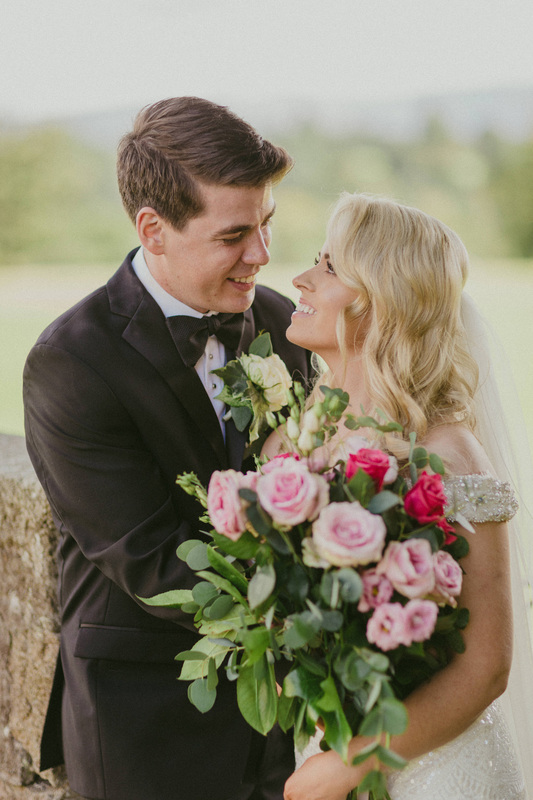 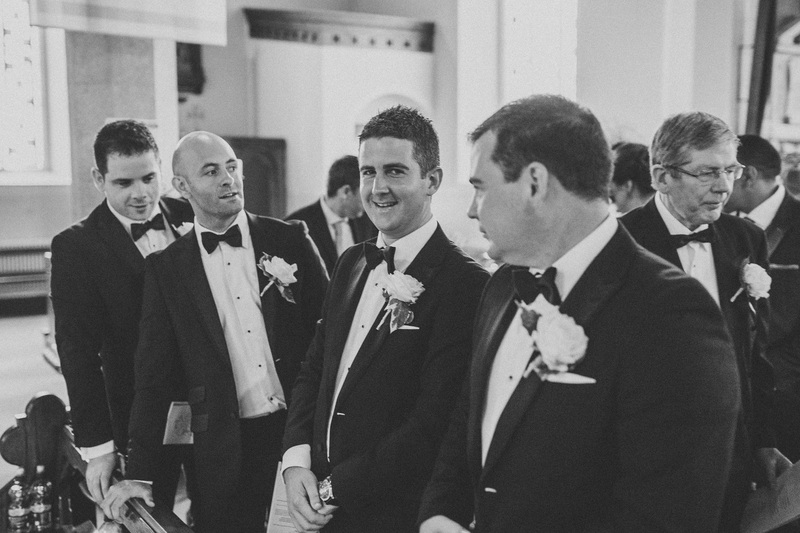 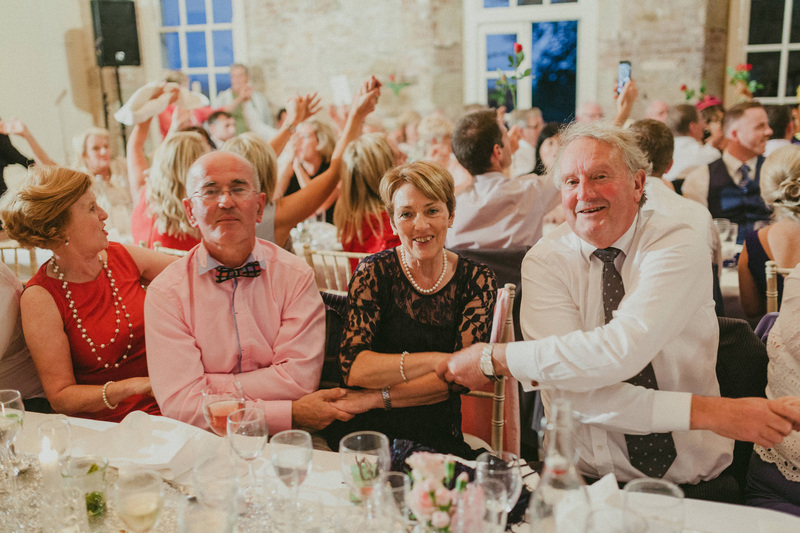 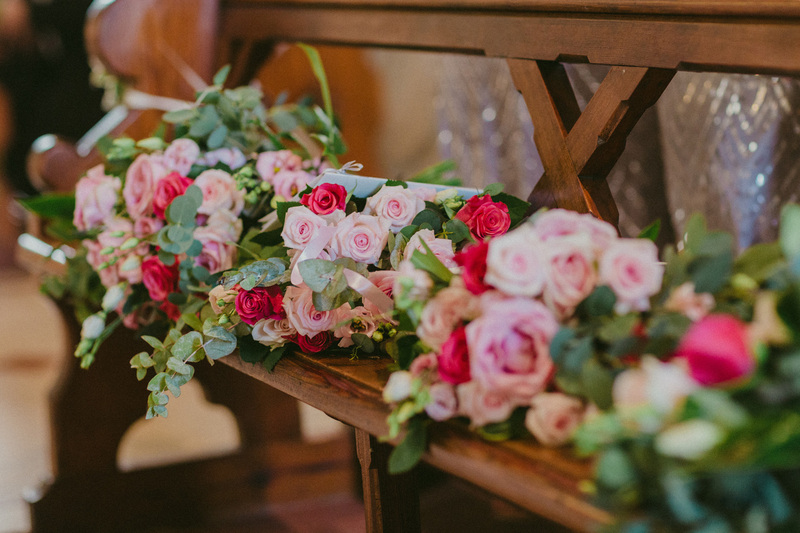 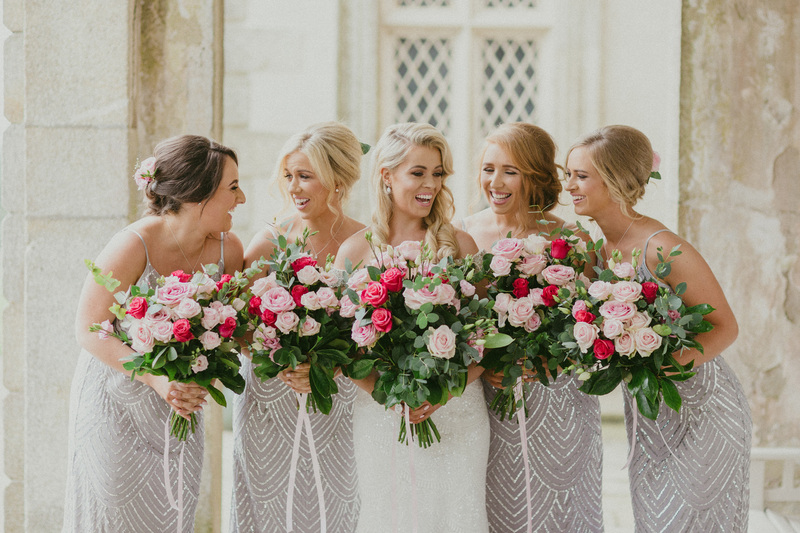 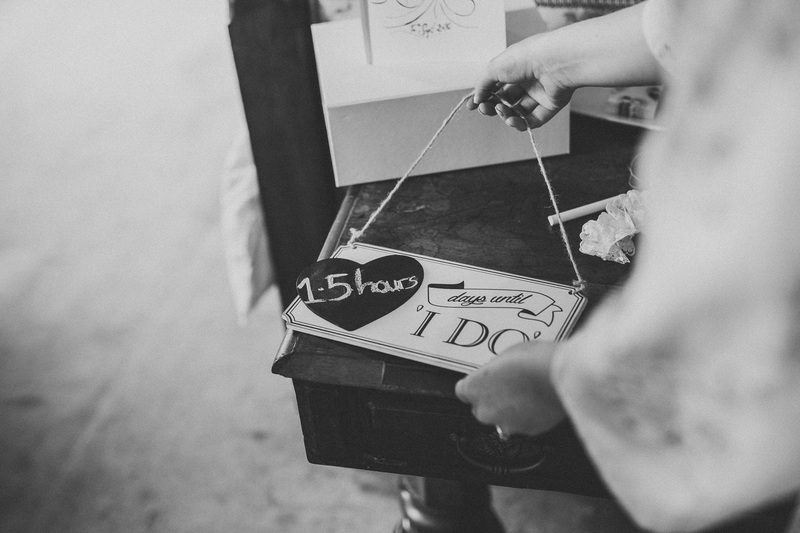 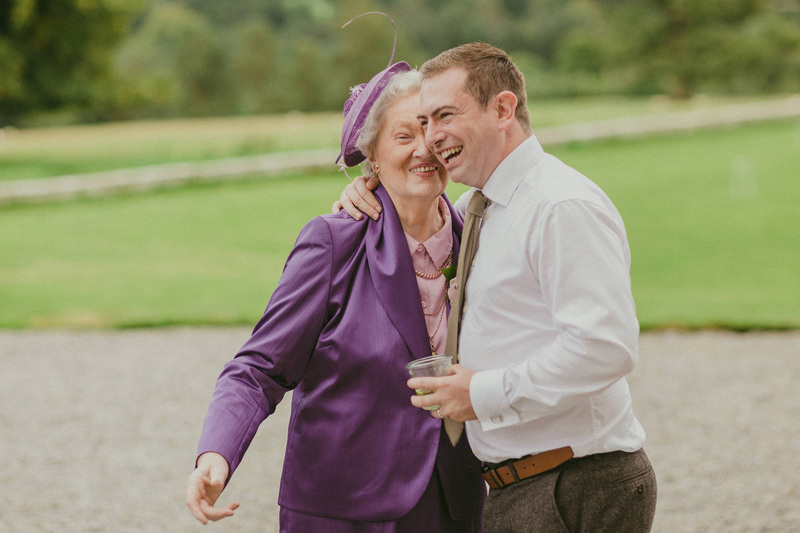 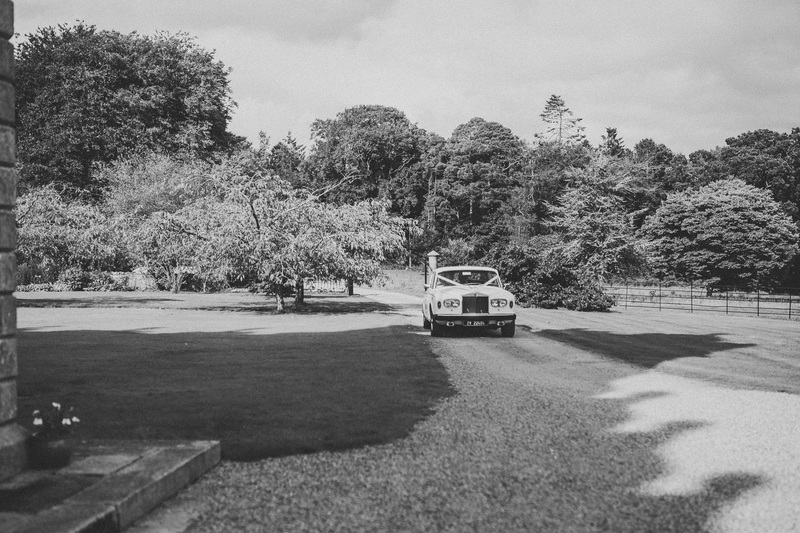 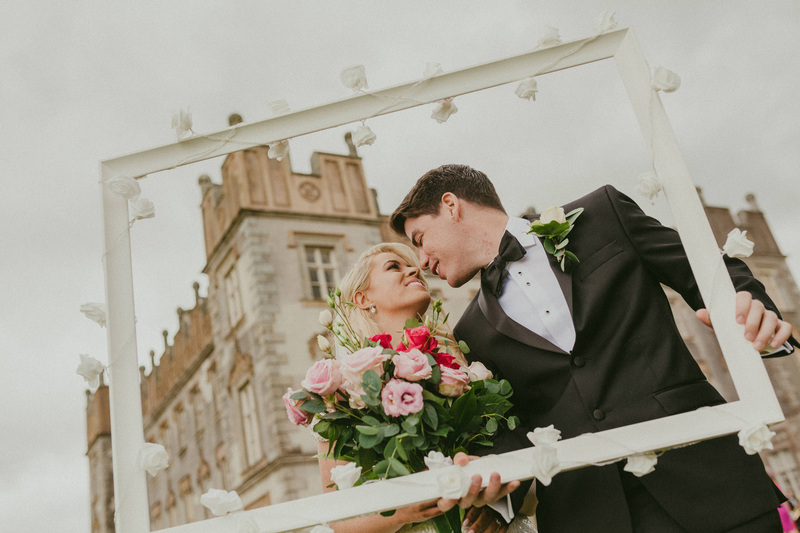 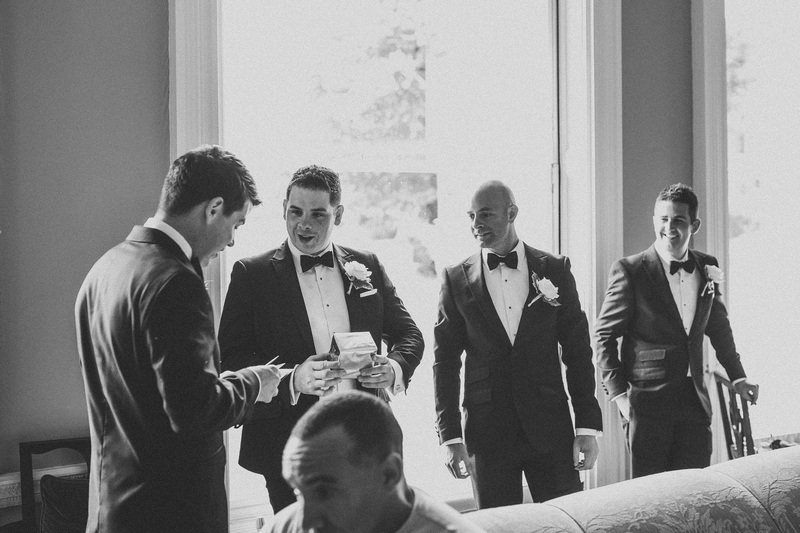 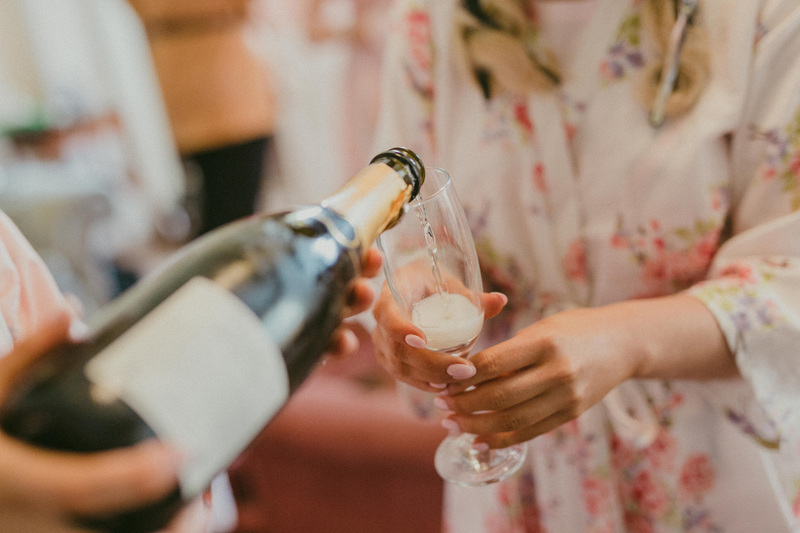 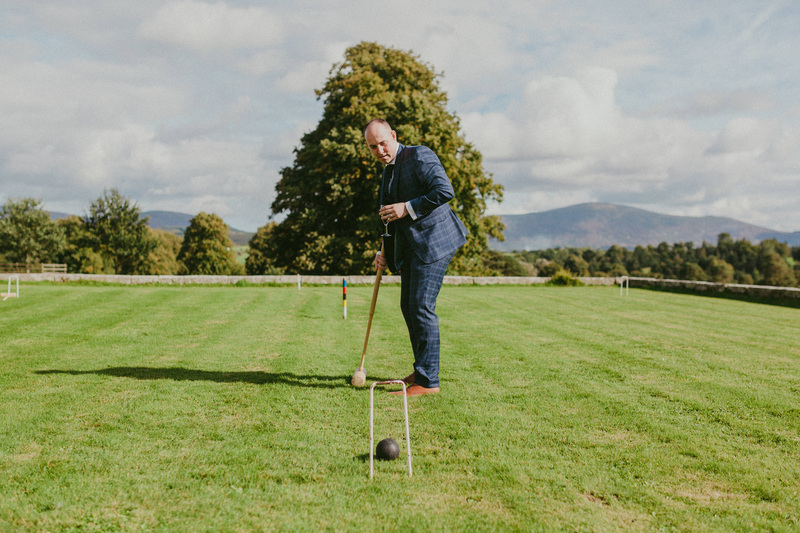 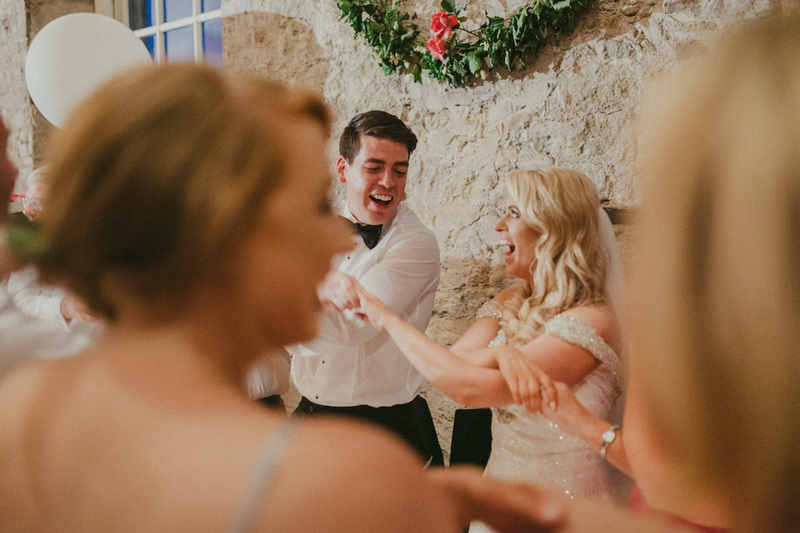 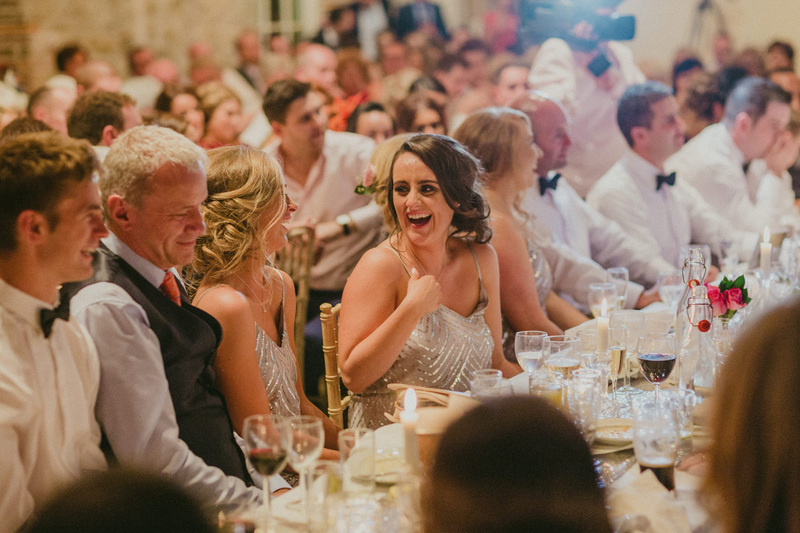 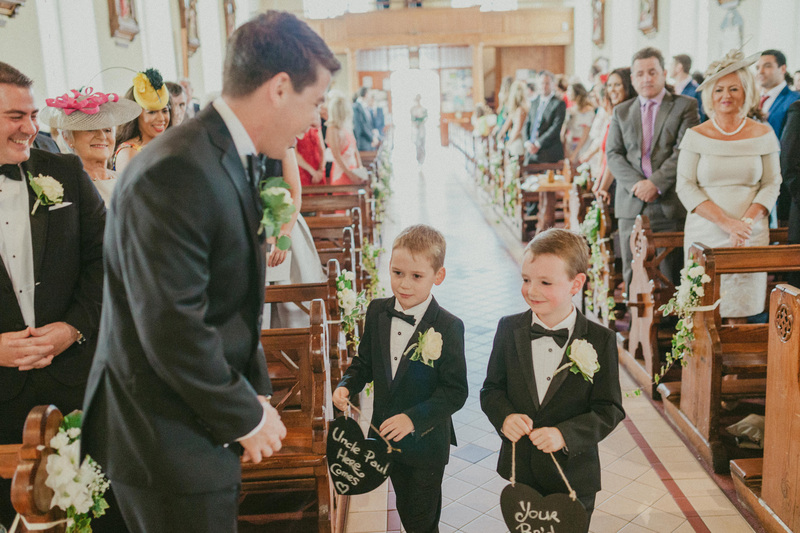 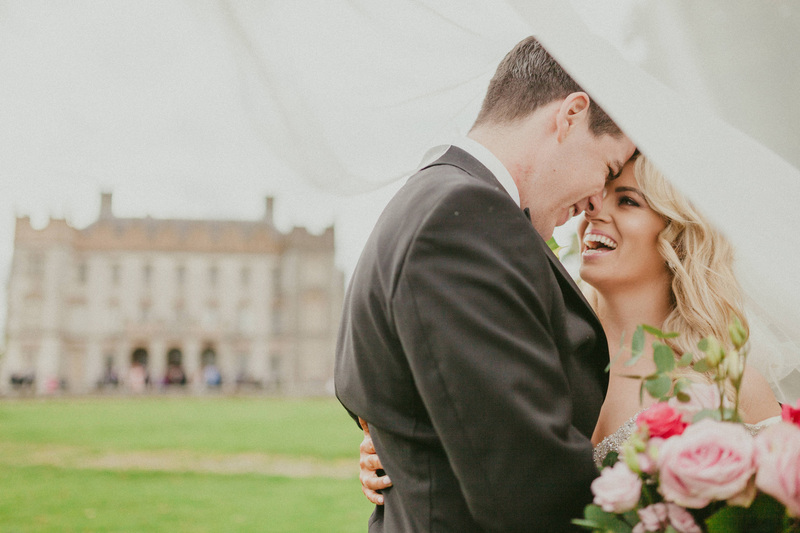 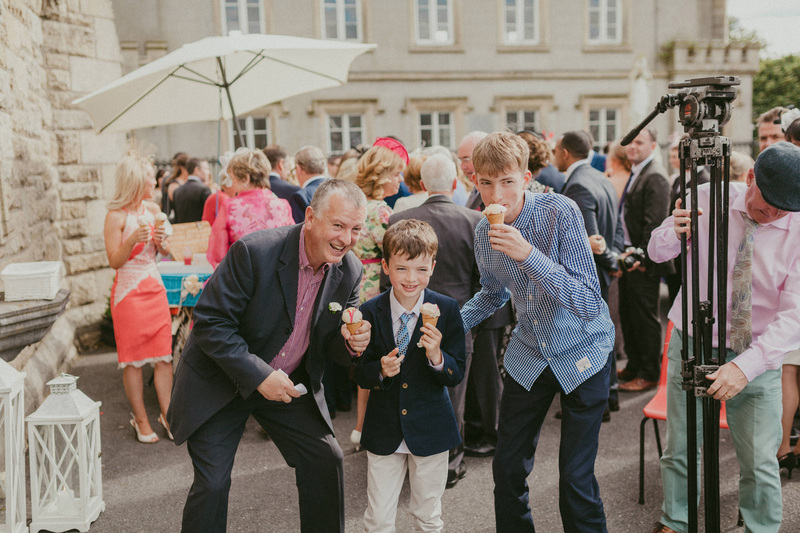 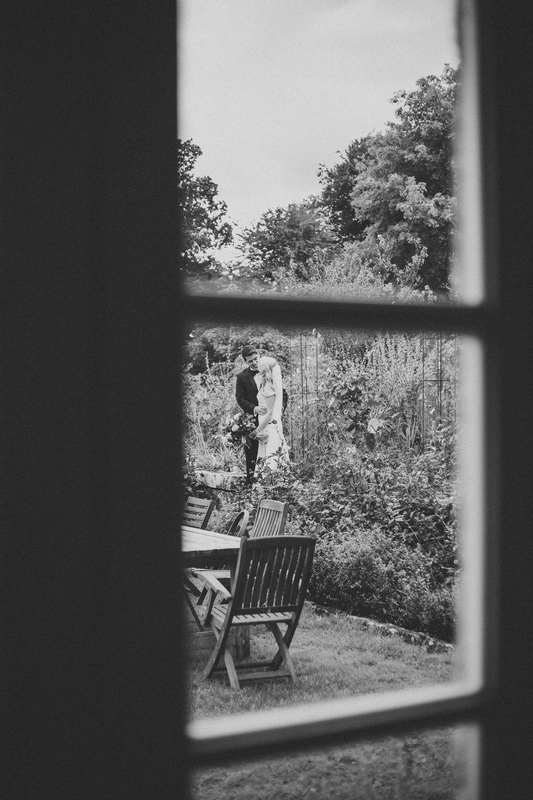 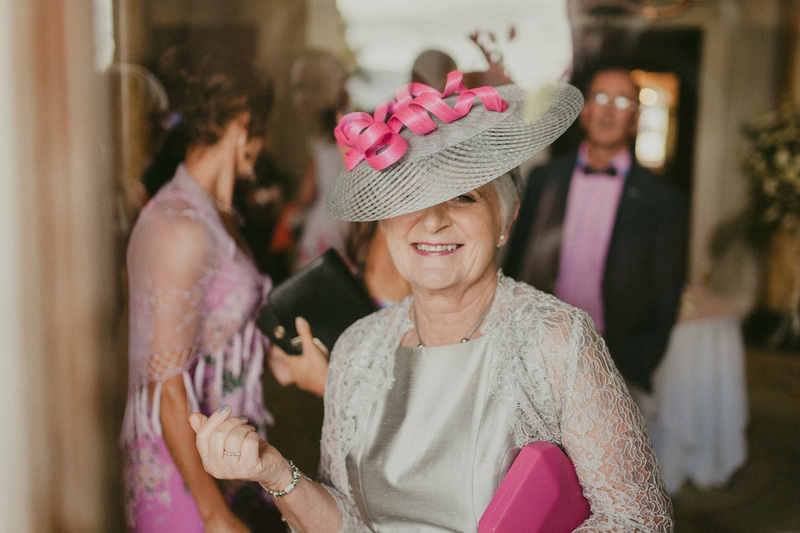 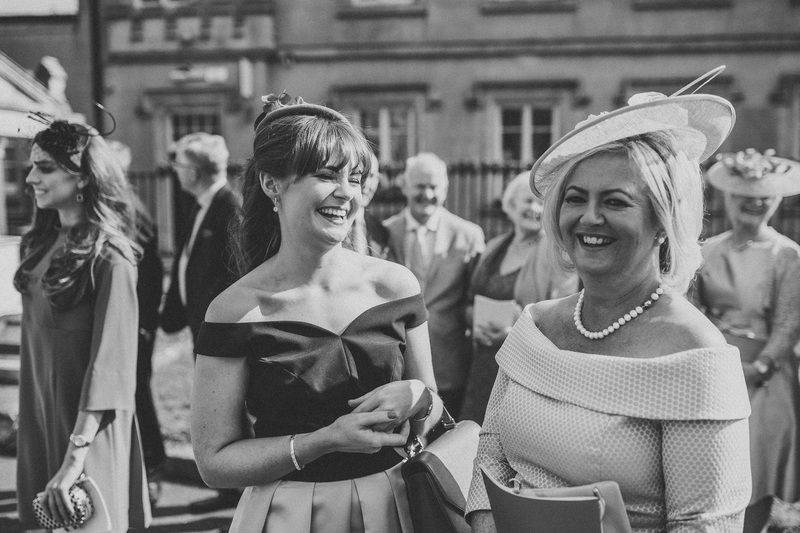 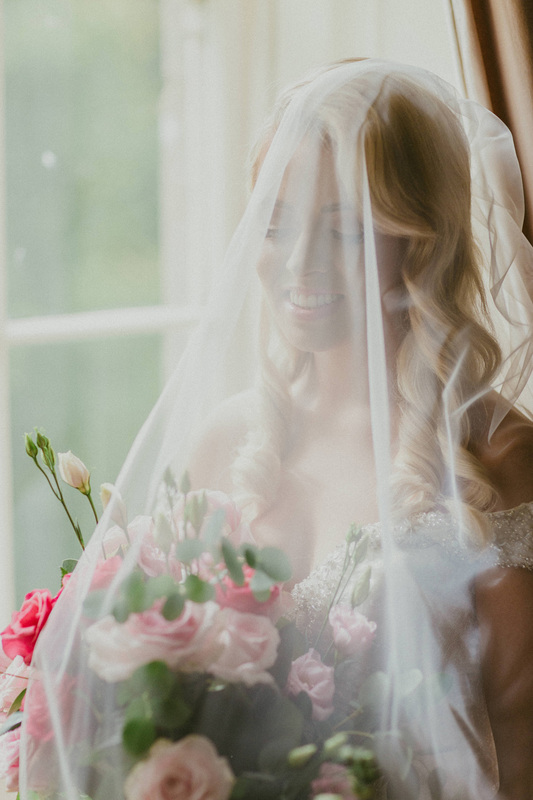 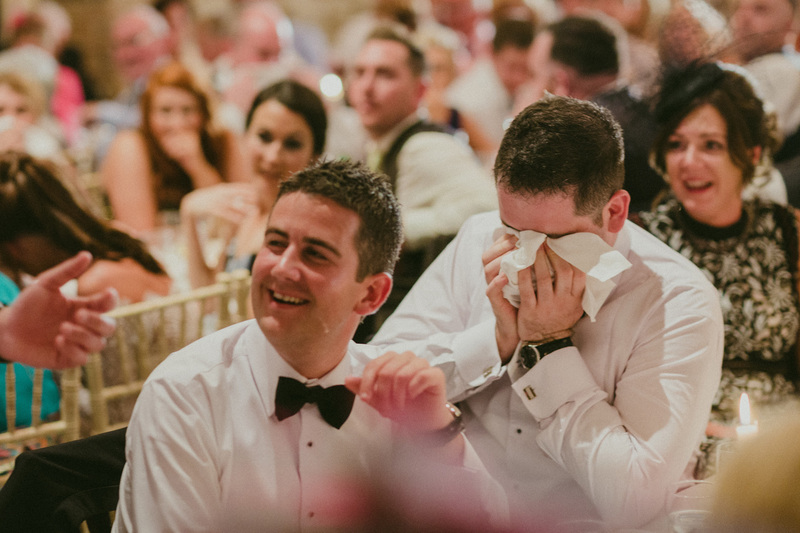 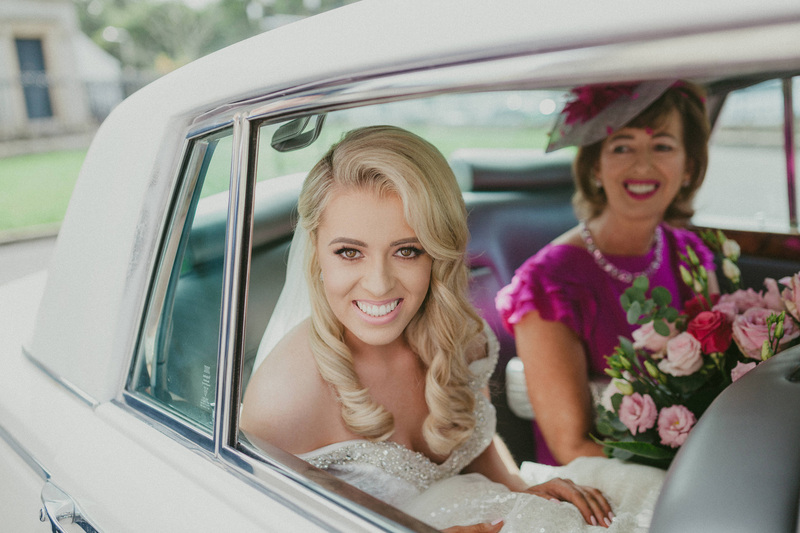 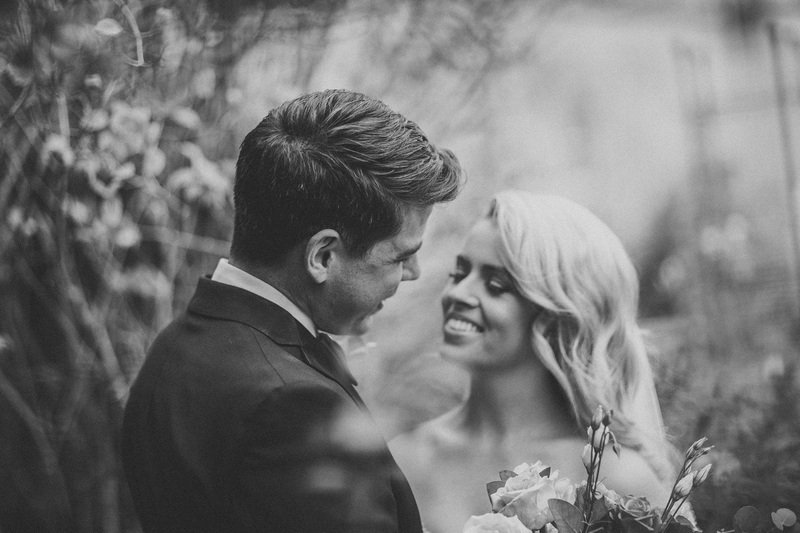 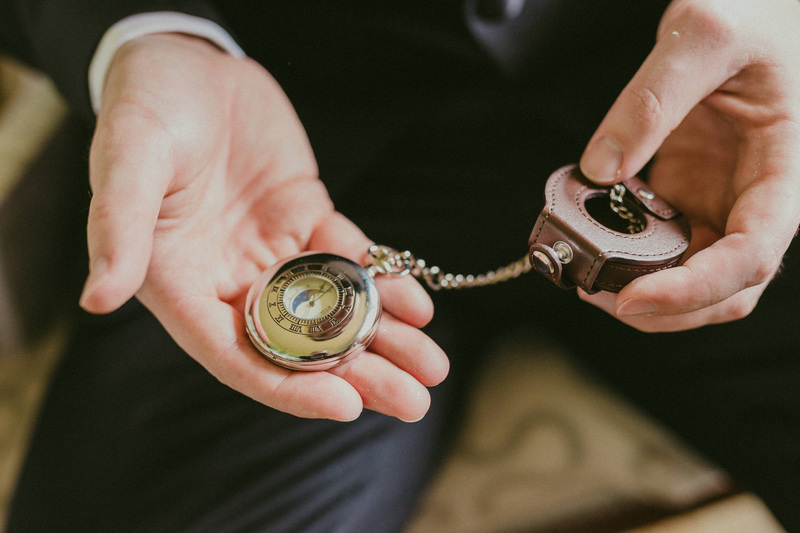 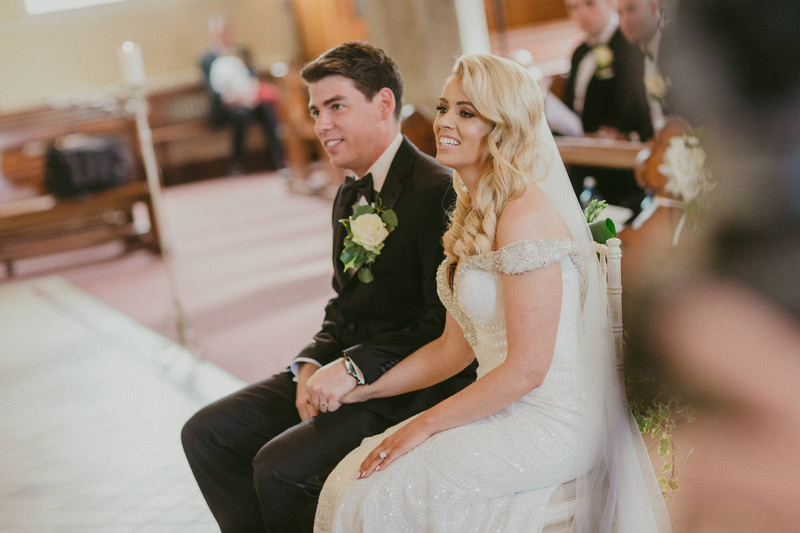 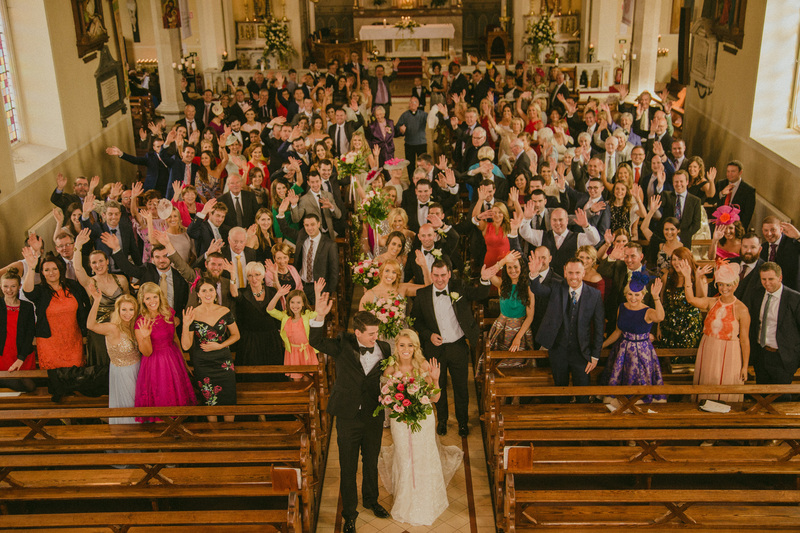 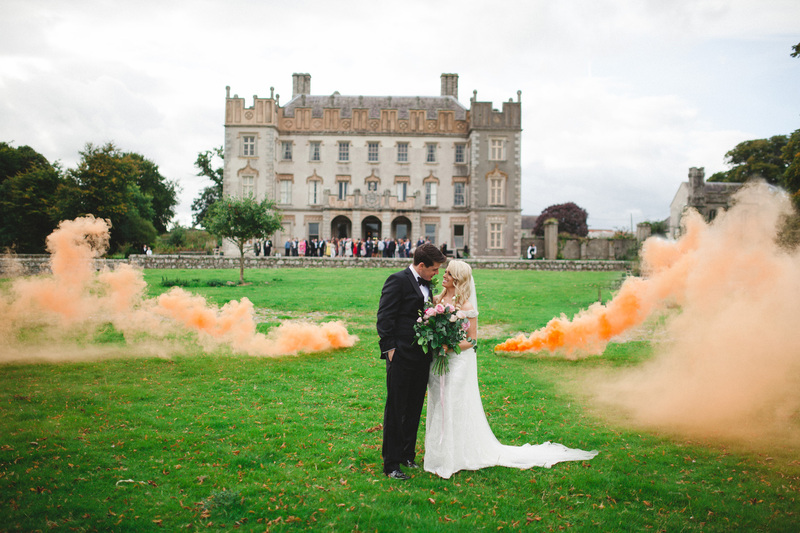 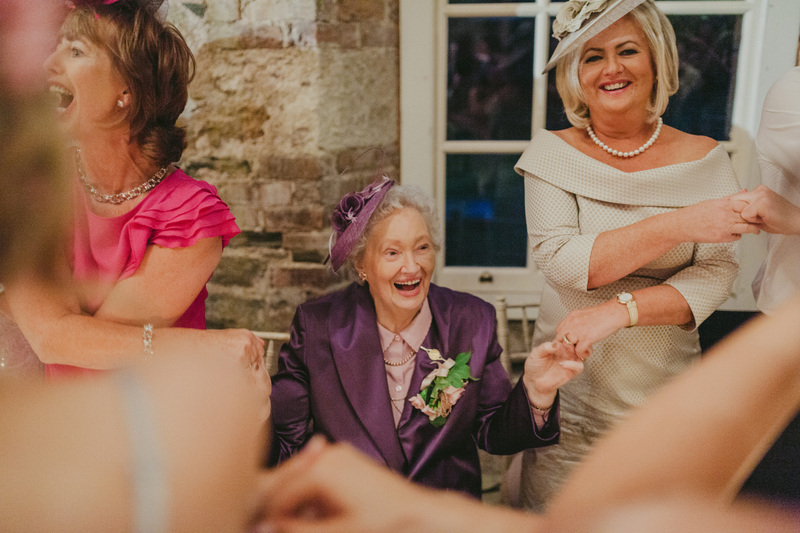 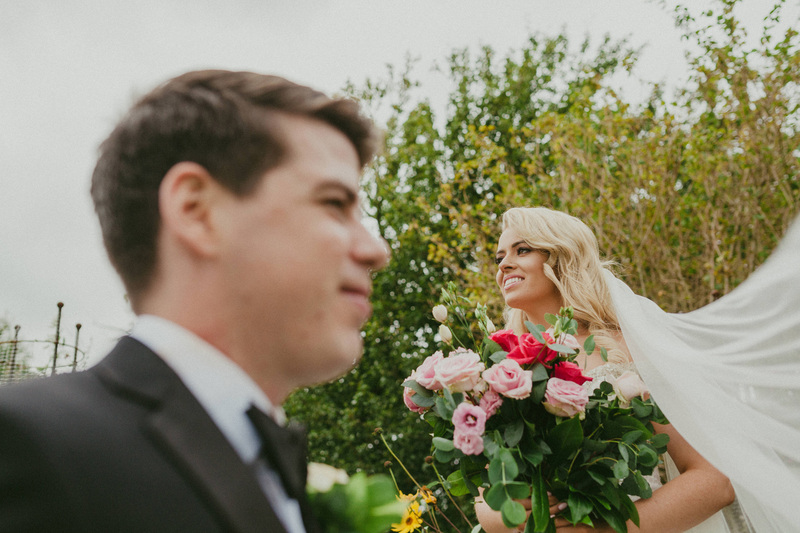 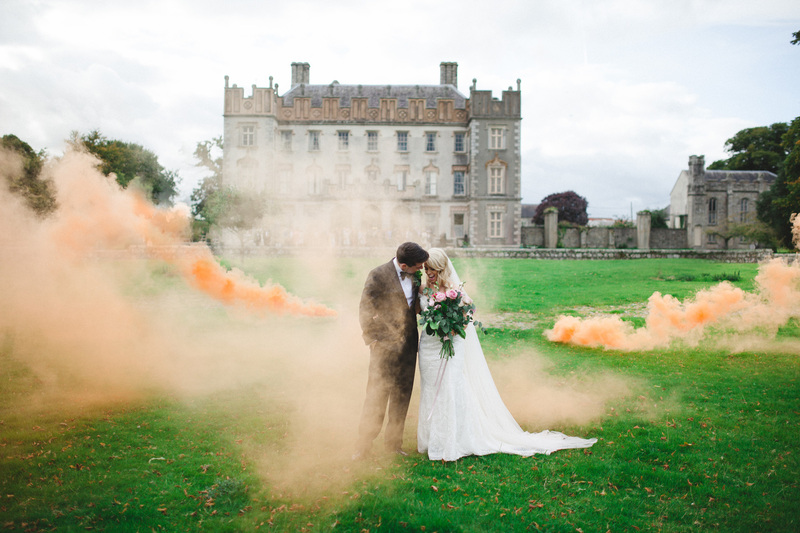 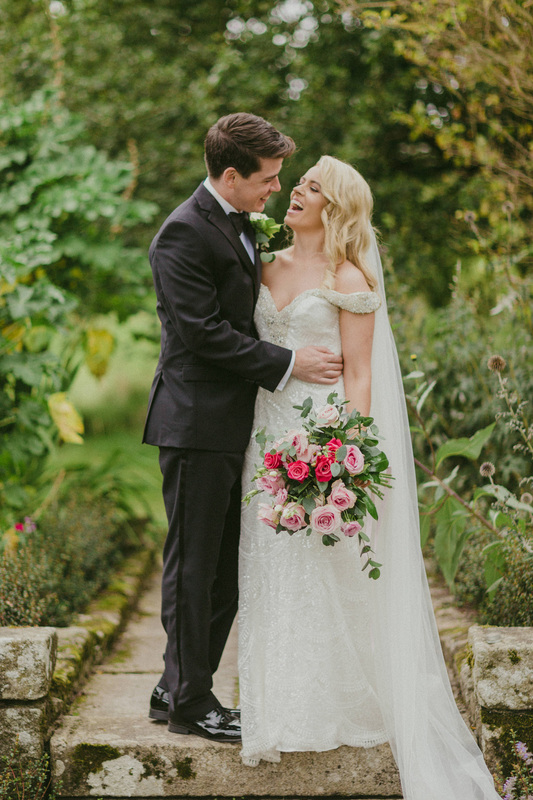 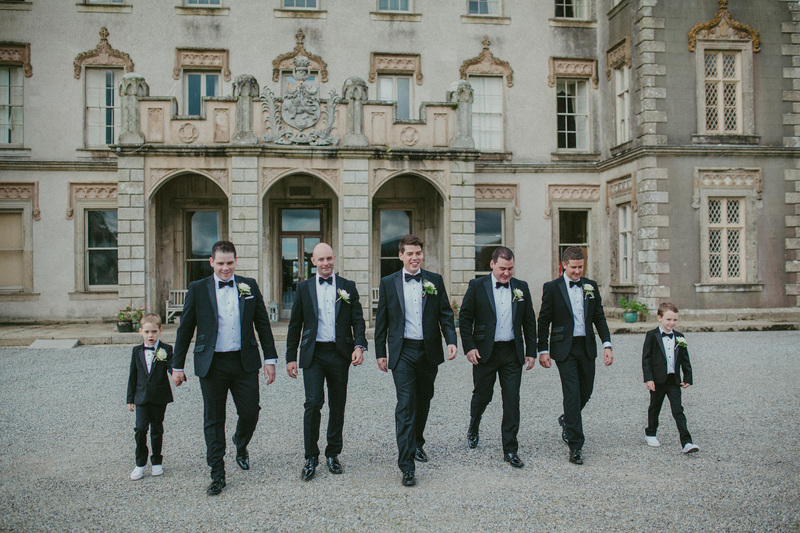 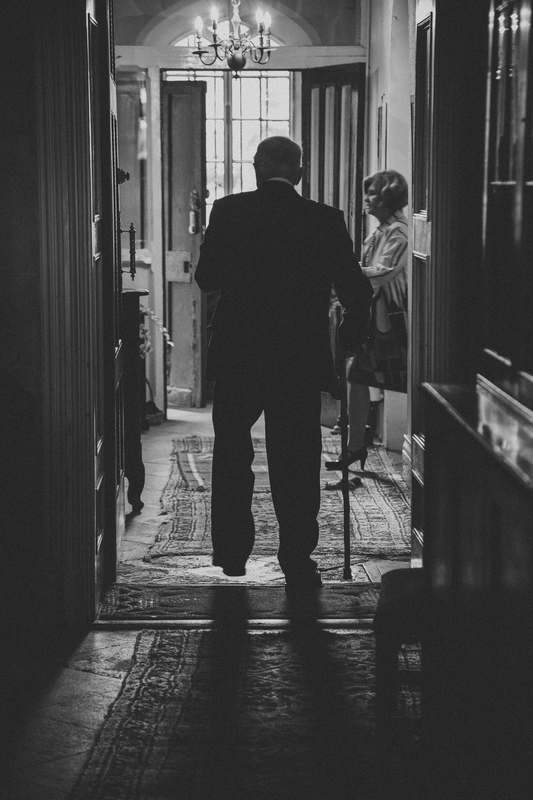 Clodagh and Paul’s Borris House wedding was a spectacular event from start to finish. 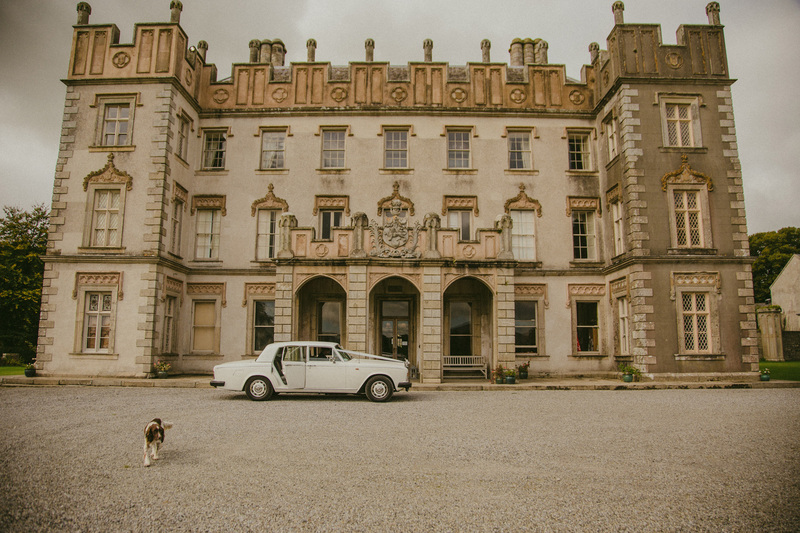 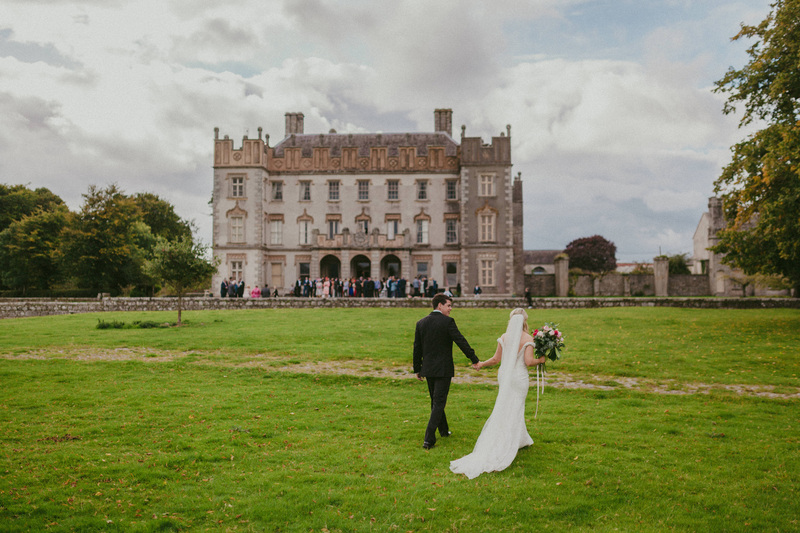 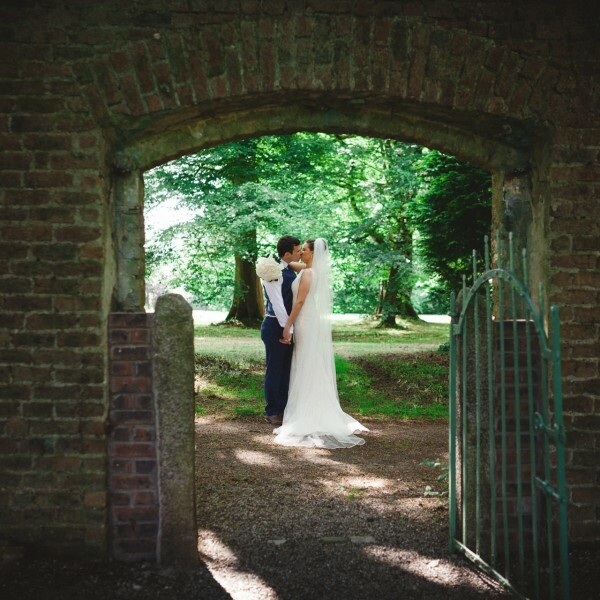 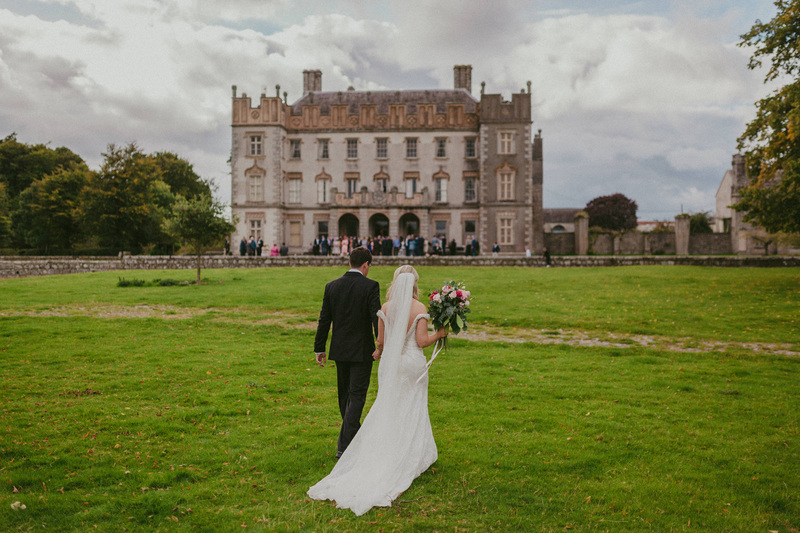 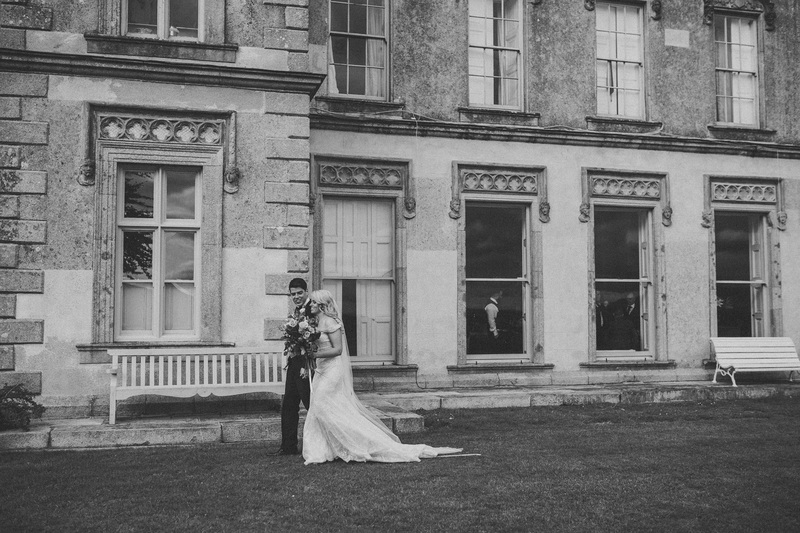 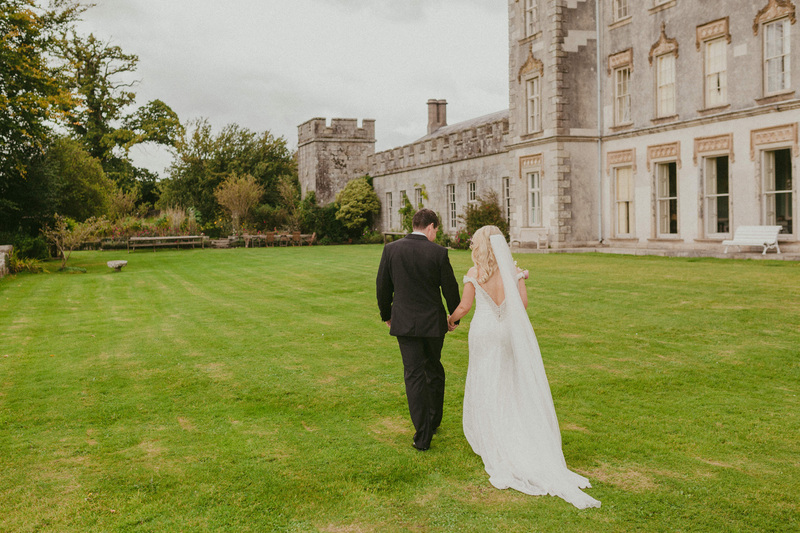 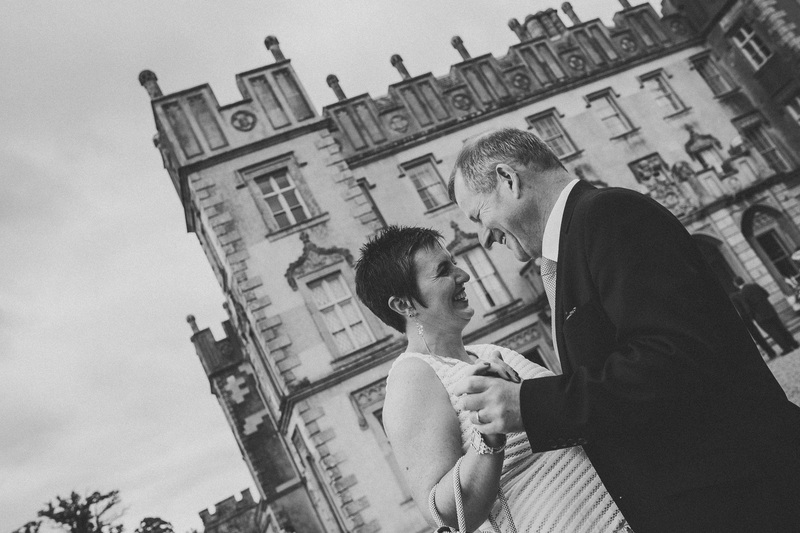 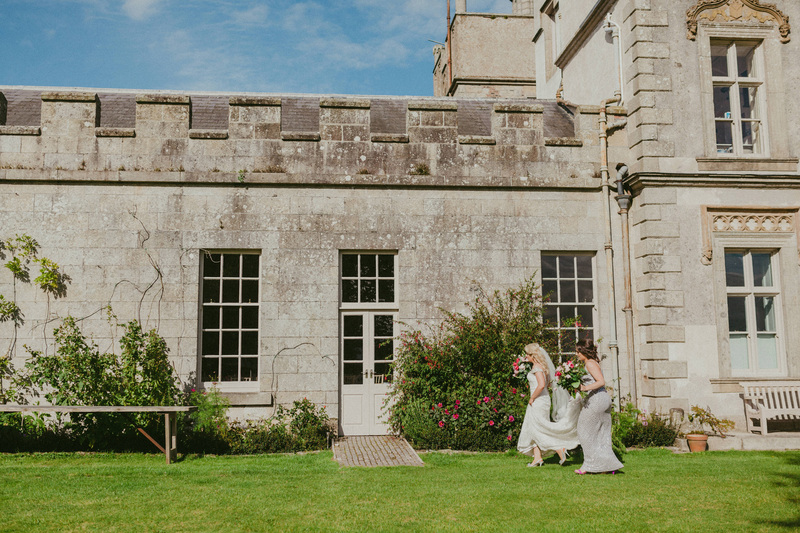 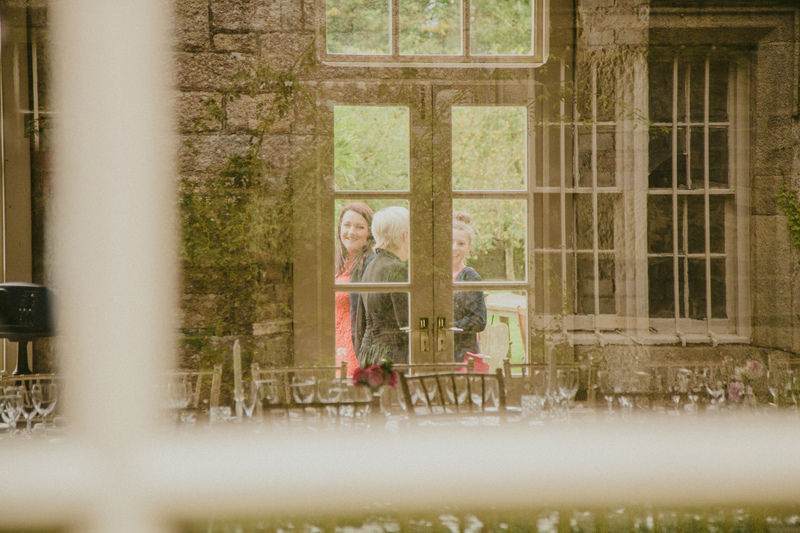 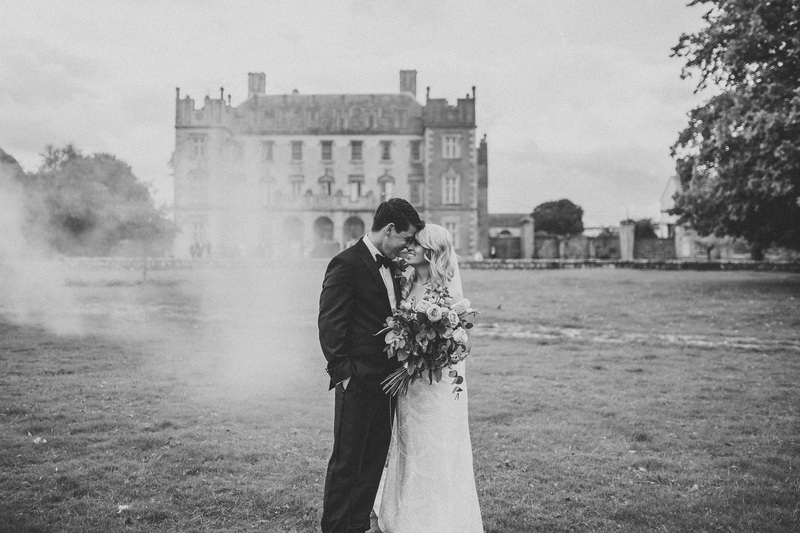 Borris House is another of Ireland’s remarkable wedding venues. 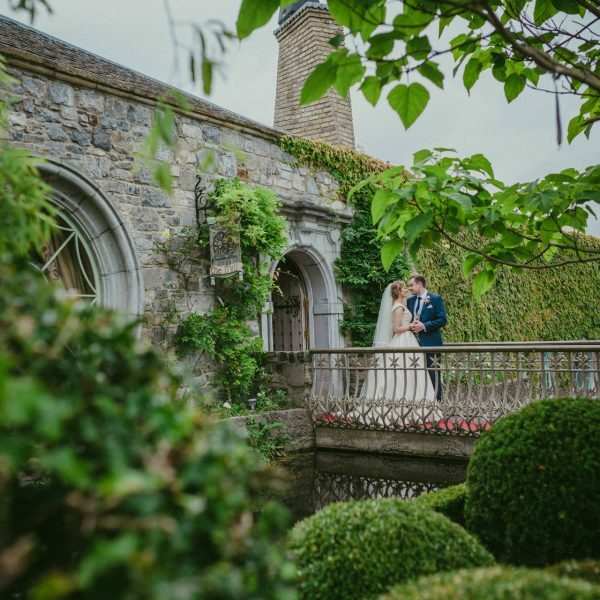 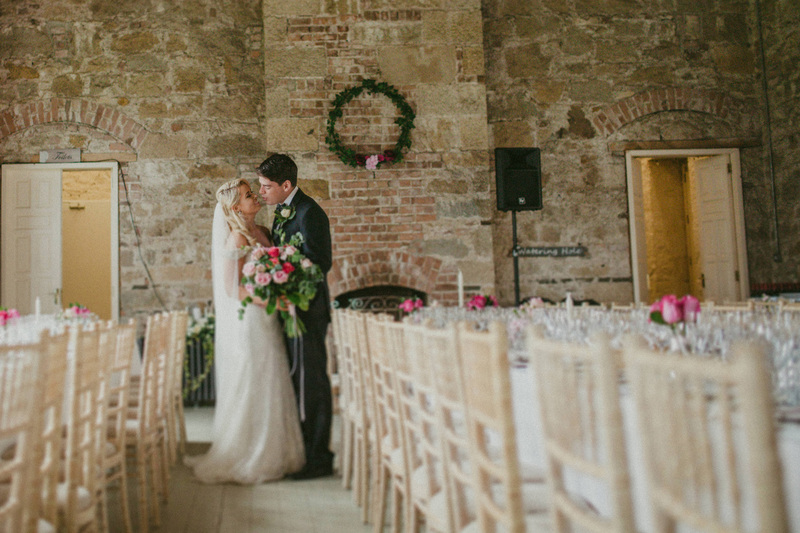 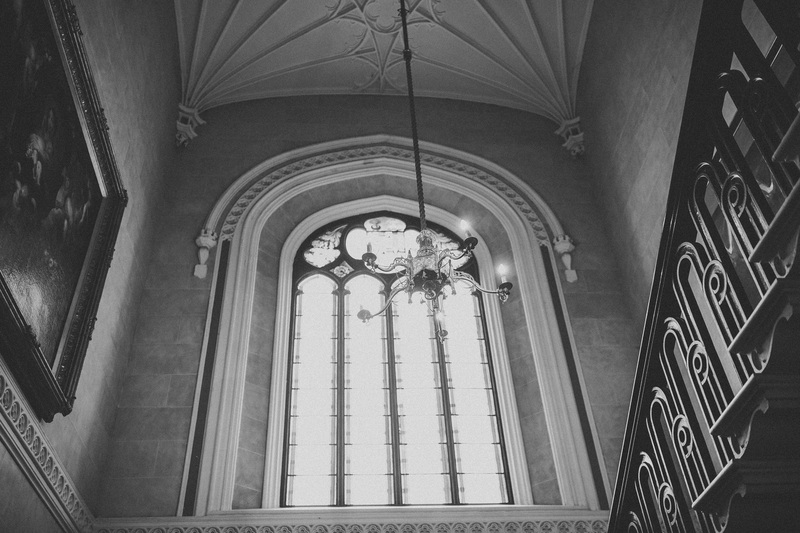 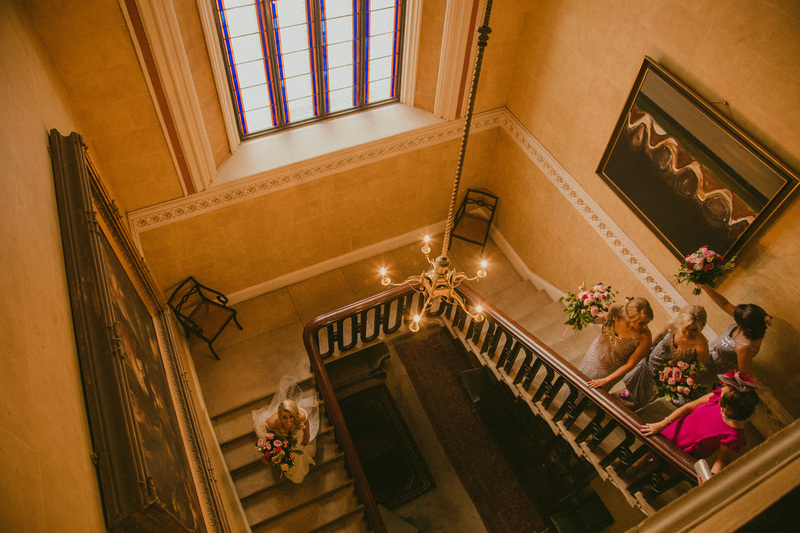 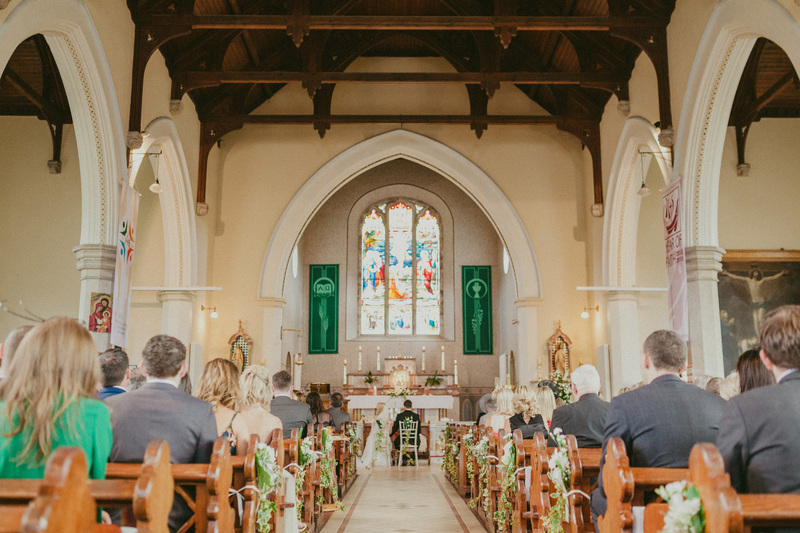 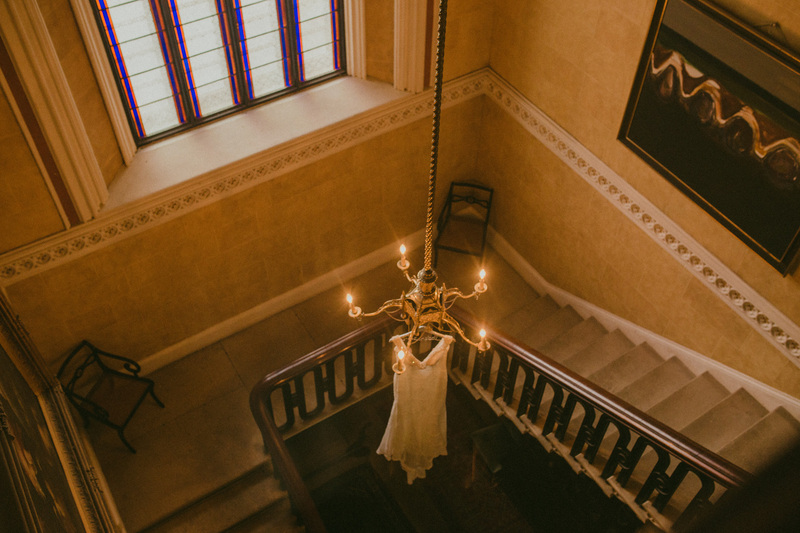 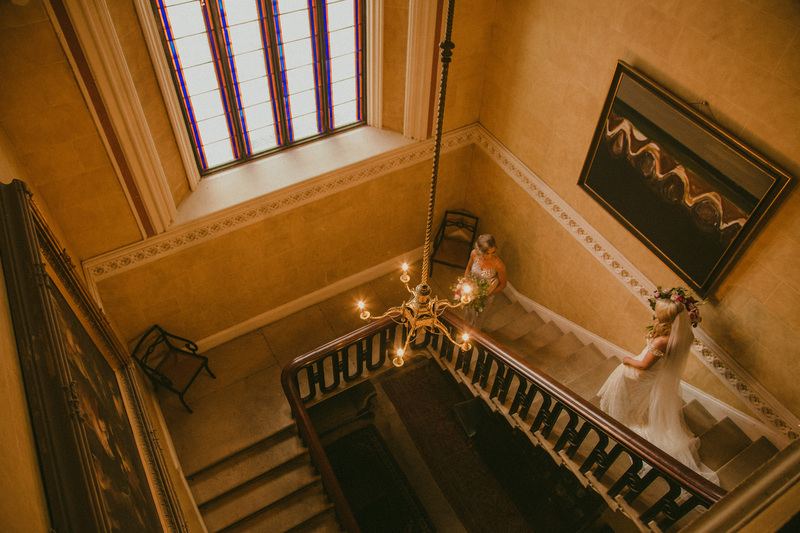 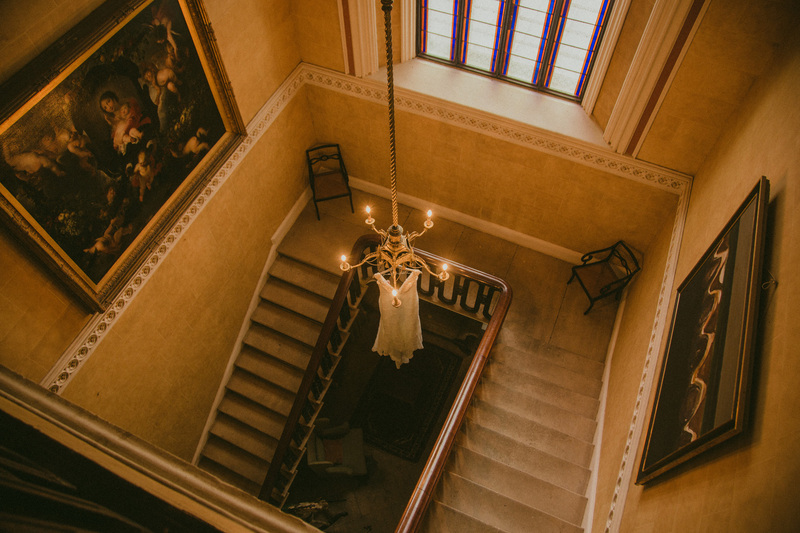 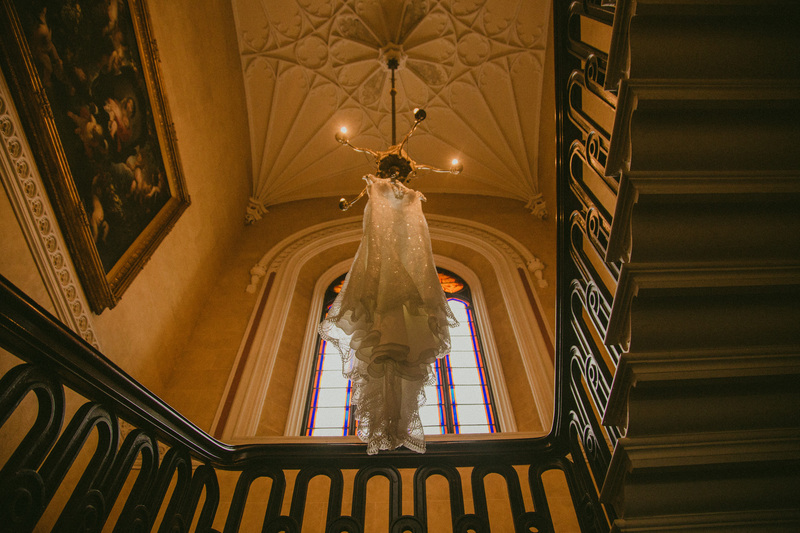 It’s easy to see why it is one of Ireland’s top wedding venues. 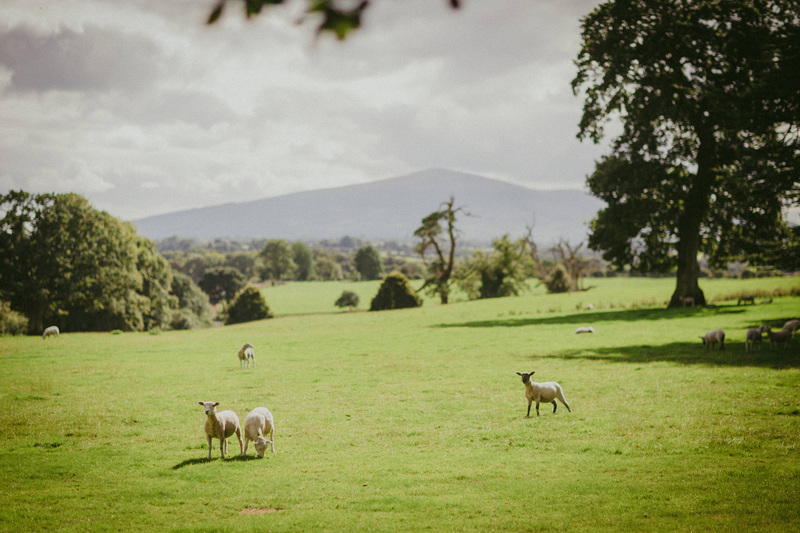 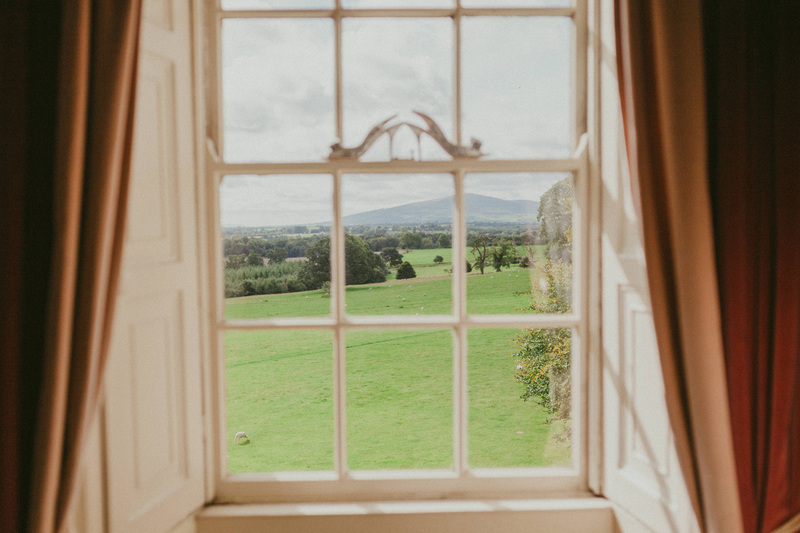 It’s set in one of Ireland’s most idyllic settings, and it’s also the ancestral home of the family McMorrough Kavanaghs, High Kings of Leinster. 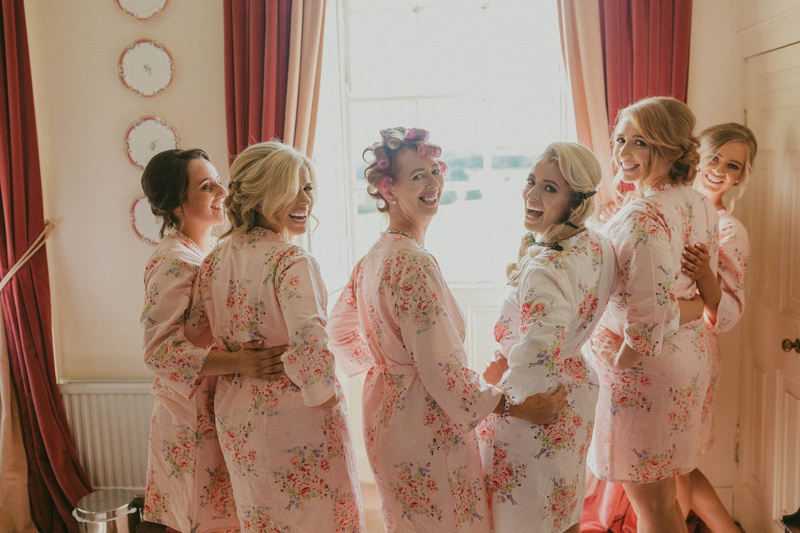 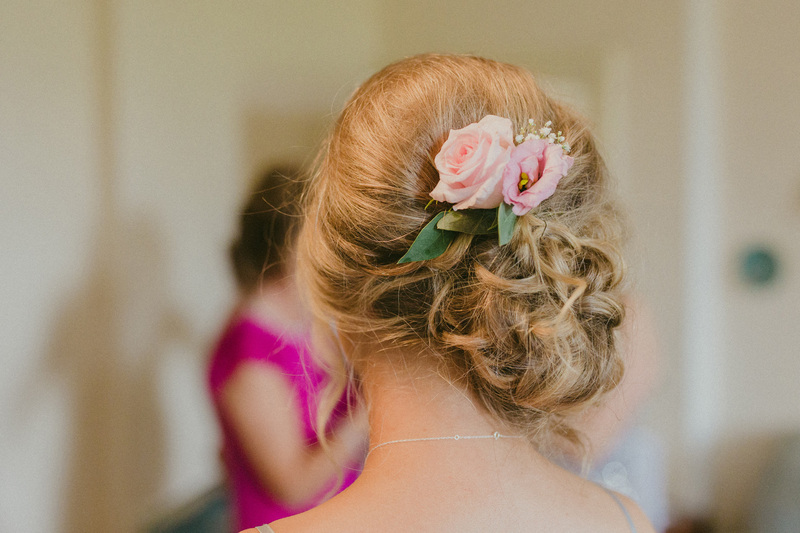 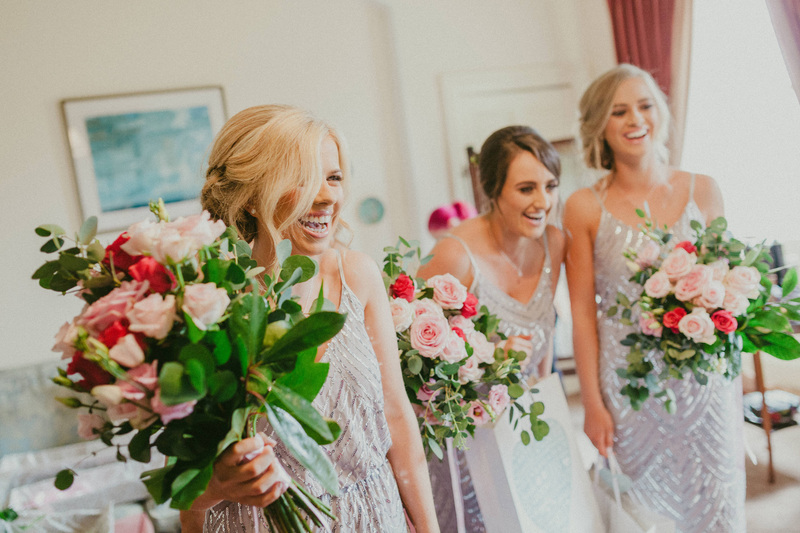 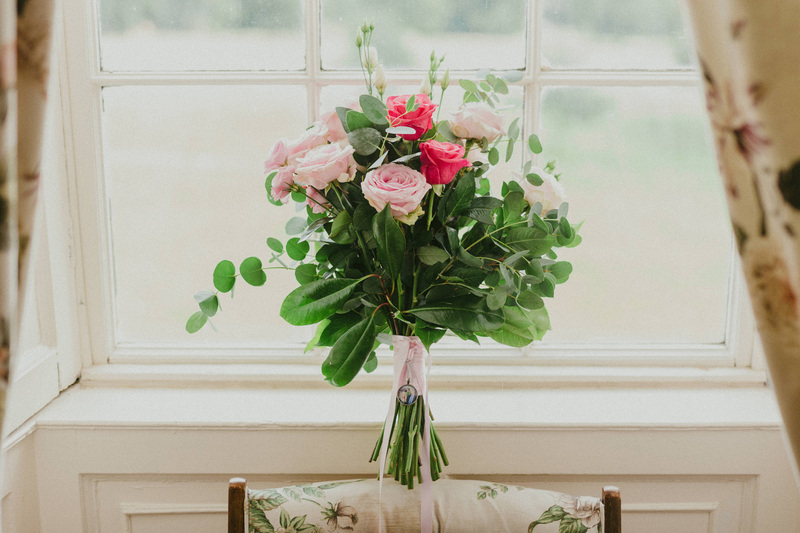 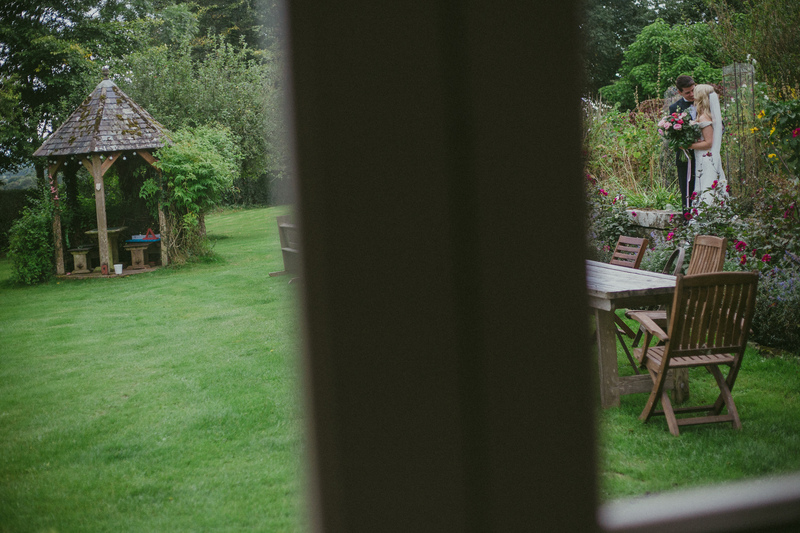 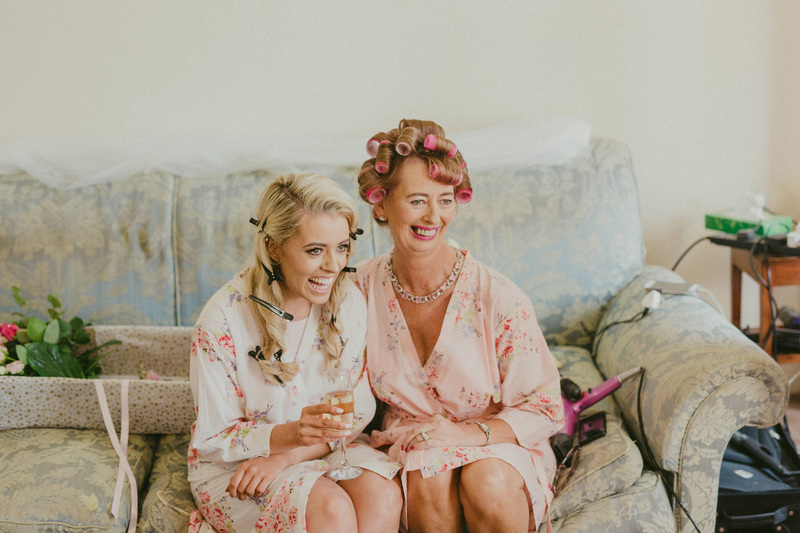 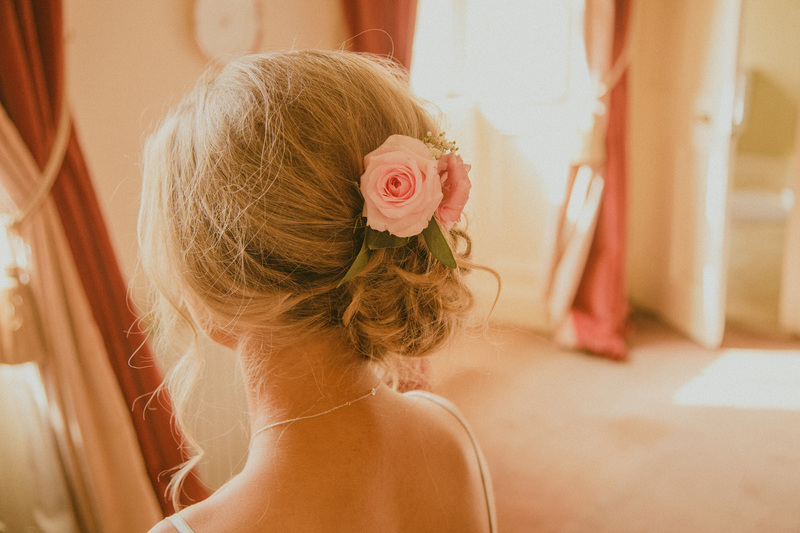 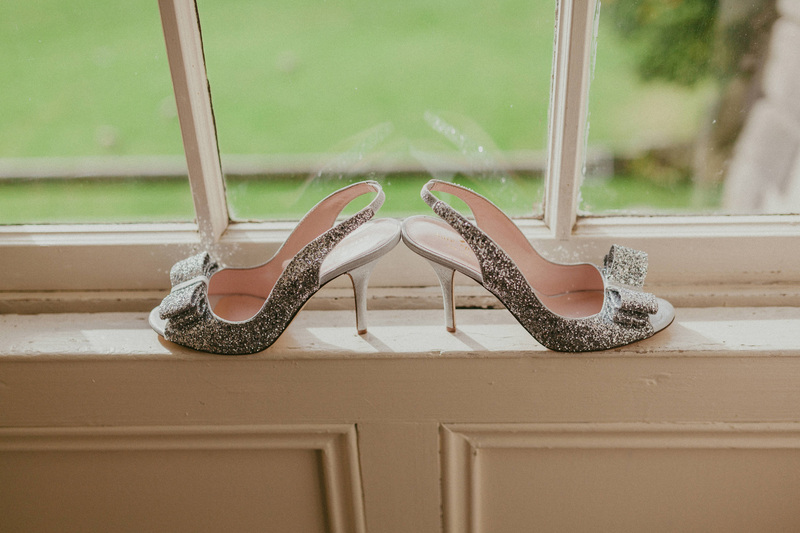 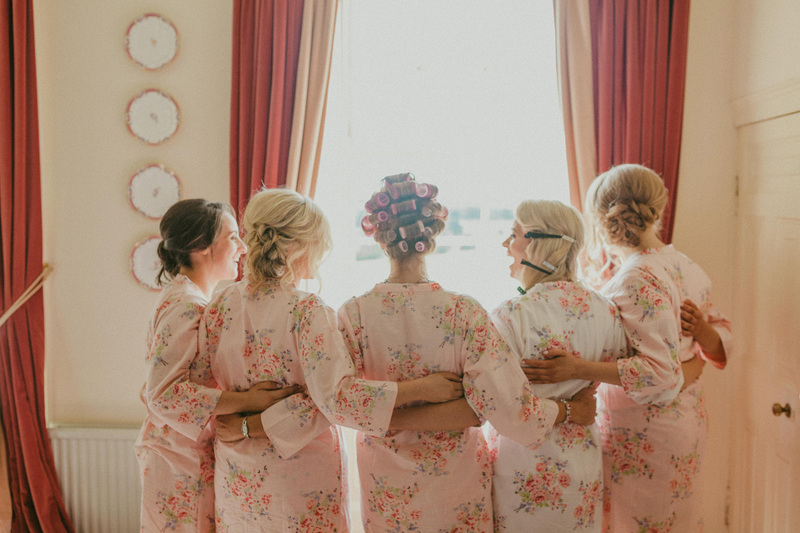 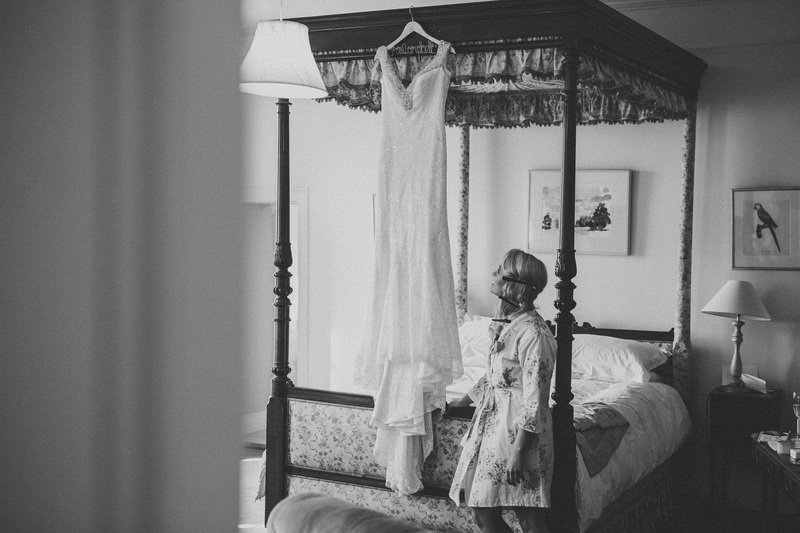 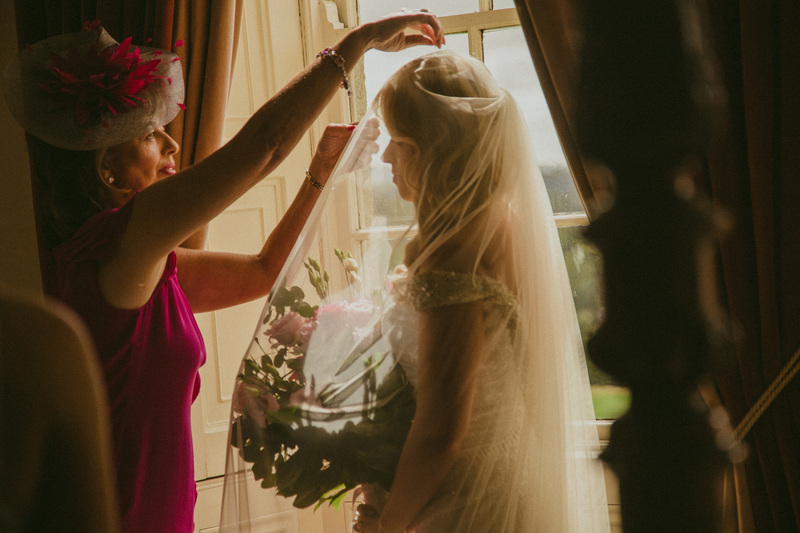 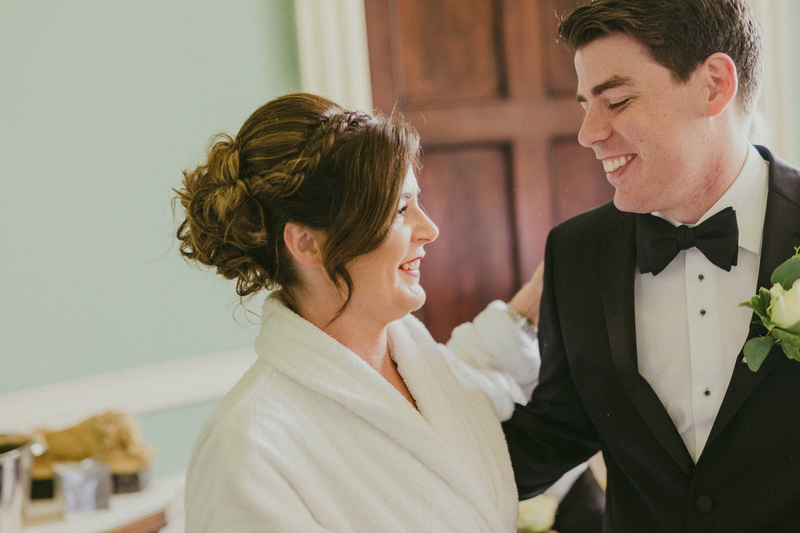 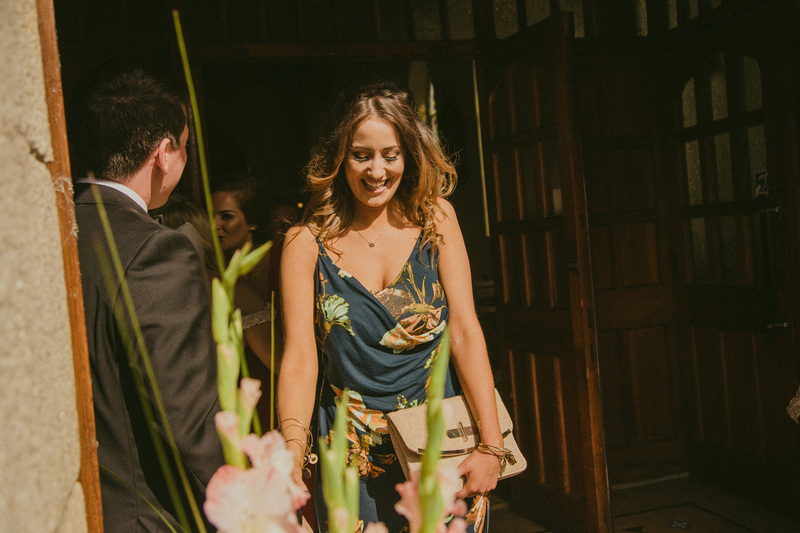 During the morning Clodagh got ready in the main house, while Paul and the guys got ready in one of the lovely cottages on the grounds. 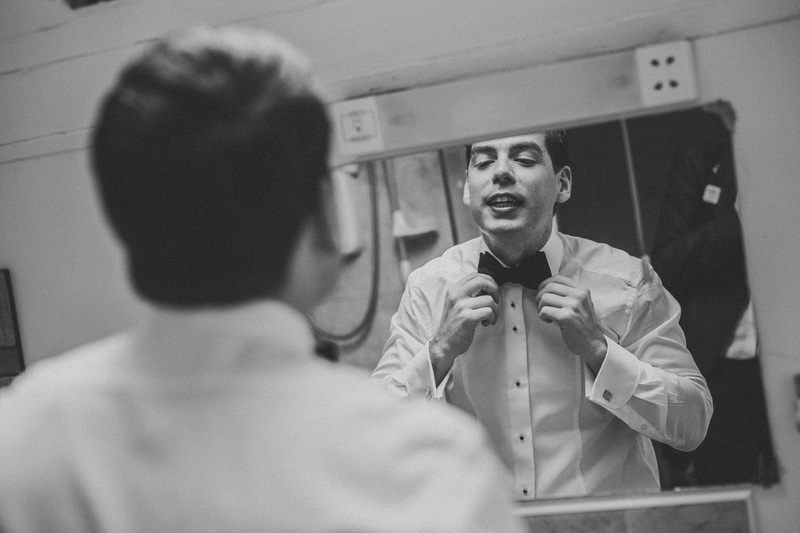 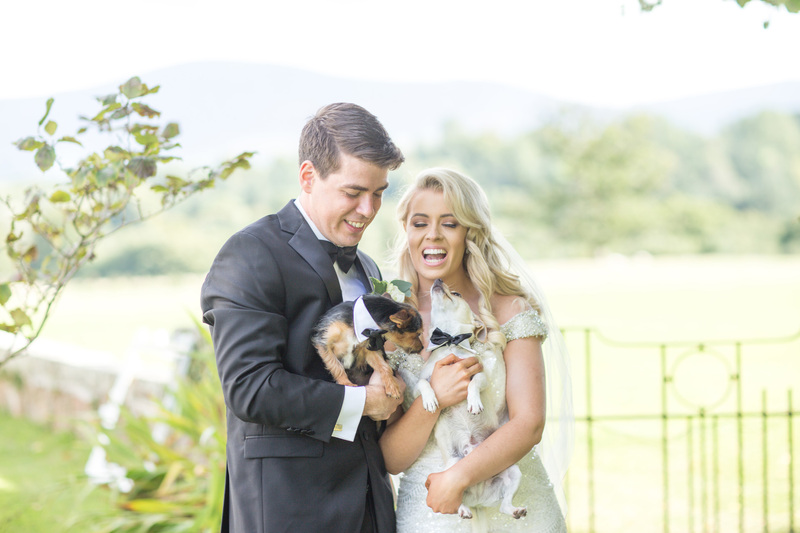 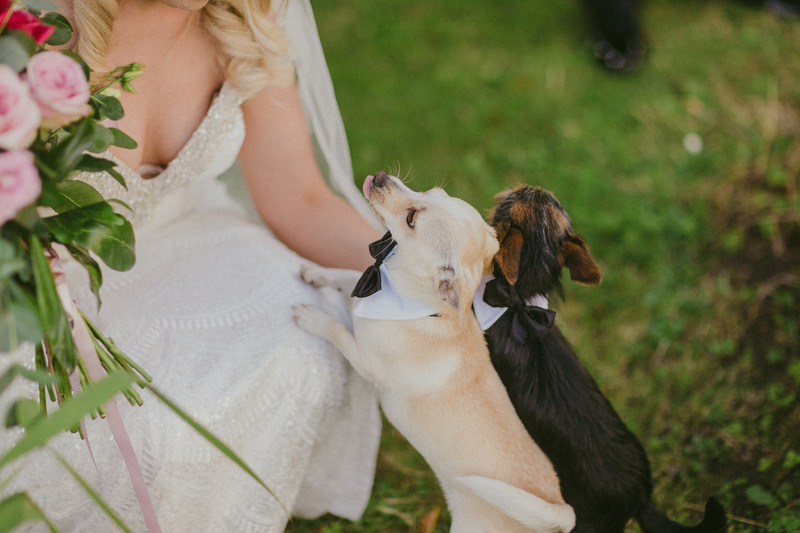 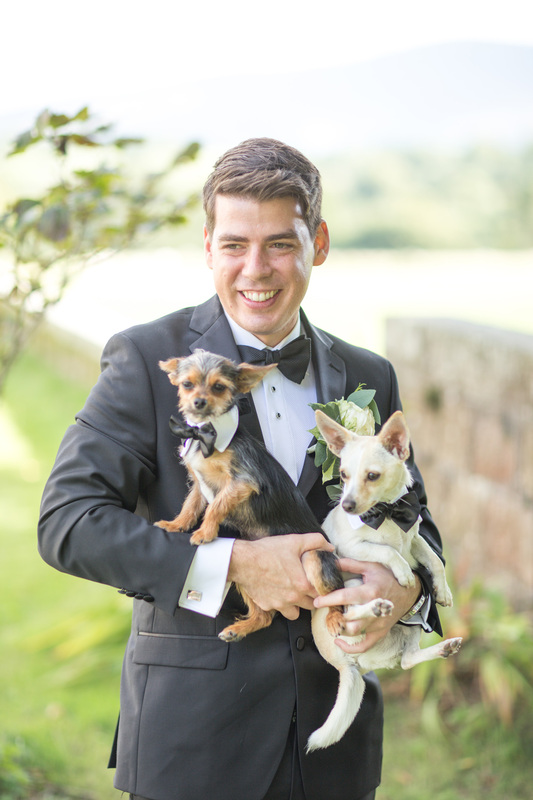 As the excitement in the air grew, their two bow tie adorned puppies eagerly ran around, adding to the pre-wedding anticipation. 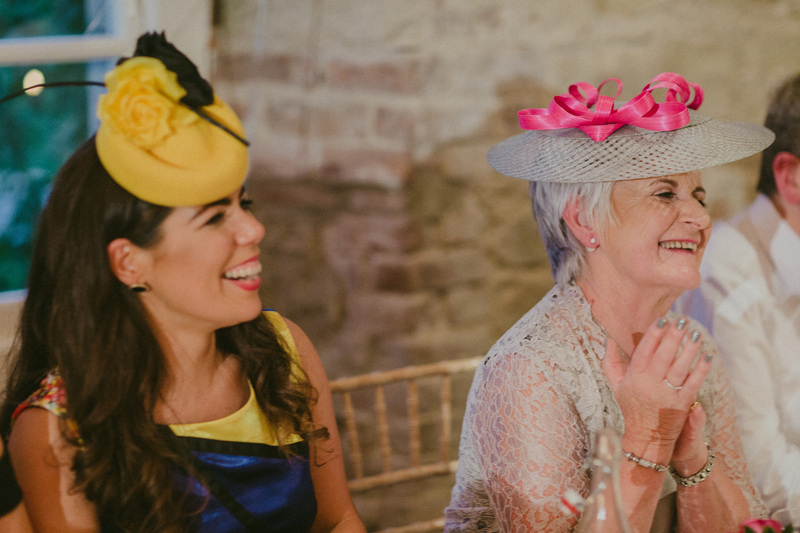 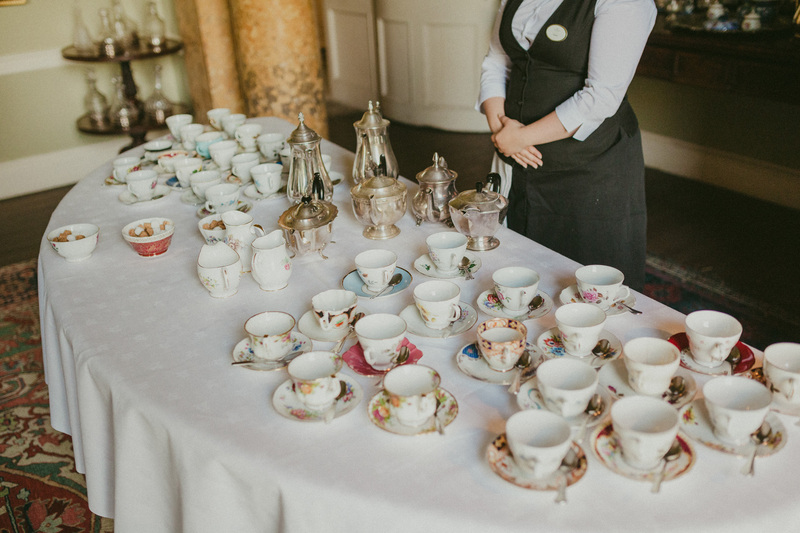 Bridal party gifts were gifted in the tea room. 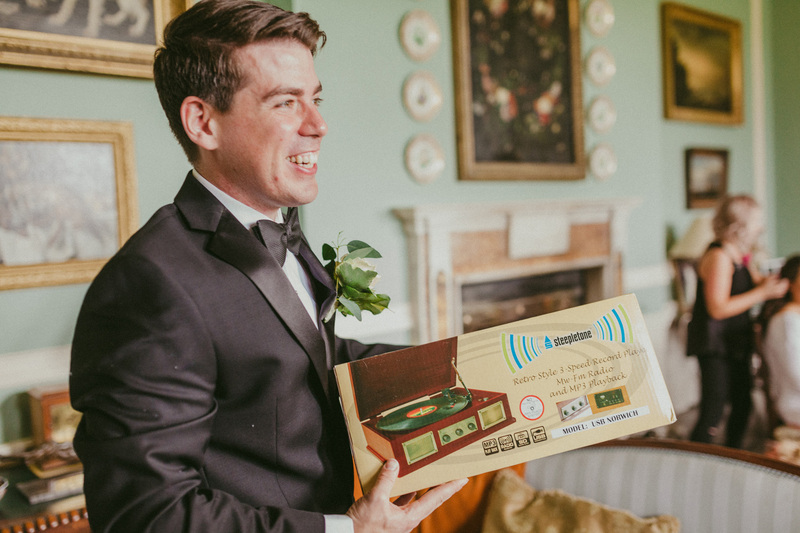 From watches to record players there were plenty of smiles. 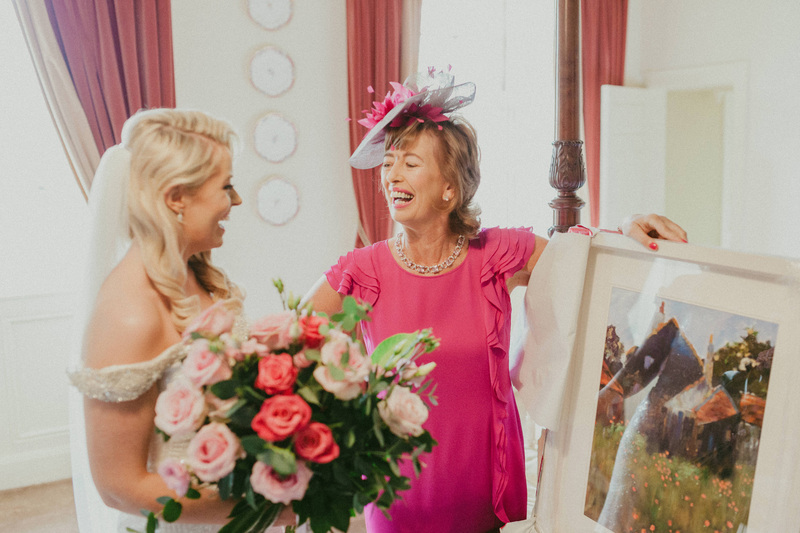 There was even a surprise piece of art given from Clodagh to her Mother. 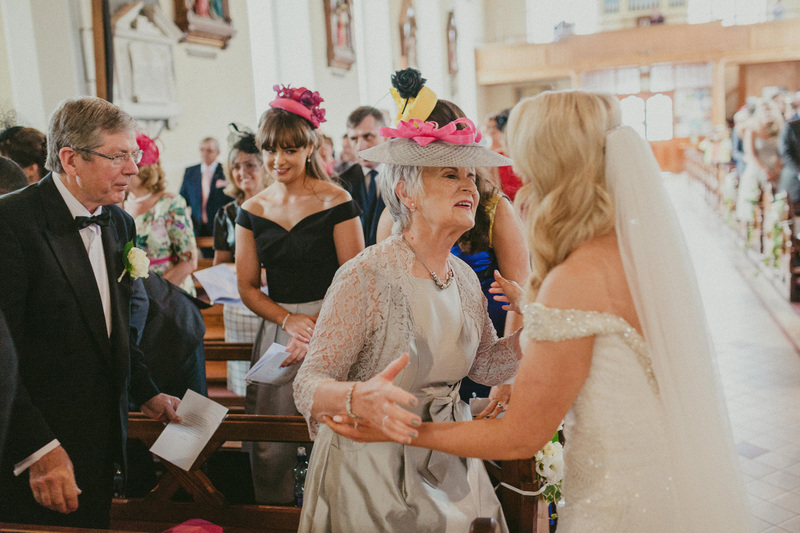 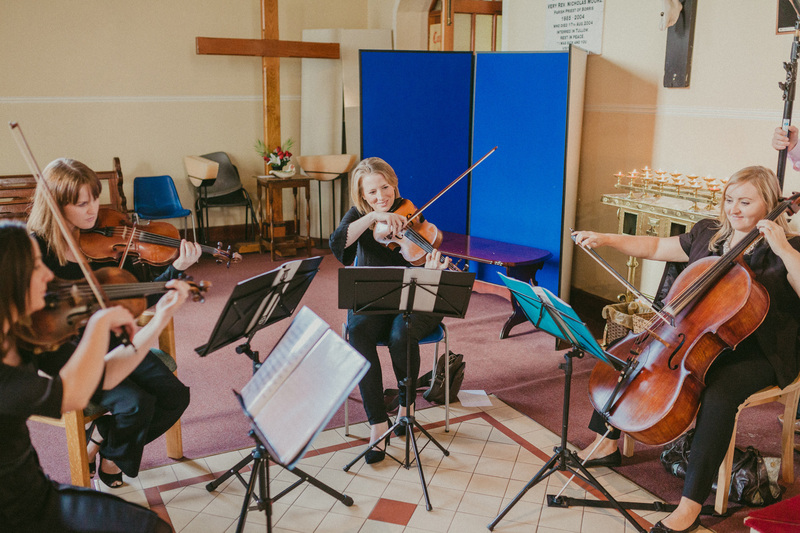 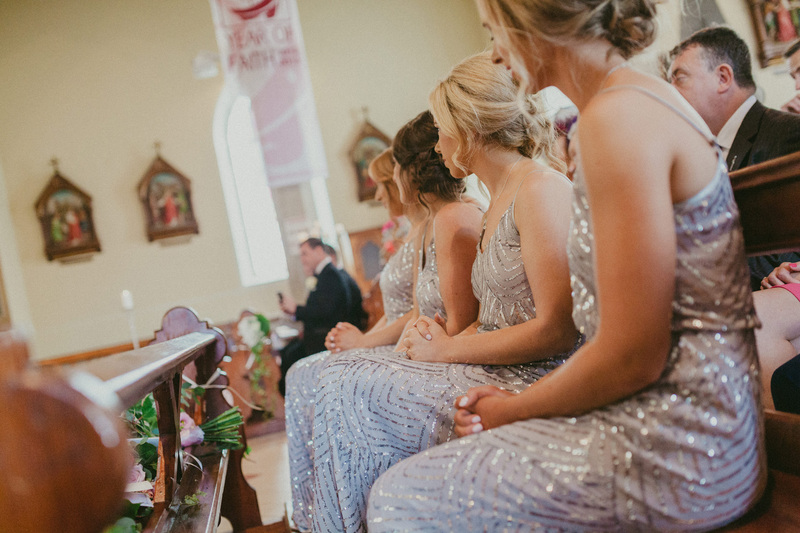 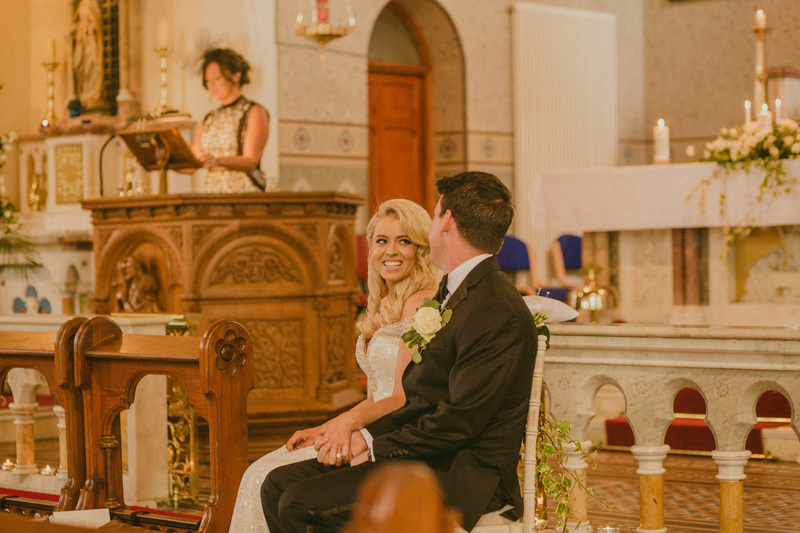 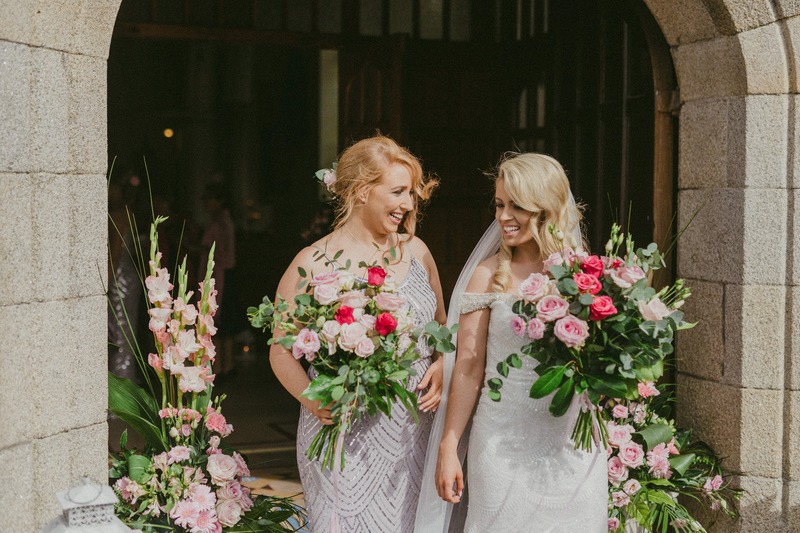 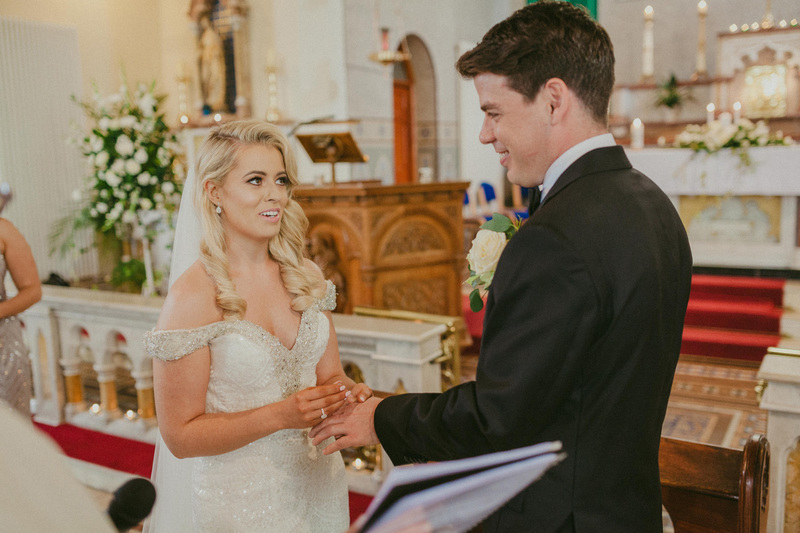 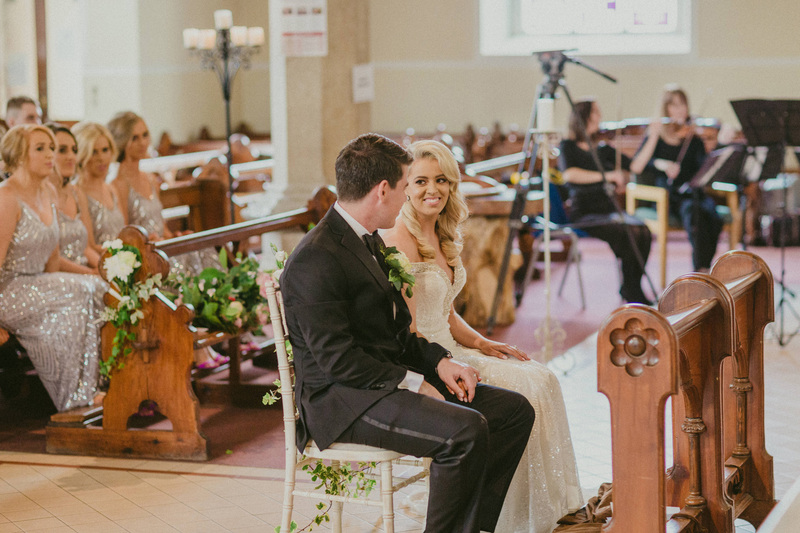 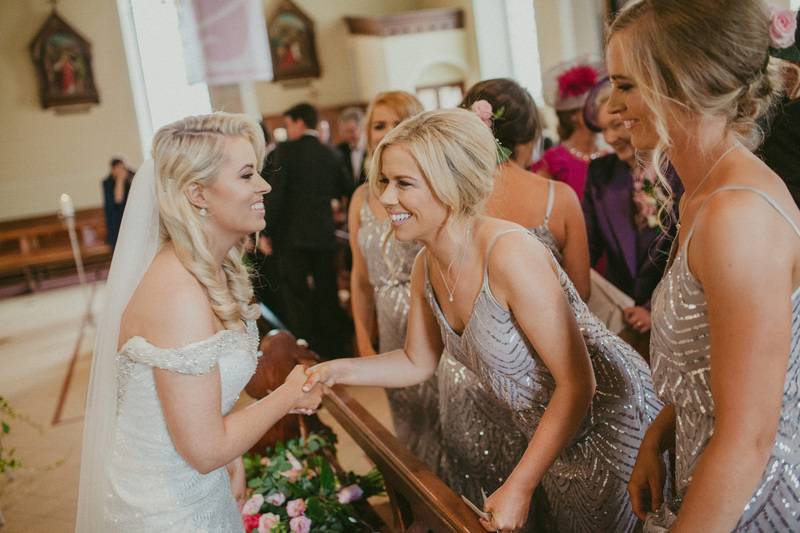 The ceremony was beautiful and made even more special by one of Clodagh’s bridesmaids, who beautifully serenaded the couple. 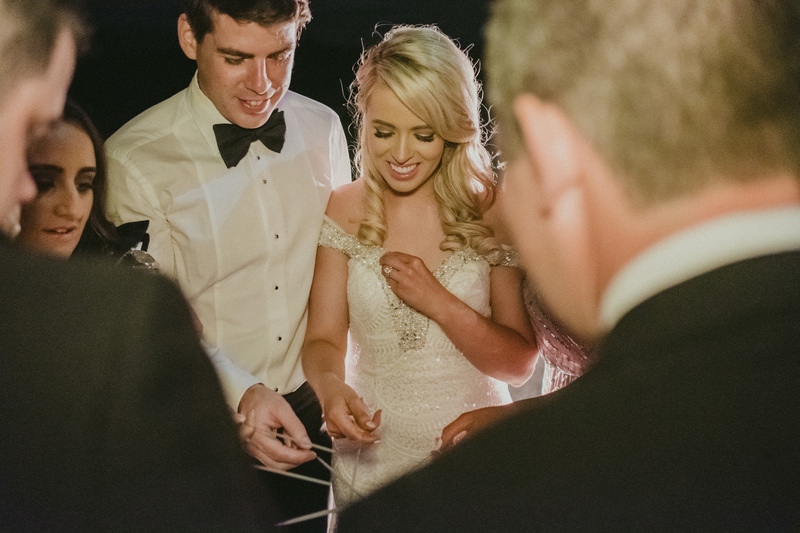 Adding another personal touch was Clodagh’s brother, who also played some guitar and sang. 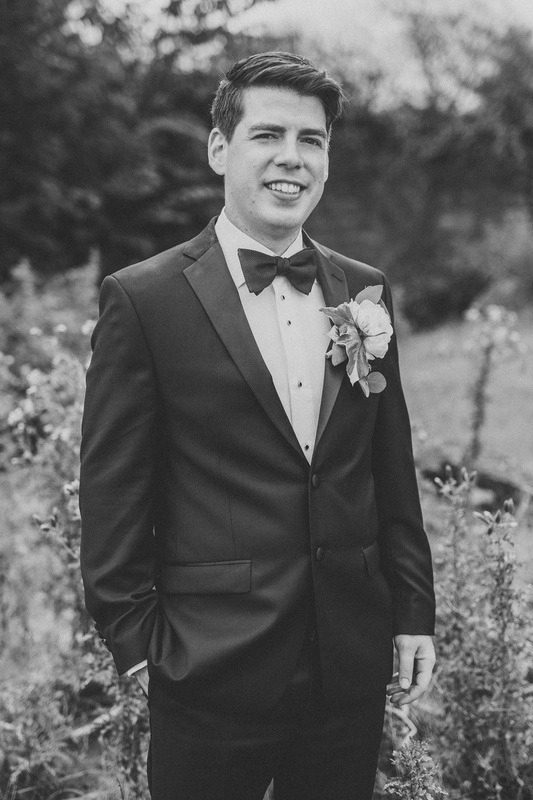 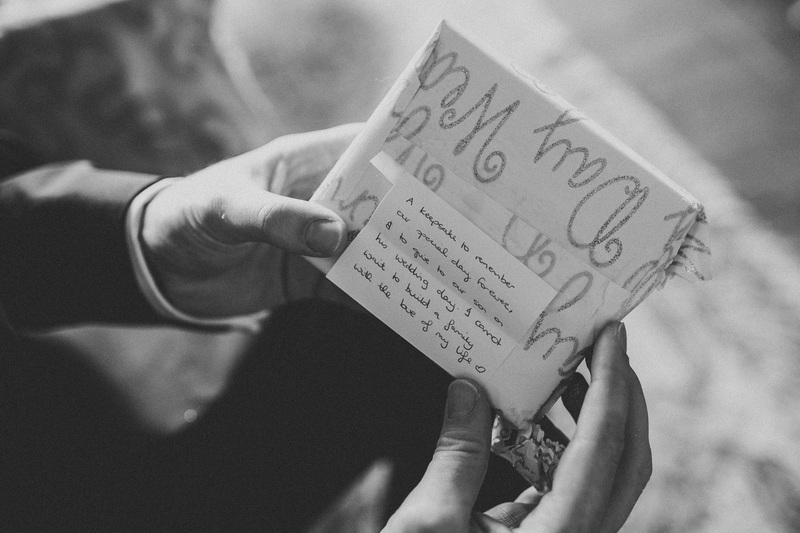 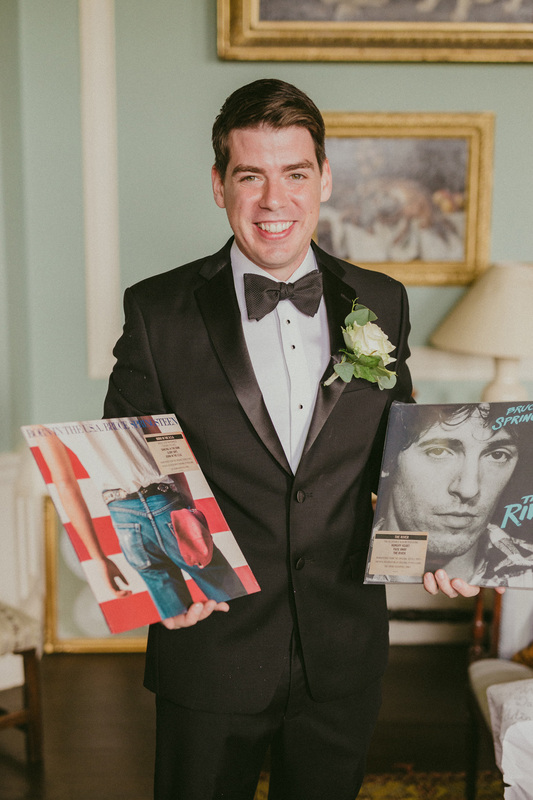 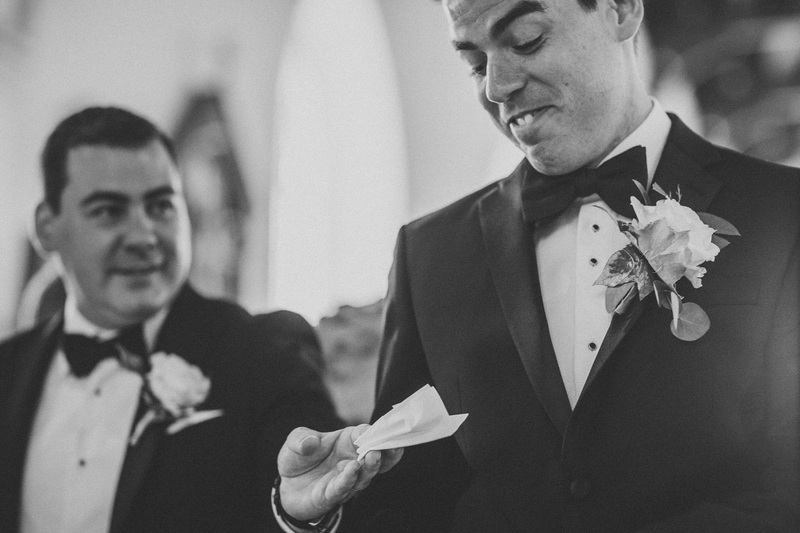 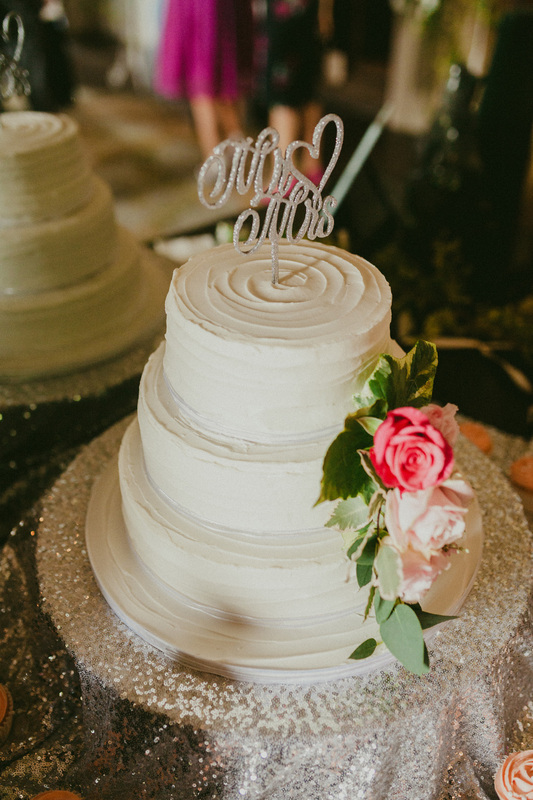 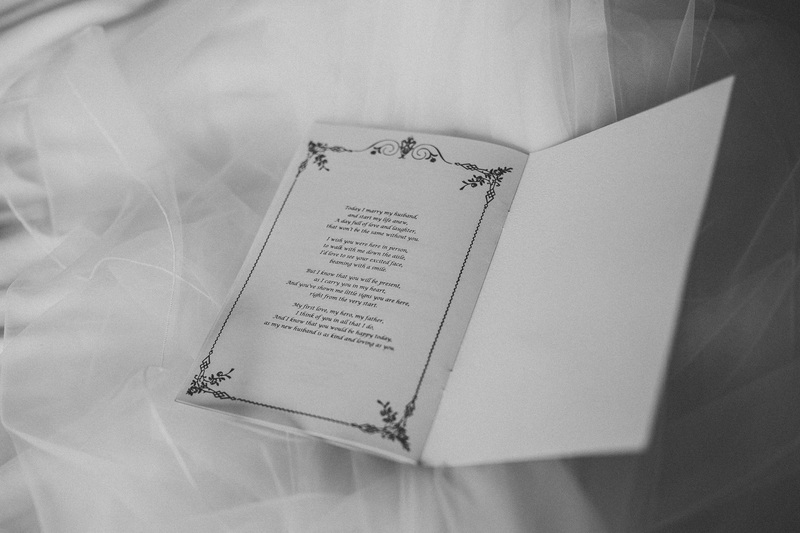 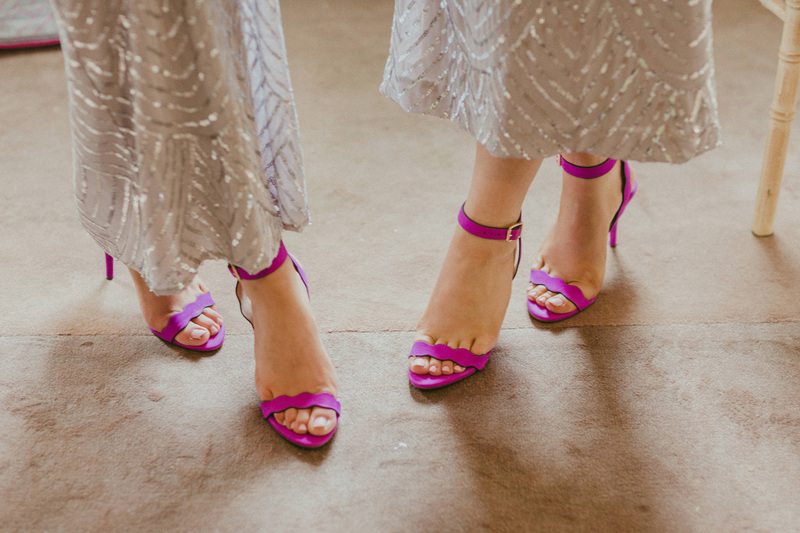 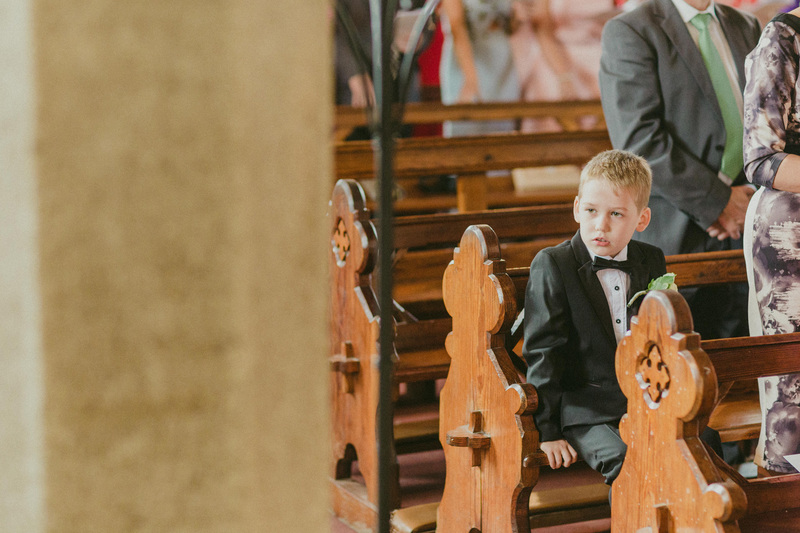 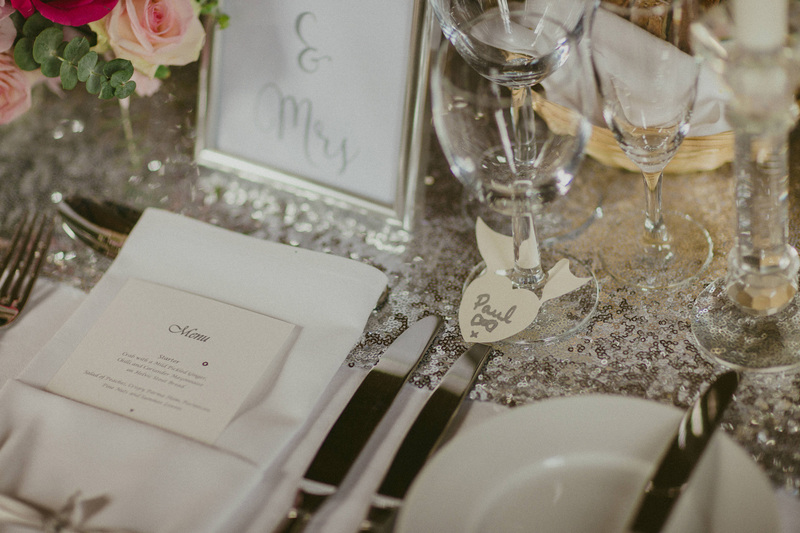 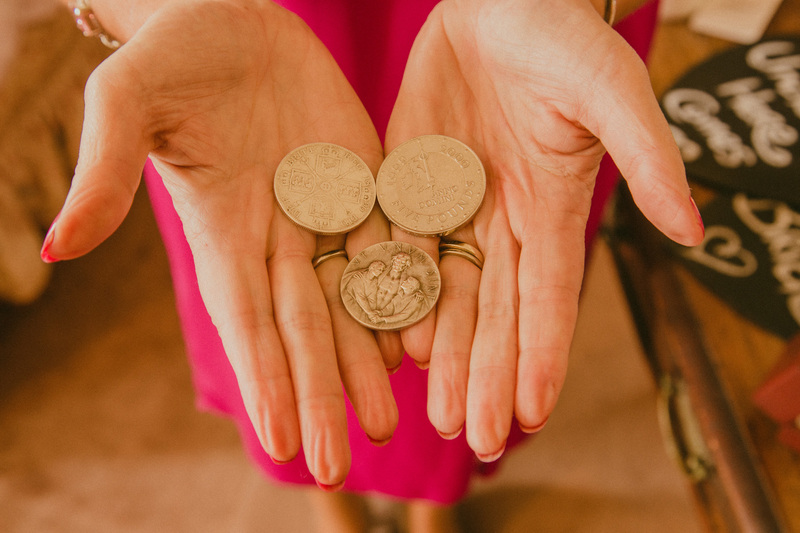 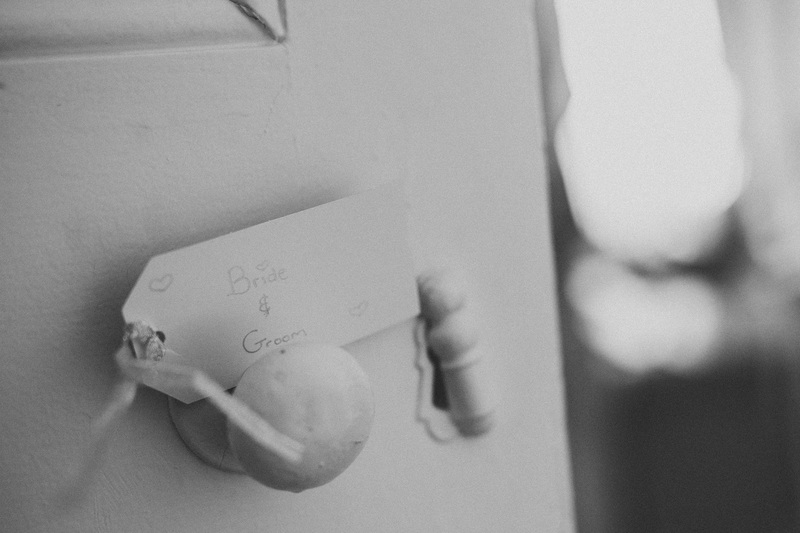 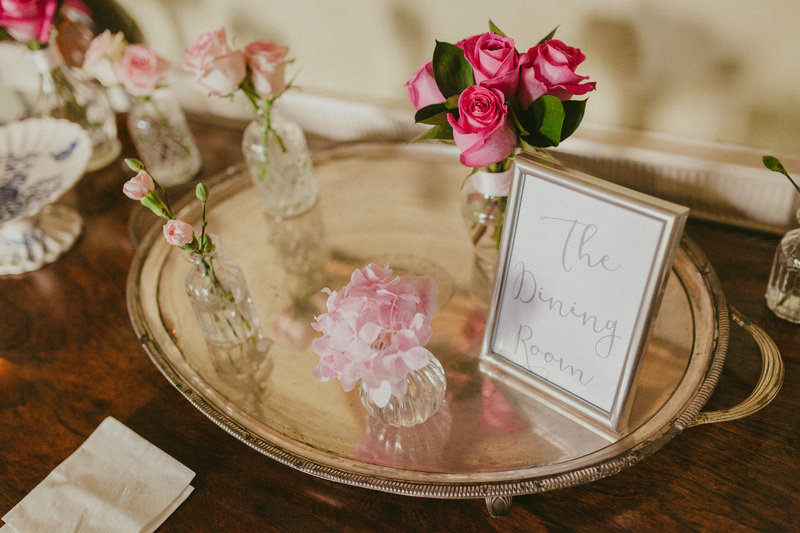 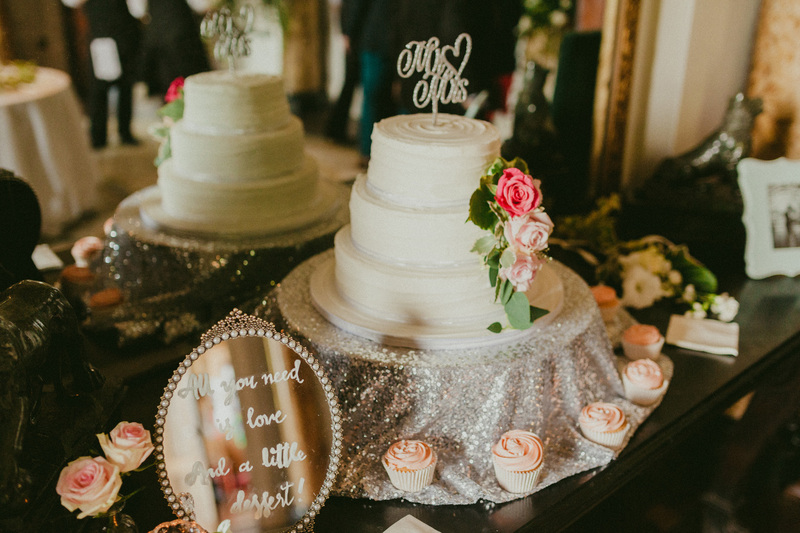 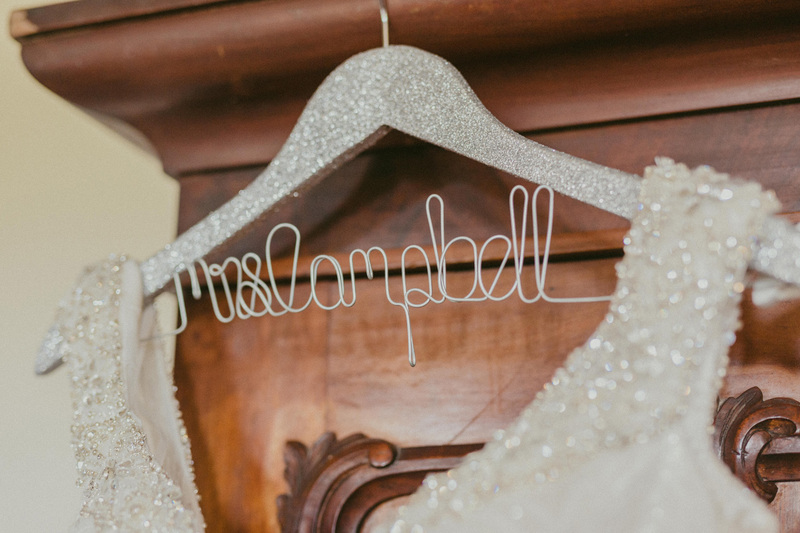 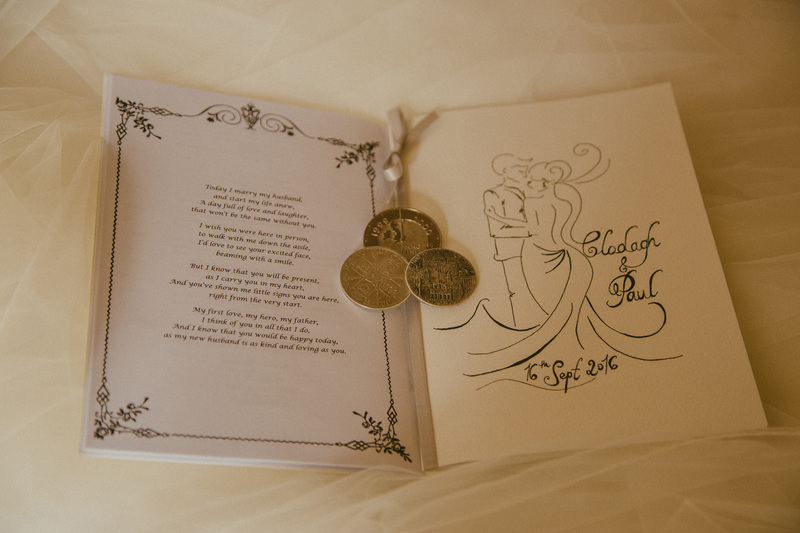 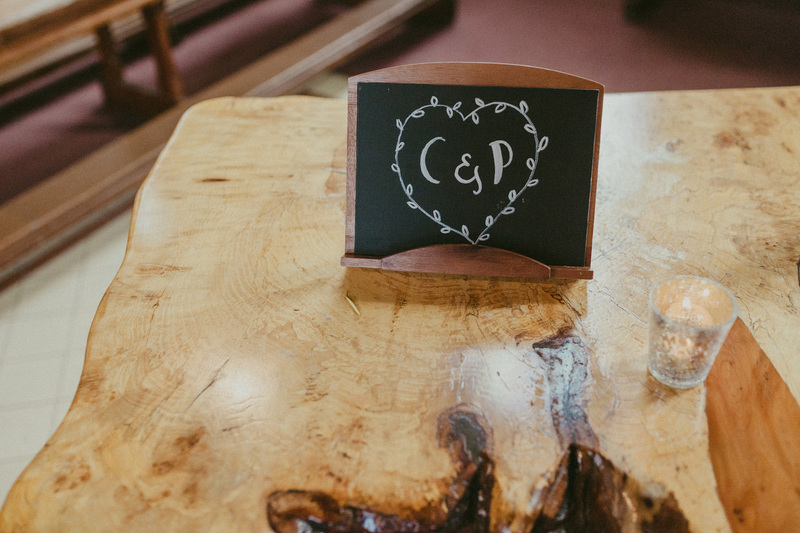 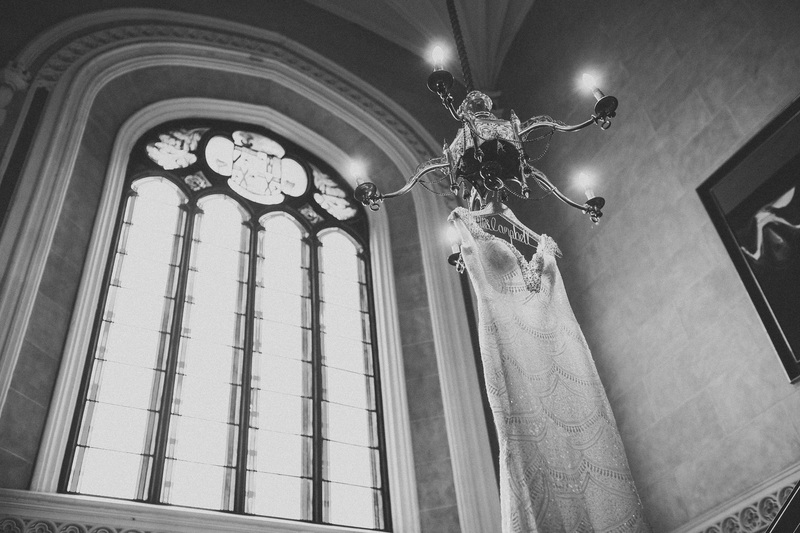 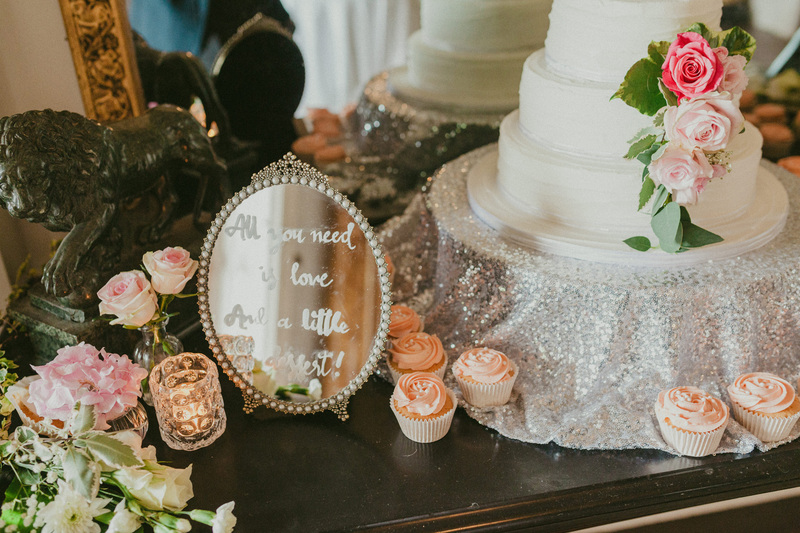 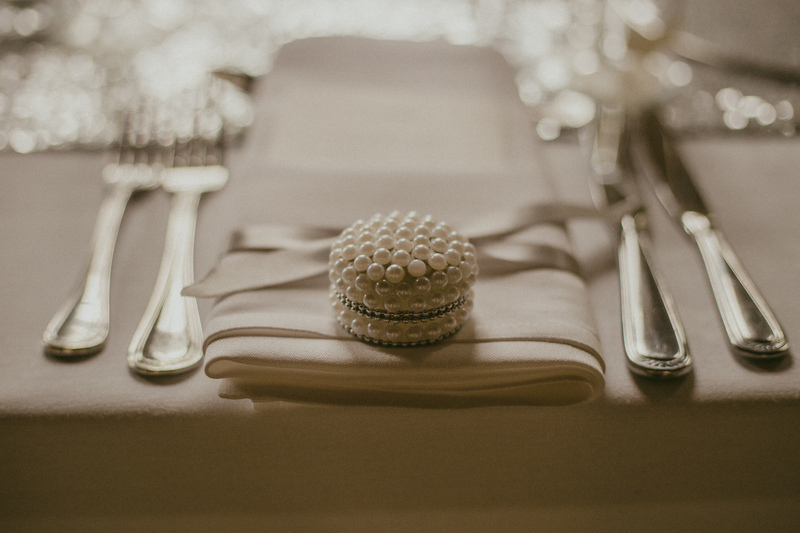 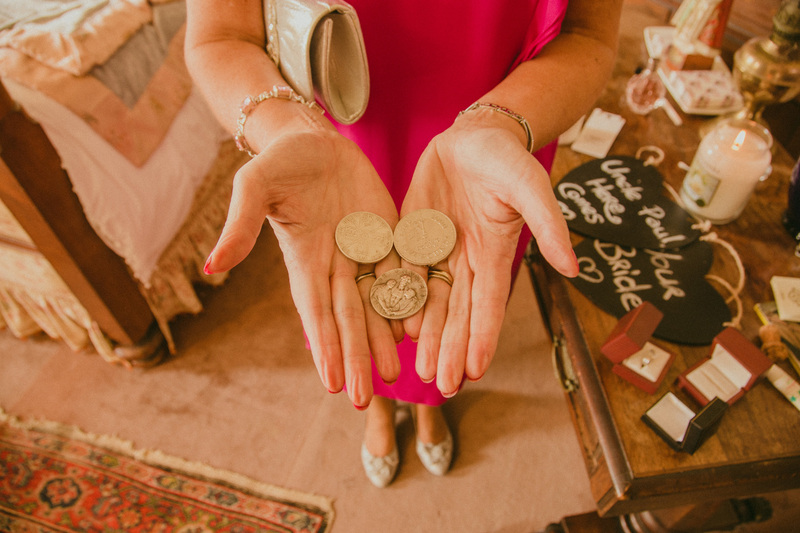 There were plenty of wonderful details at this wedding. 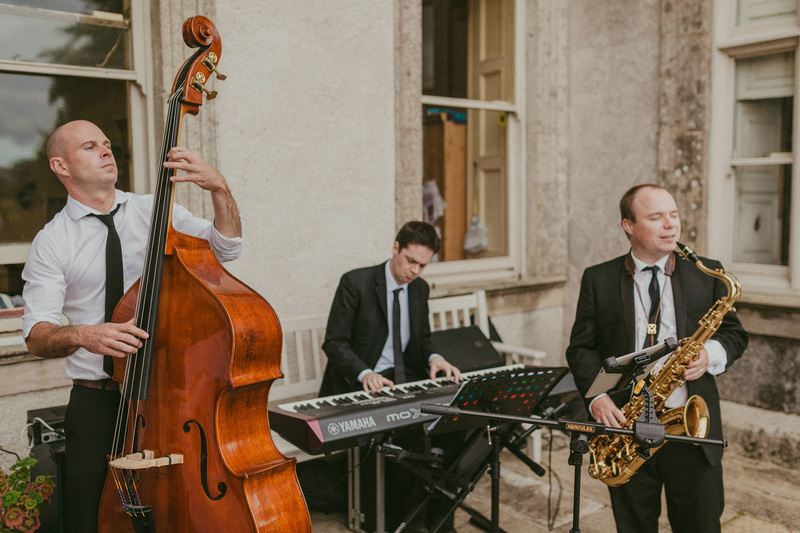 From an ice-cream cart waiting outside of the church, to the various musicians who played through out the day. 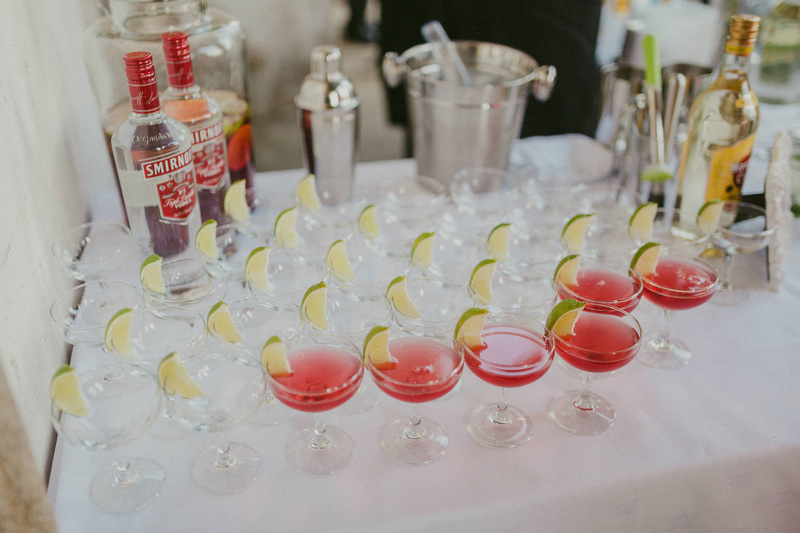 The decorations were stunning and the mojito bar very well received. 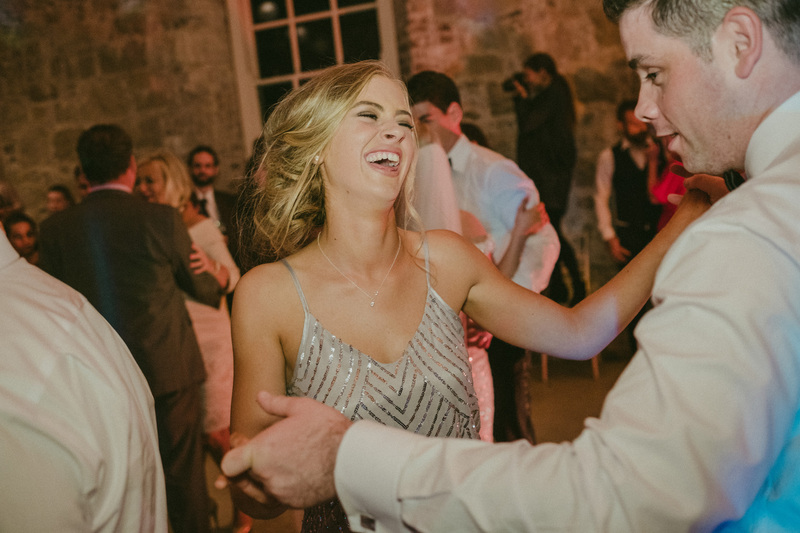 Top marks to Paul for organising quite the surprise for Clodagh. 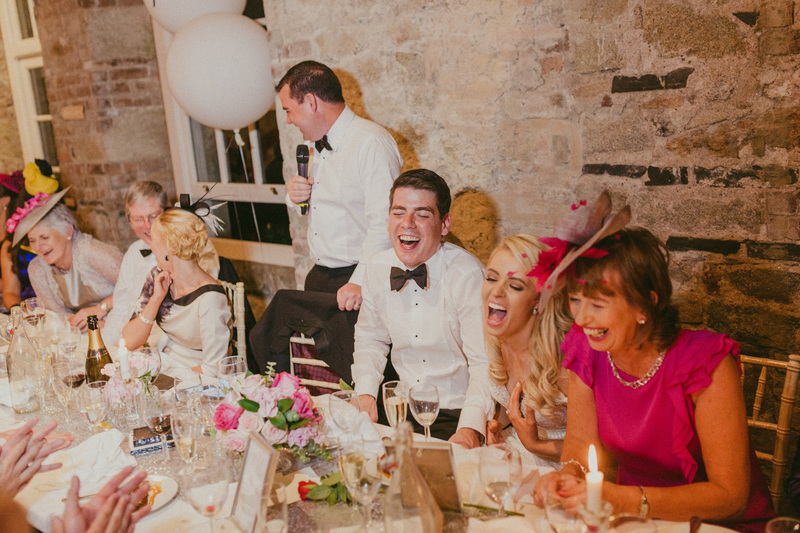 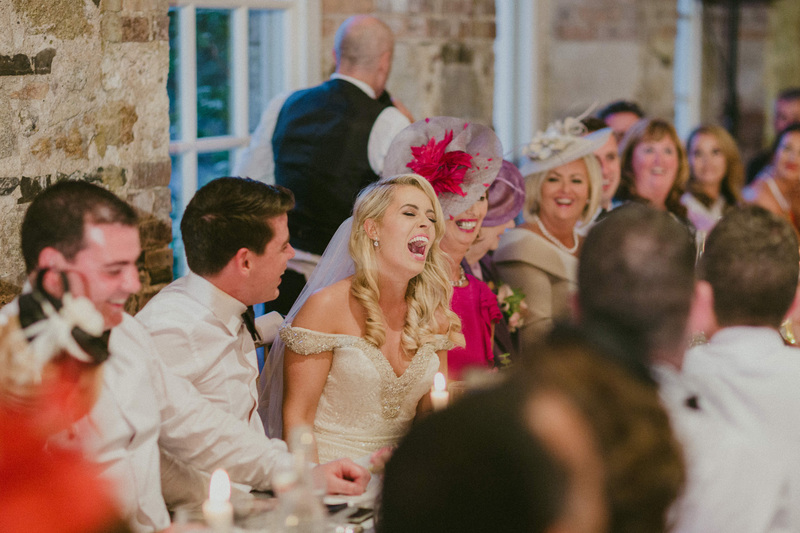 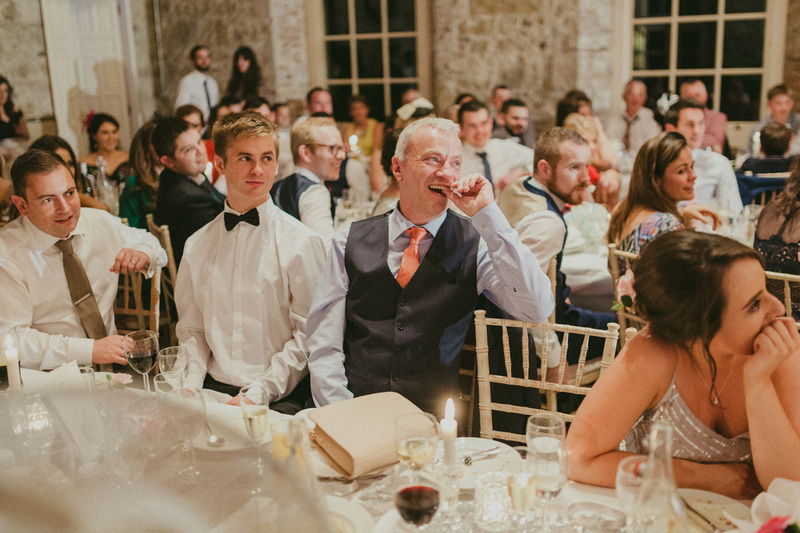 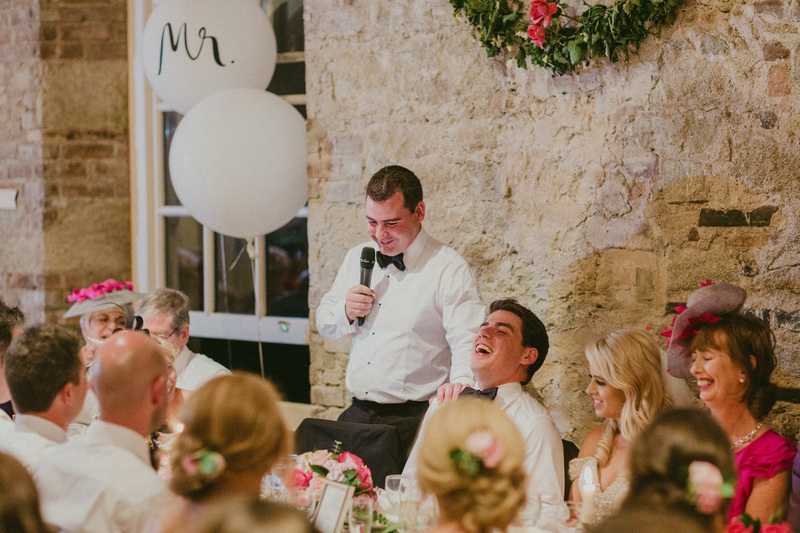 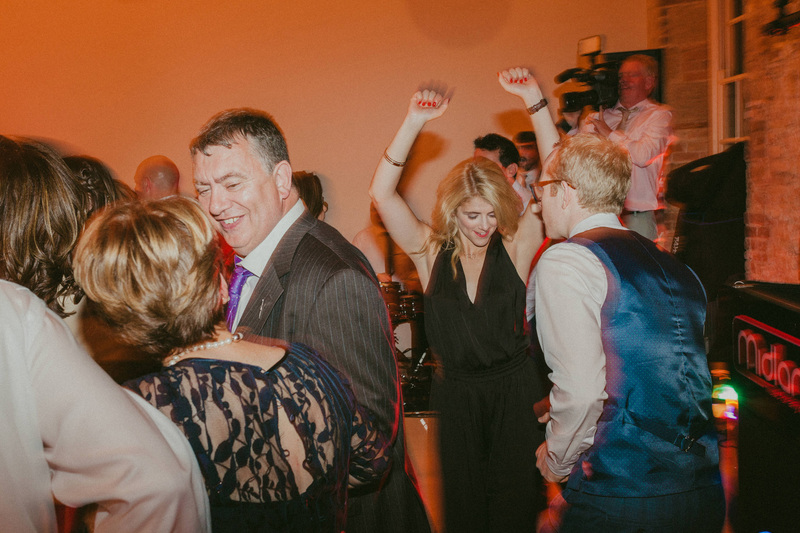 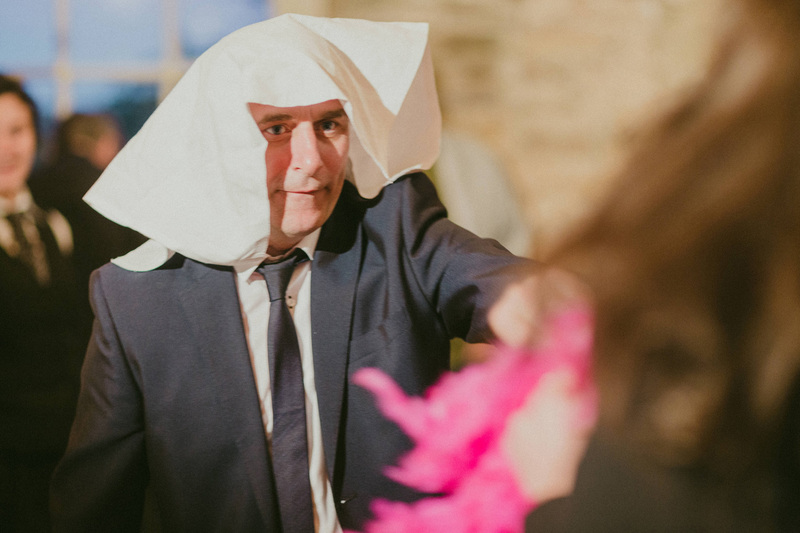 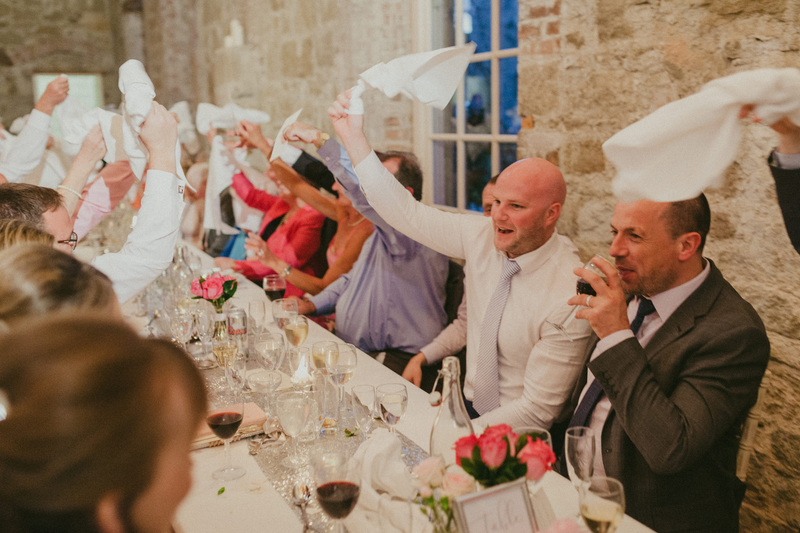 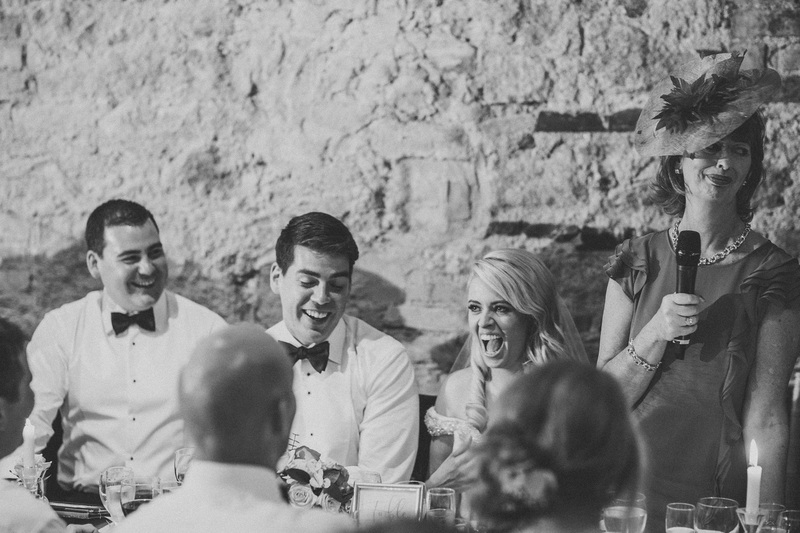 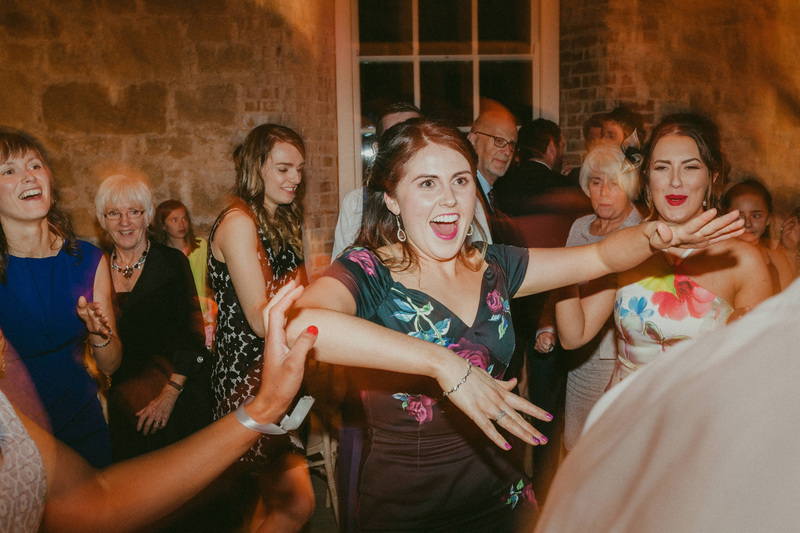 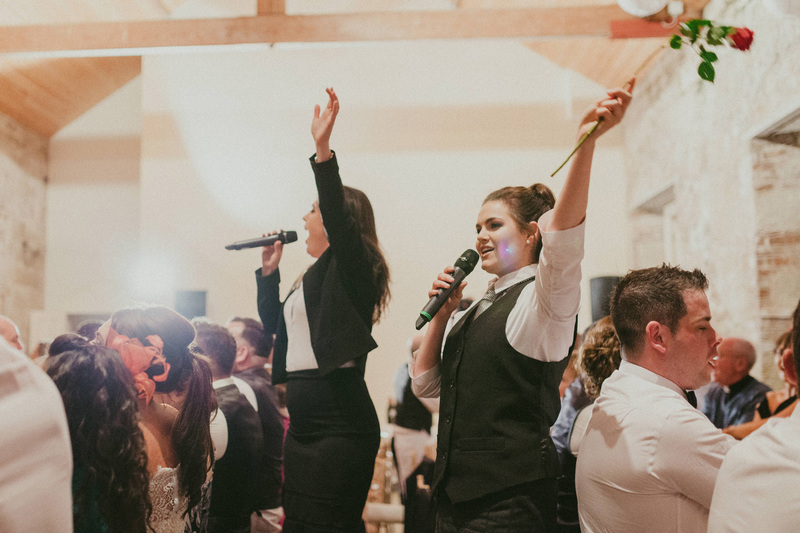 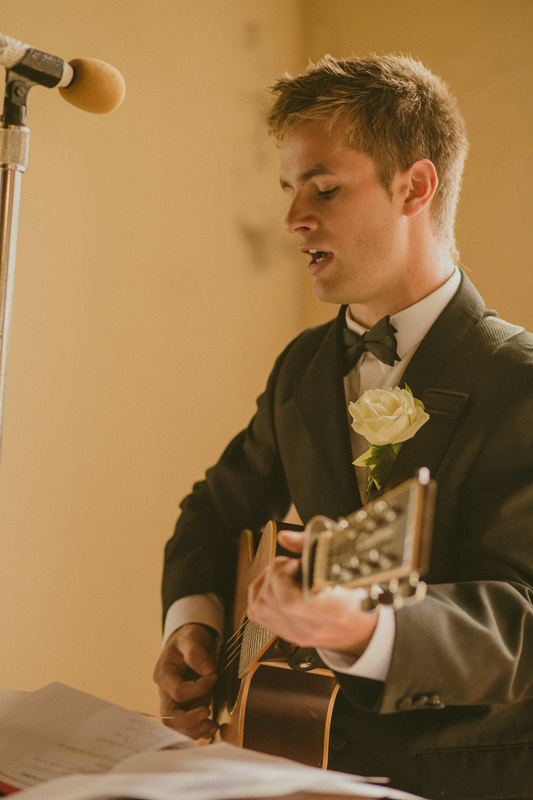 He arranged for the singing waiters to erupt into song, and entertain Clodagh and their guests during the mealtime. 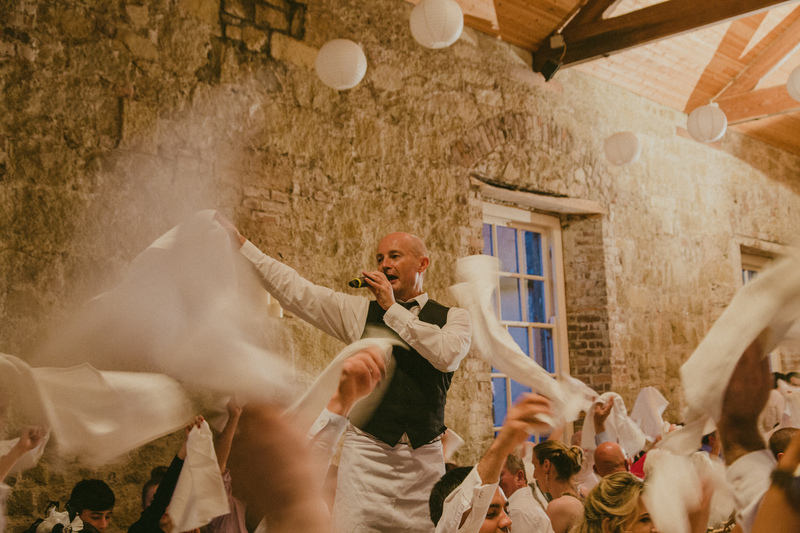 It’s always a sign of a good time had when a reception hall morphs into an opera house. 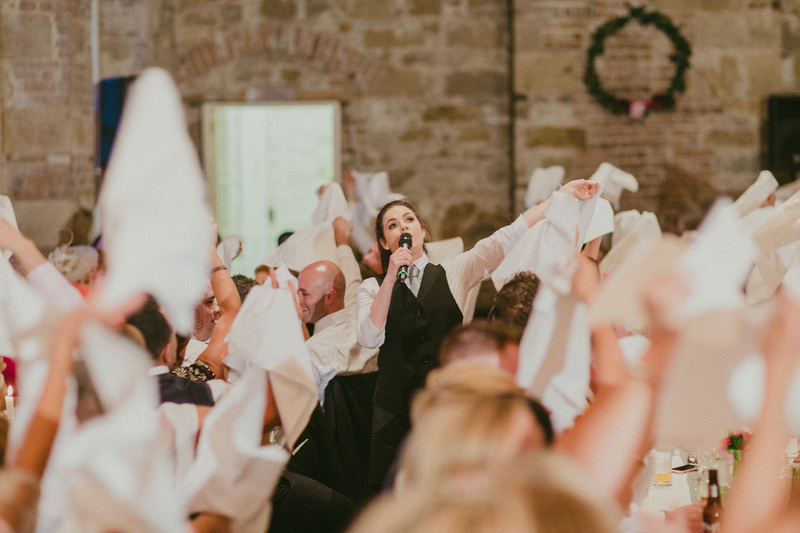 People were on their feet, swinging napkins around, all while rogue roses were thrown through the air. 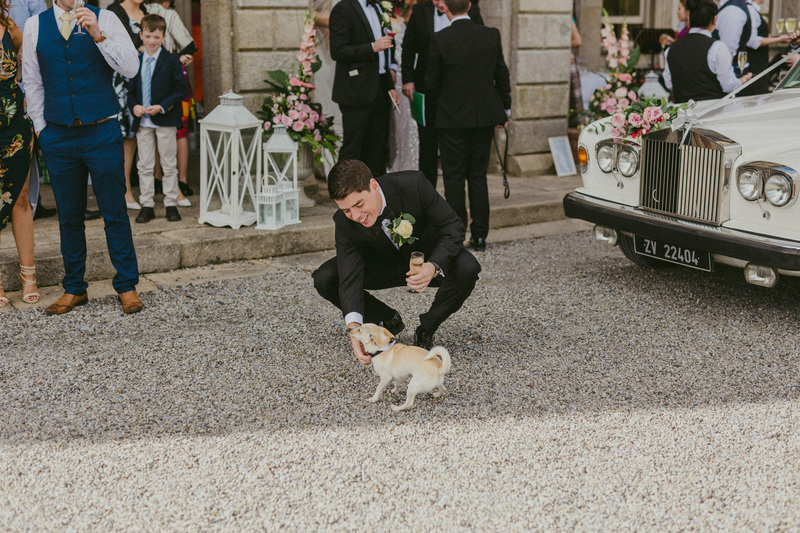 Just like in the movies, one landed perfectly in Clodagh’s hand. 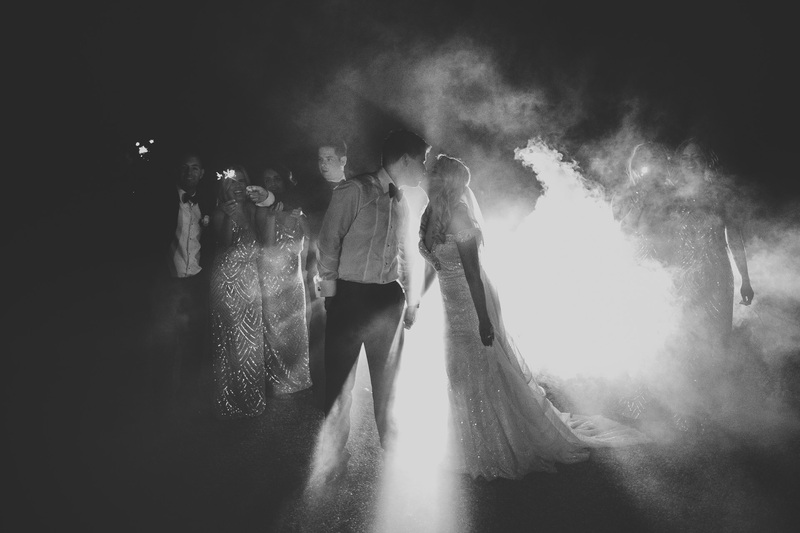 It was quite the sight. 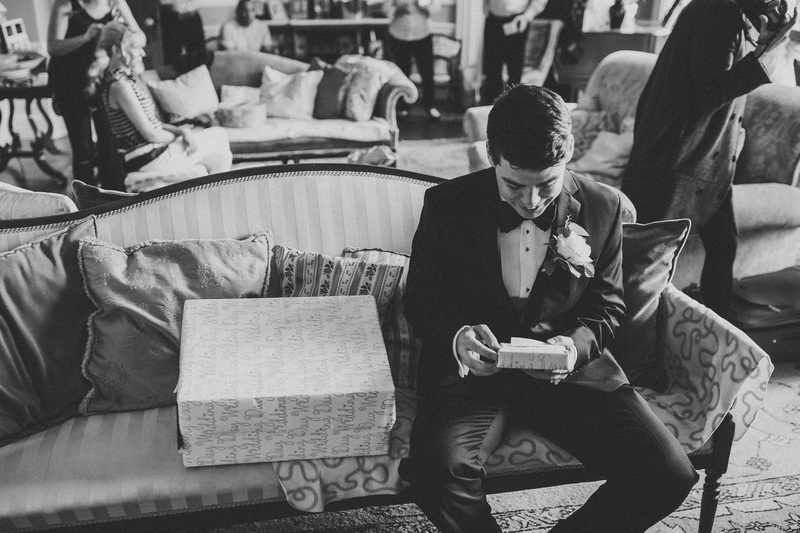 It all played out so perfectly. 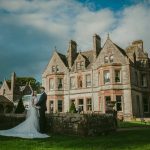 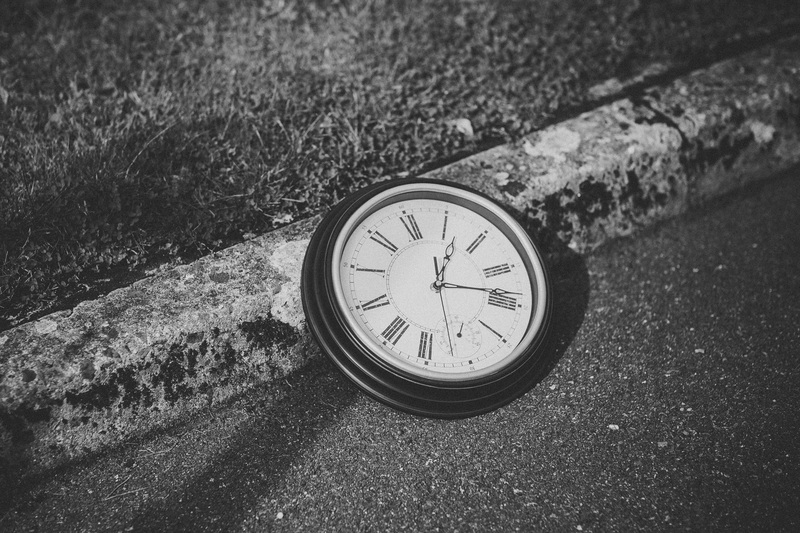 Clodagh and Paul were up for trying something unique and different for their bridal portraits. 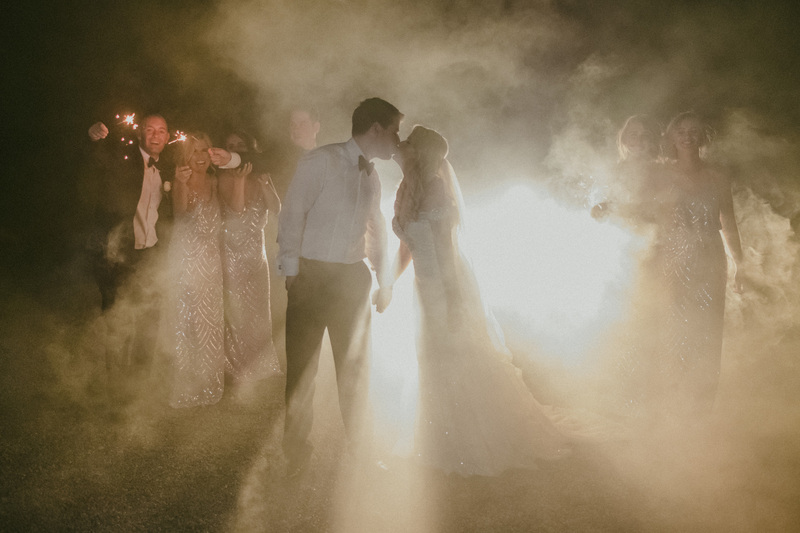 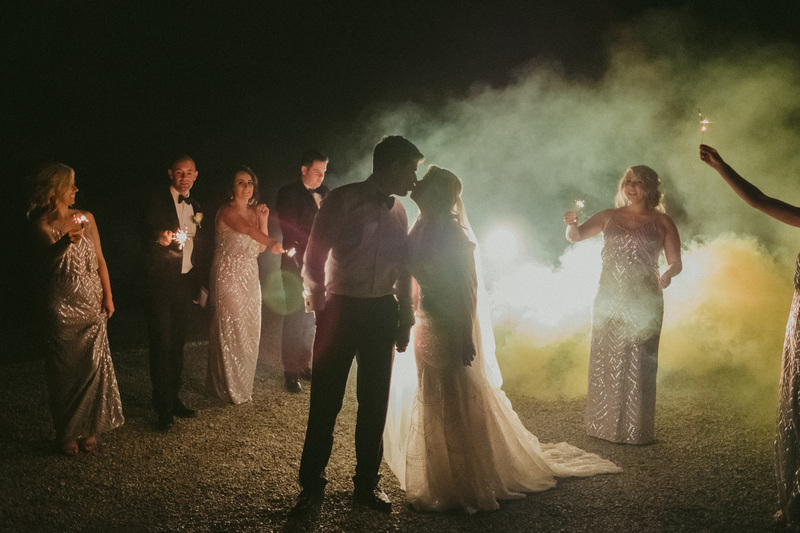 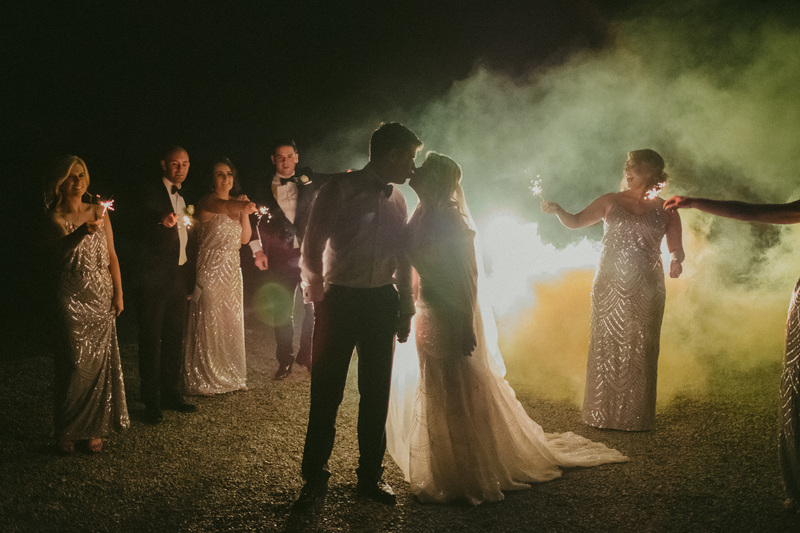 We had some fun with some colored smoke bombs and later sparklers, which made for some special results after dark. 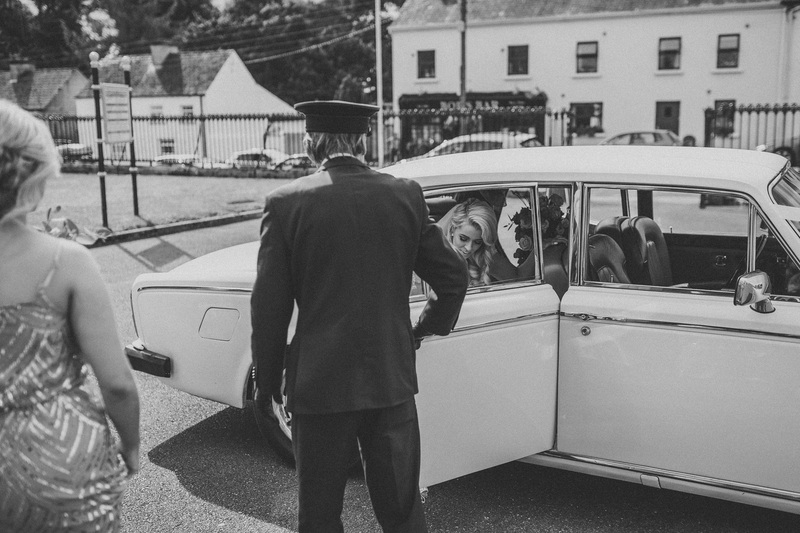 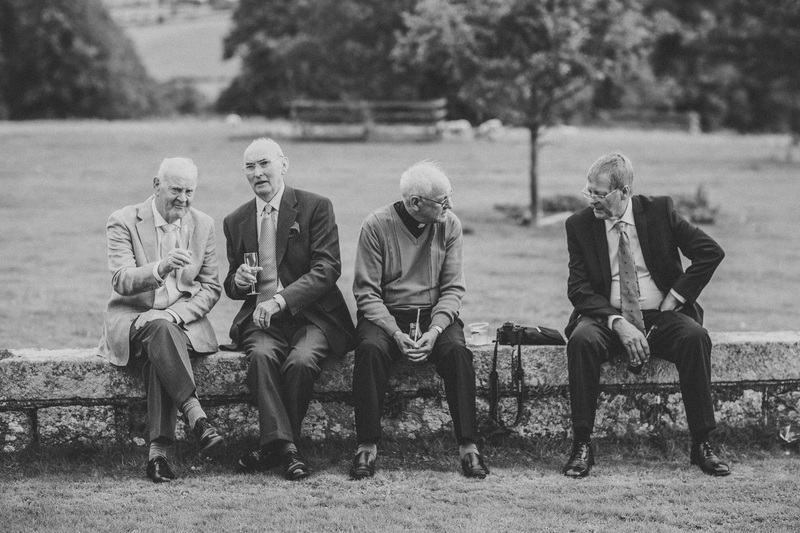 We had a great time shooting Clodagh and Paul wedding. 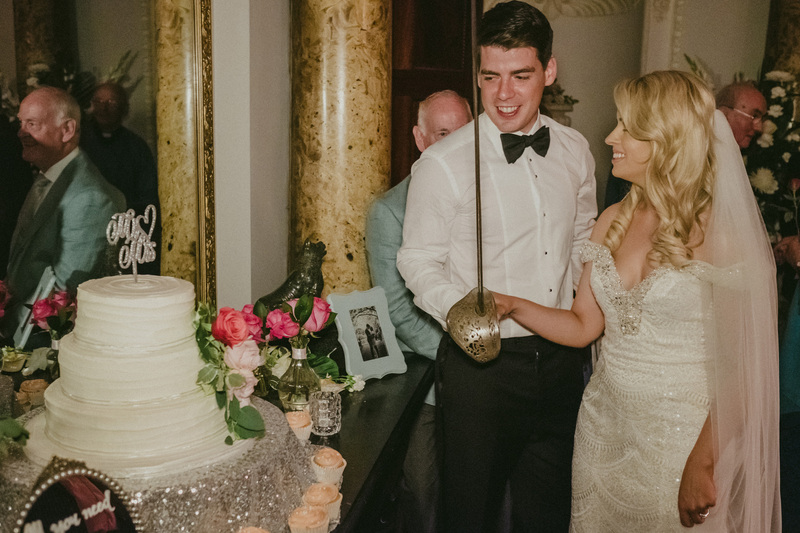 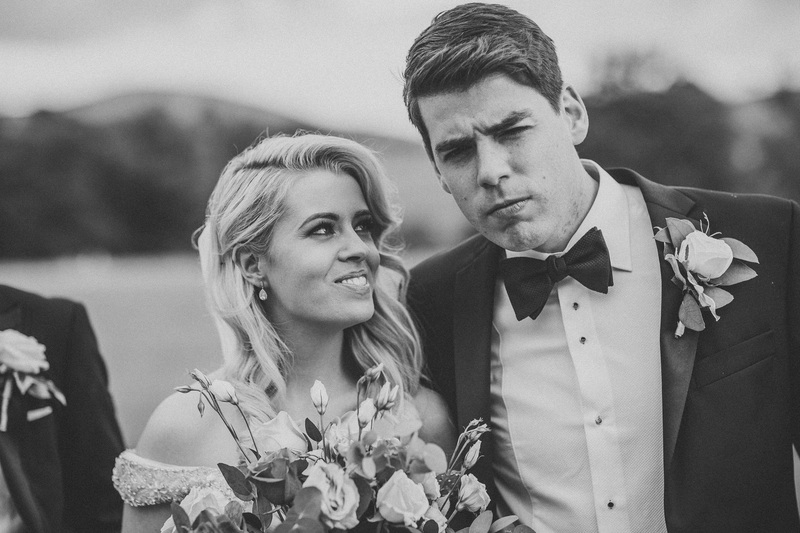 Thanks for letting us be part of your special day guys!